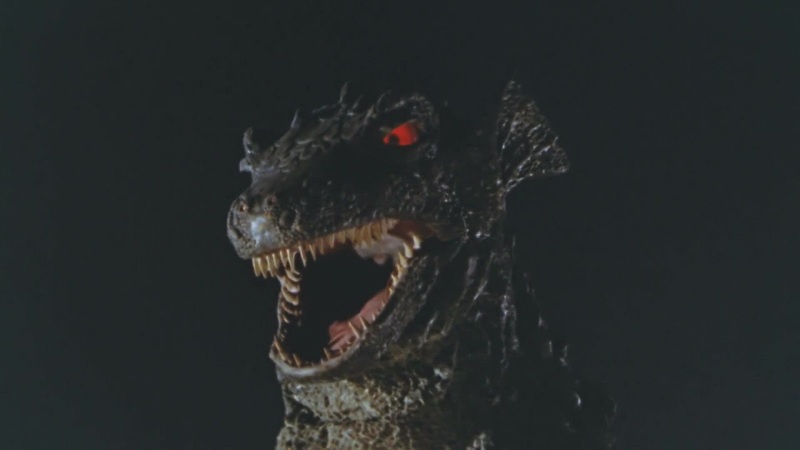 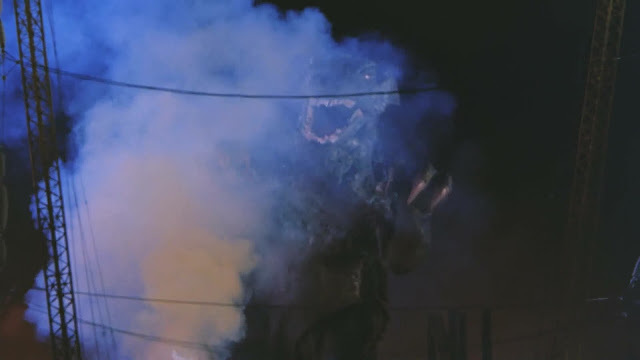 Directed by Eugene Lourie, this was the last of his giant monster films. 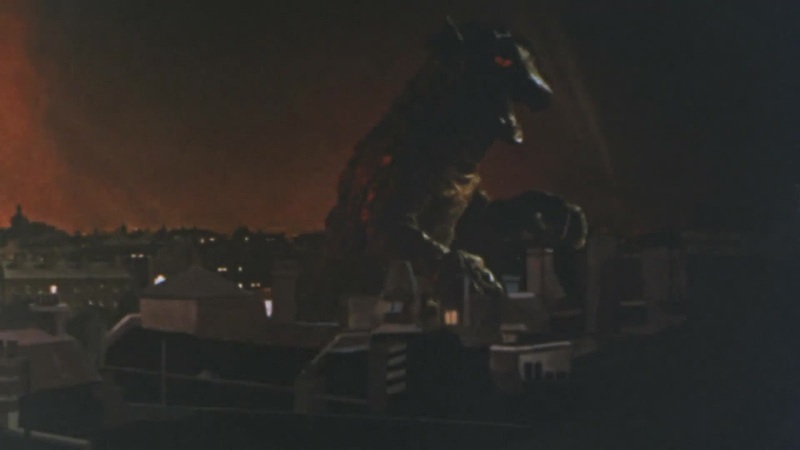 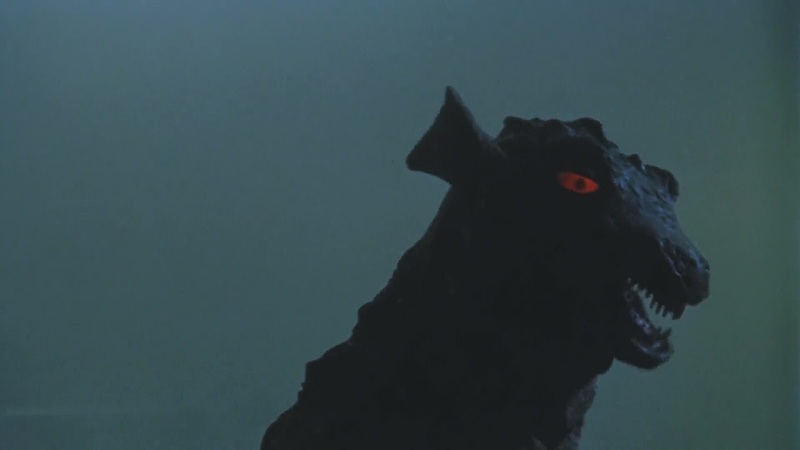 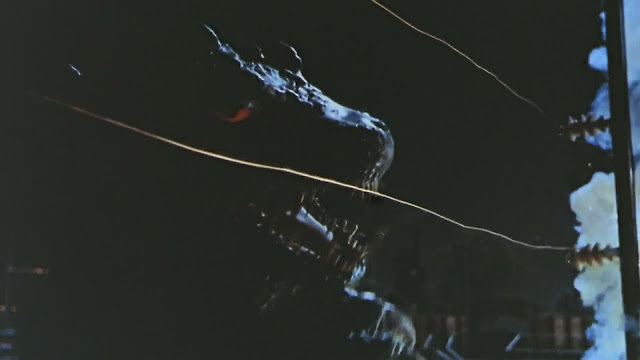 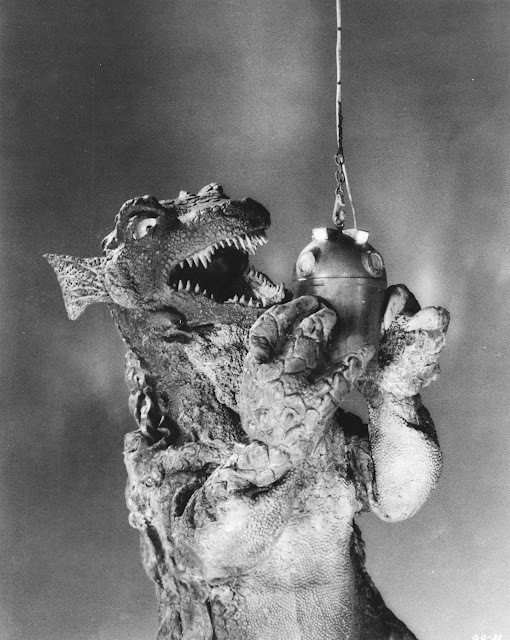 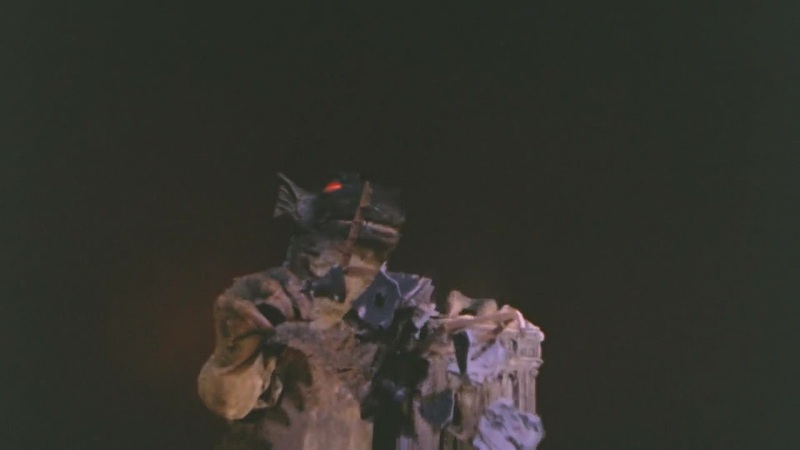 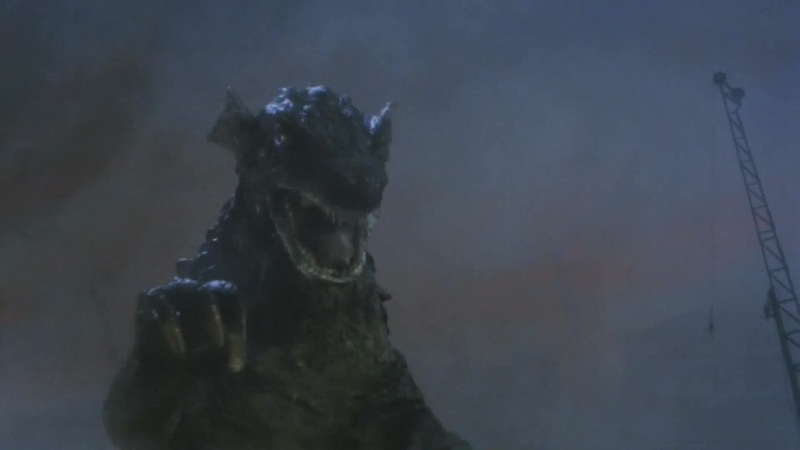 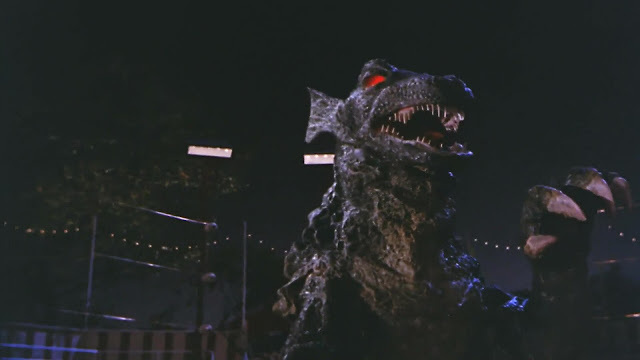 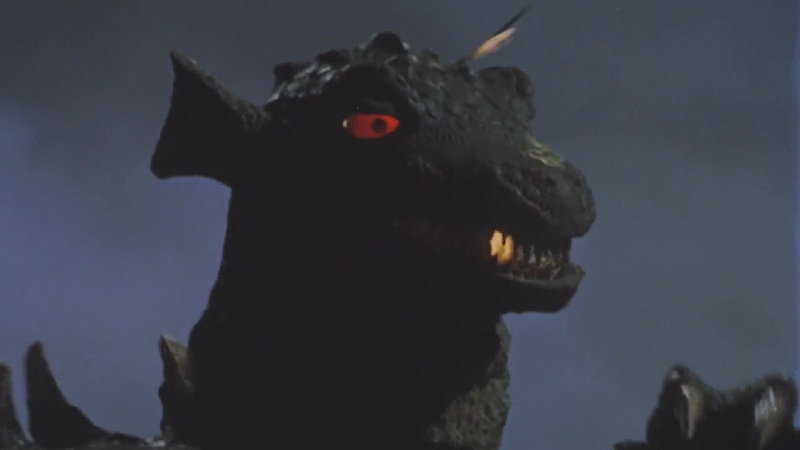 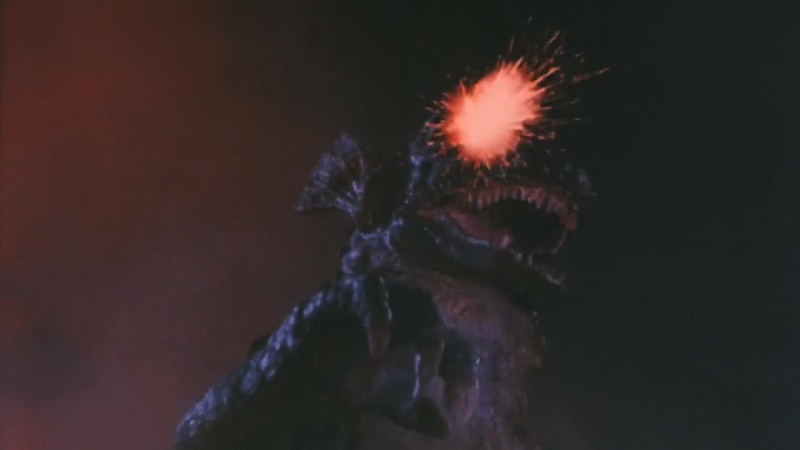 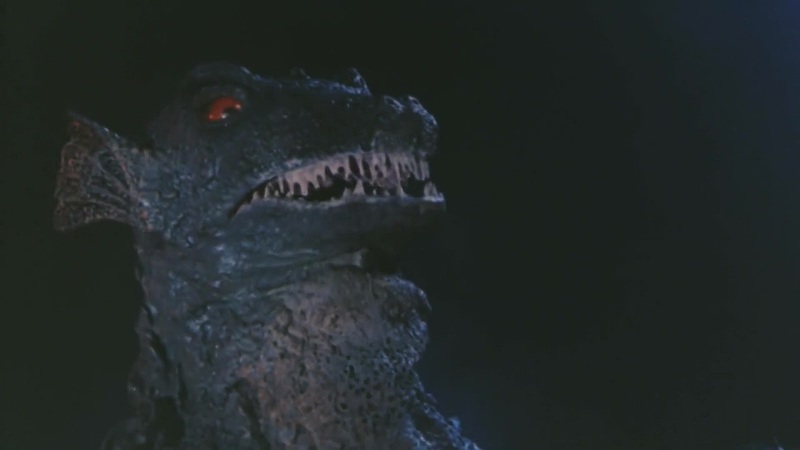 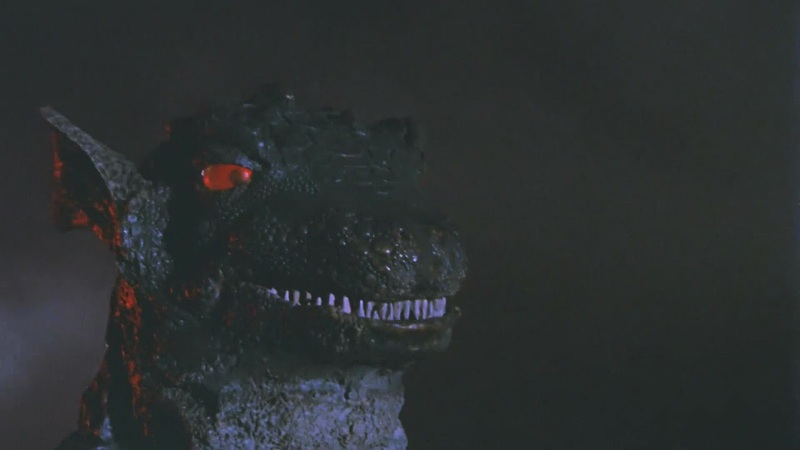 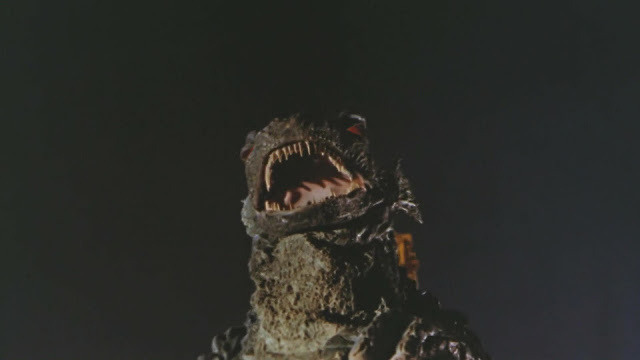 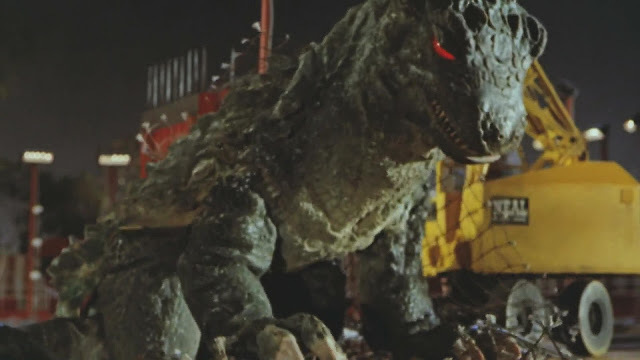 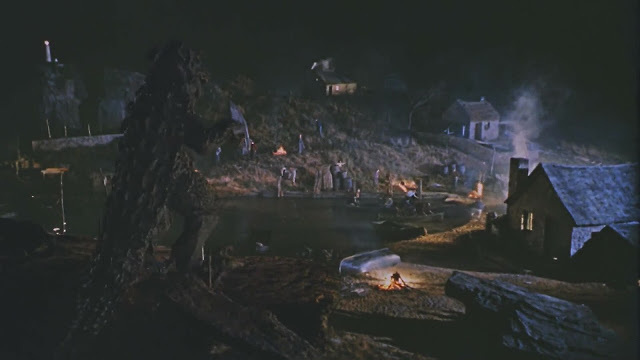 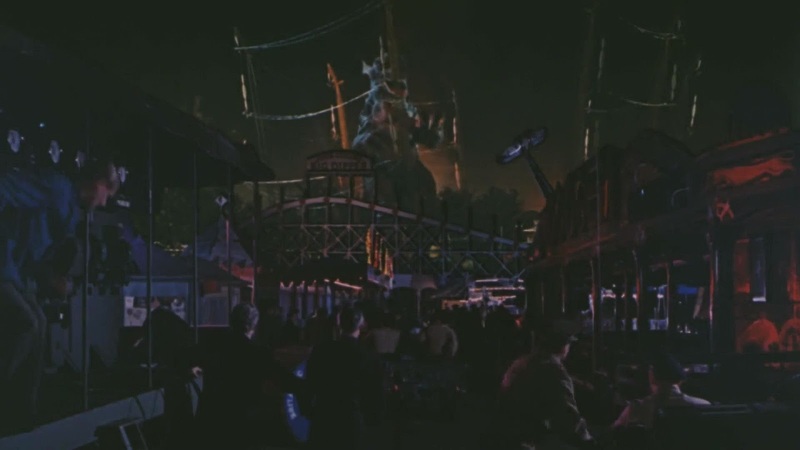 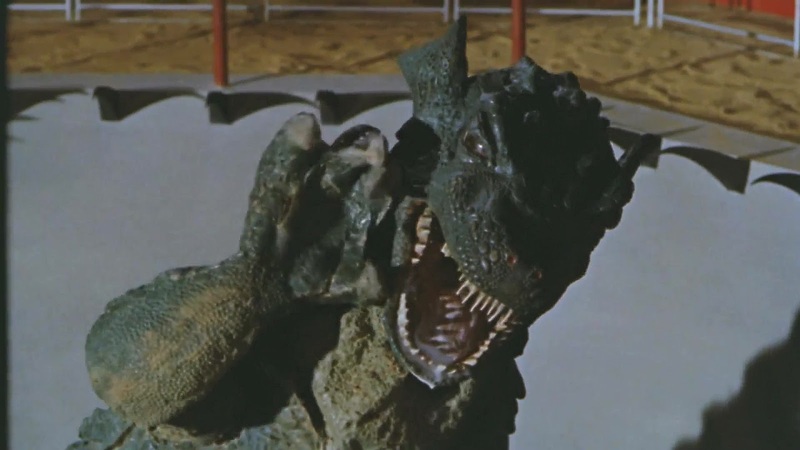 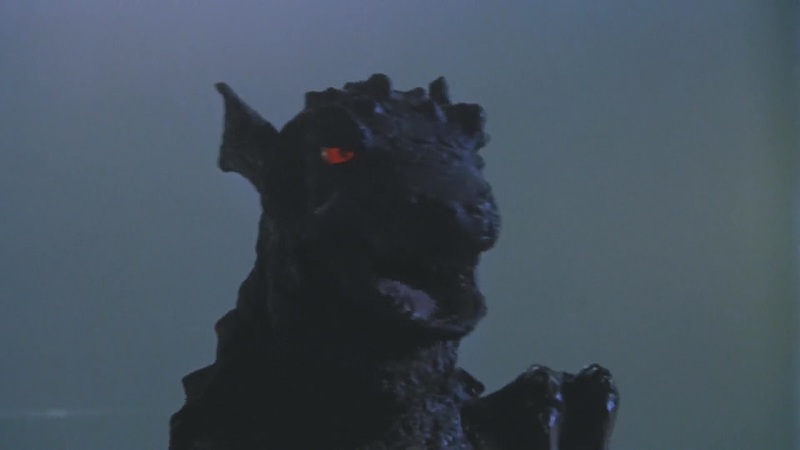 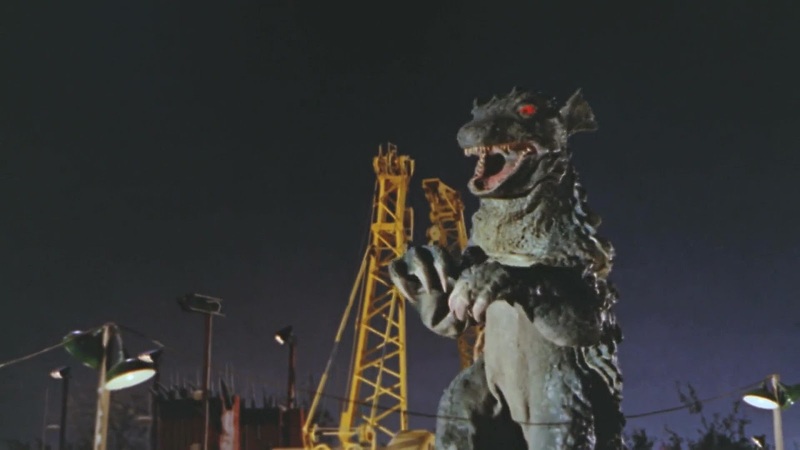 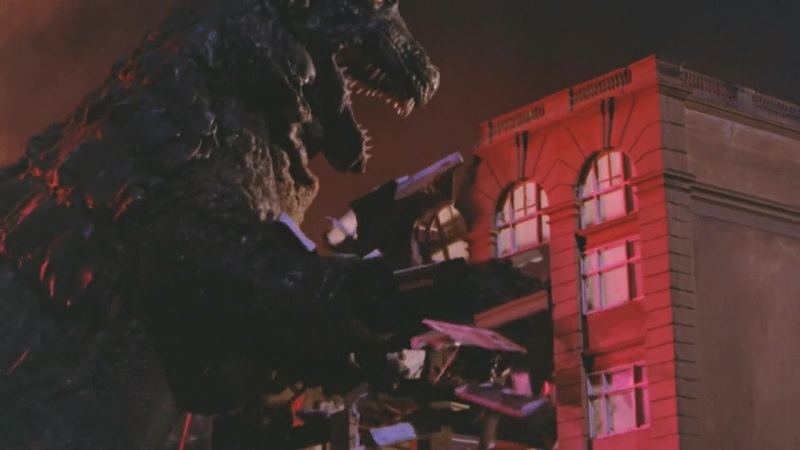 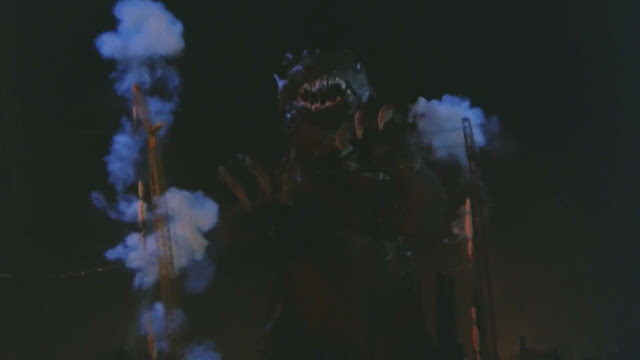 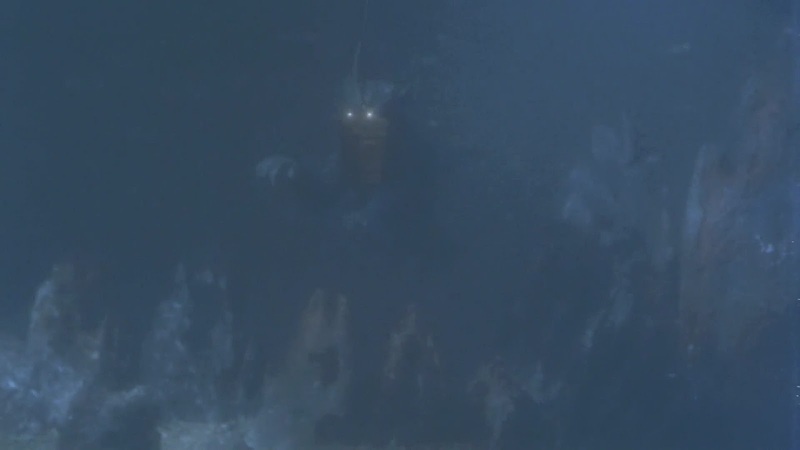 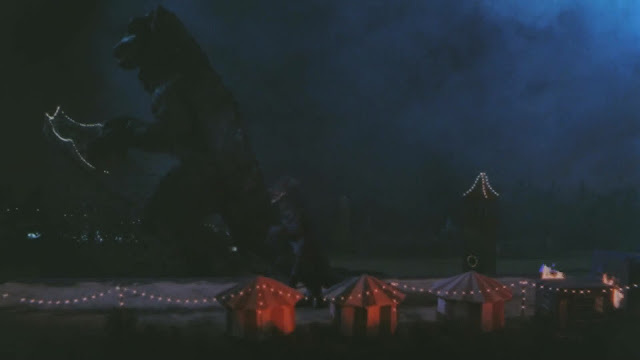 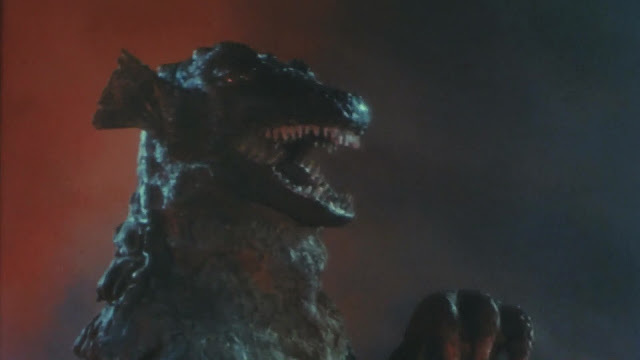 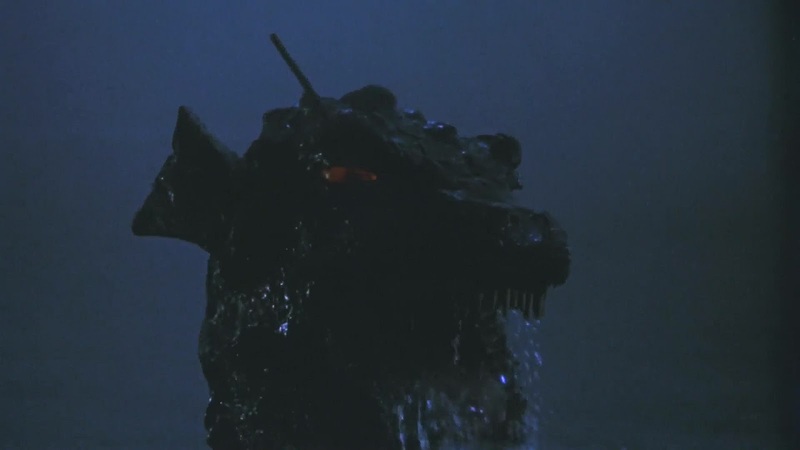 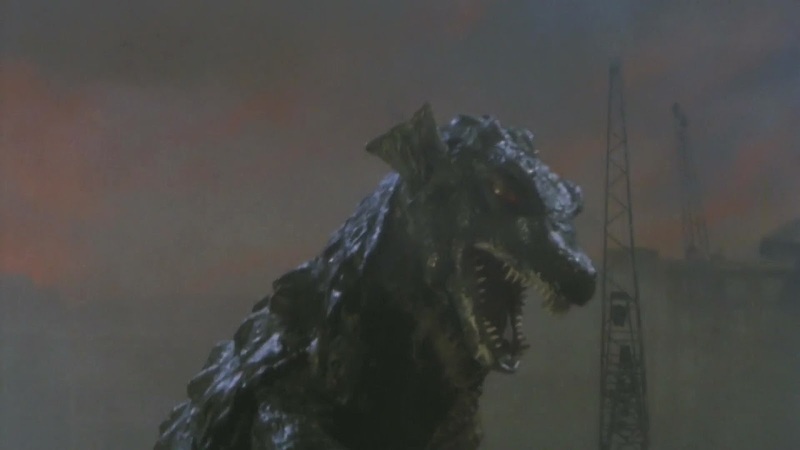 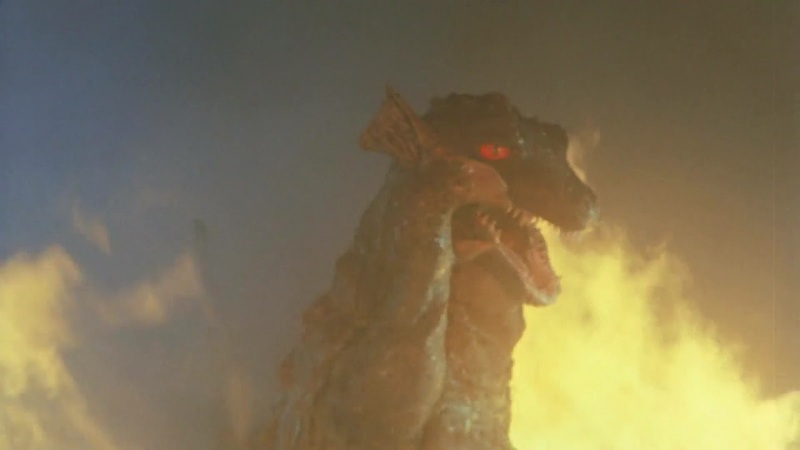 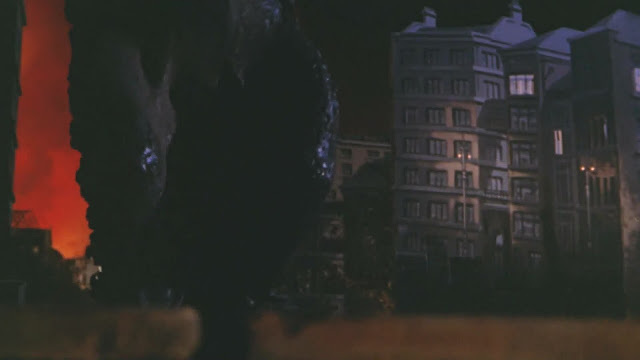 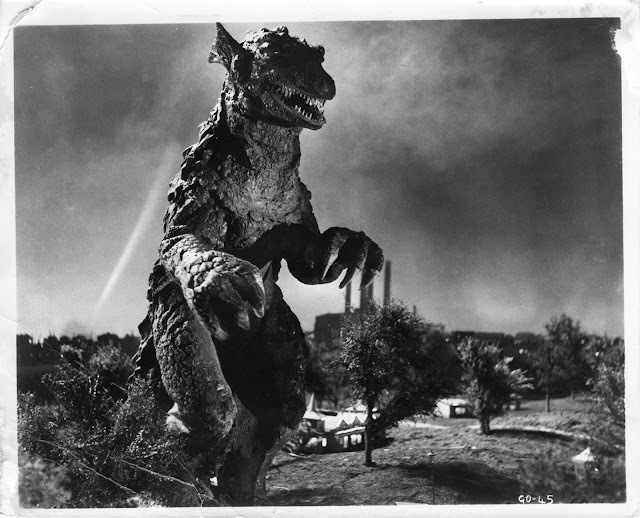 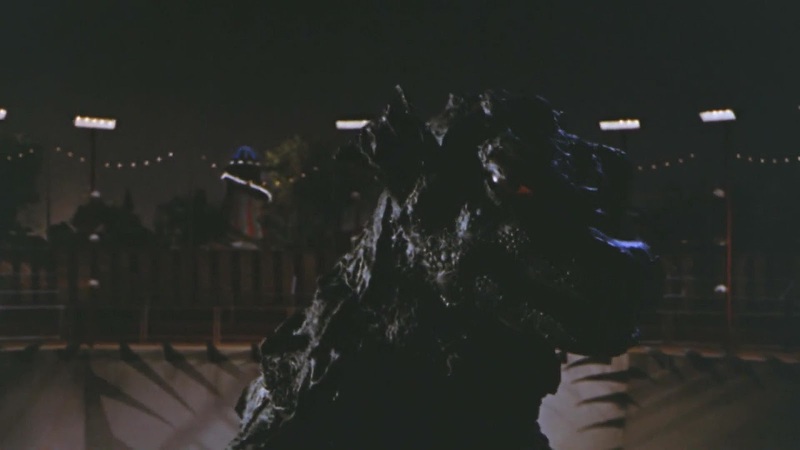 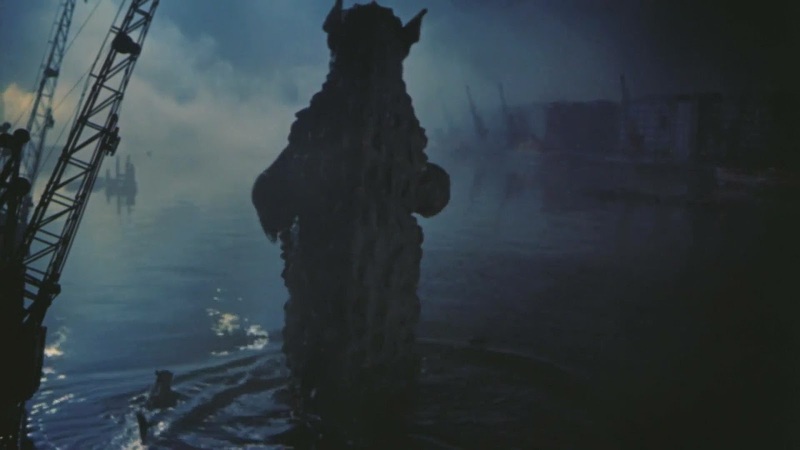 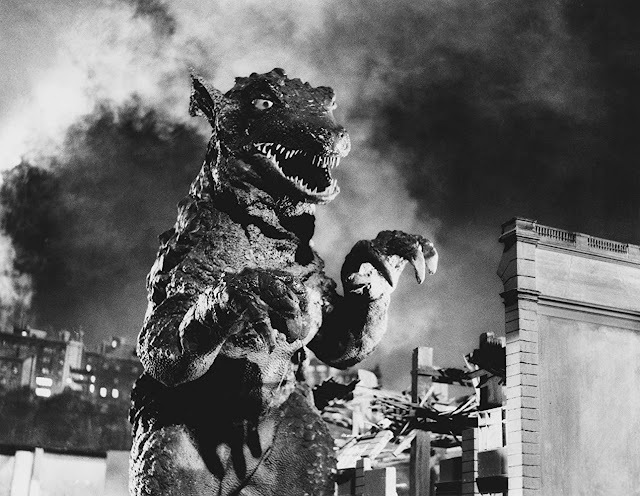 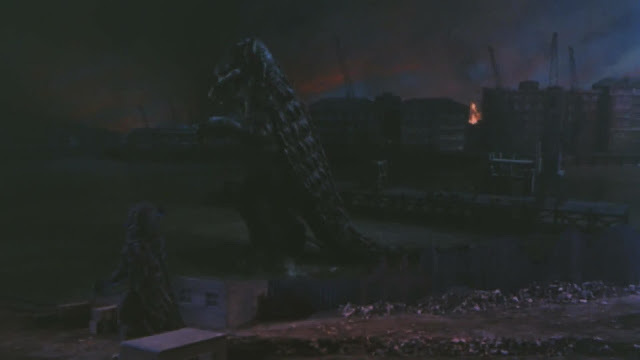 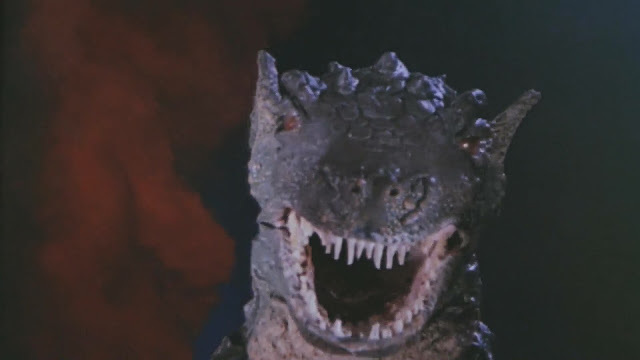 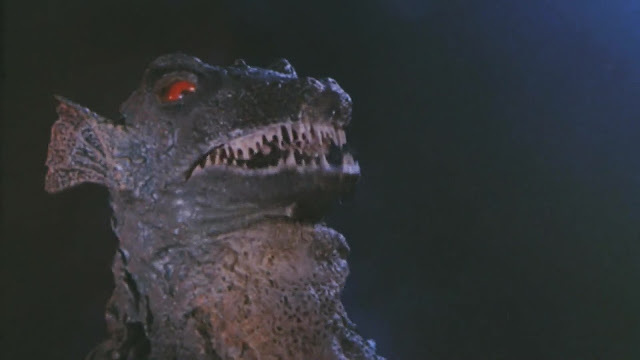 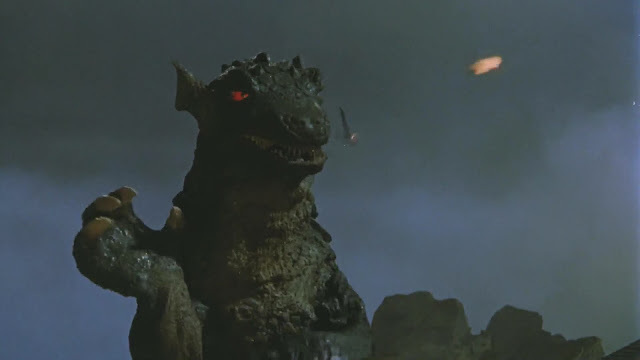 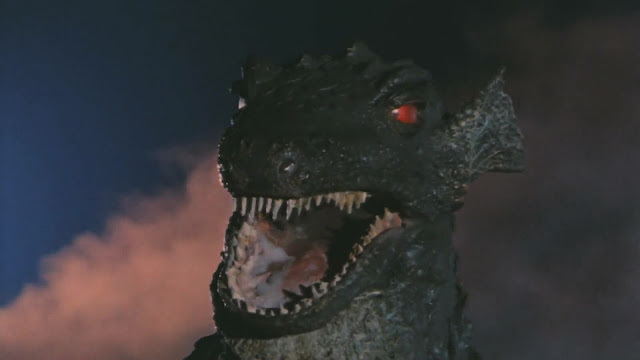 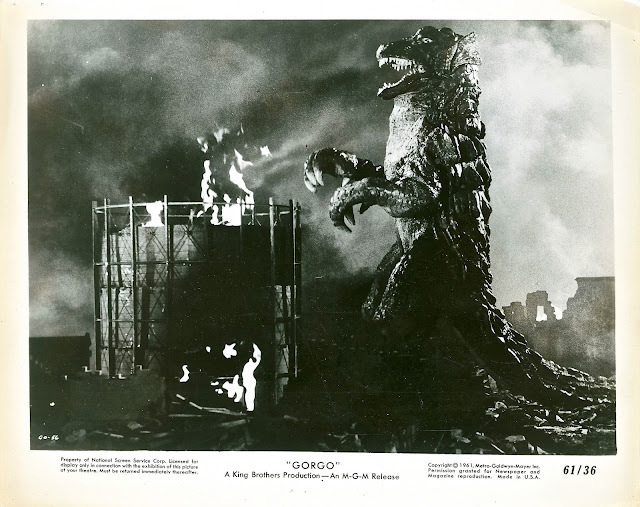 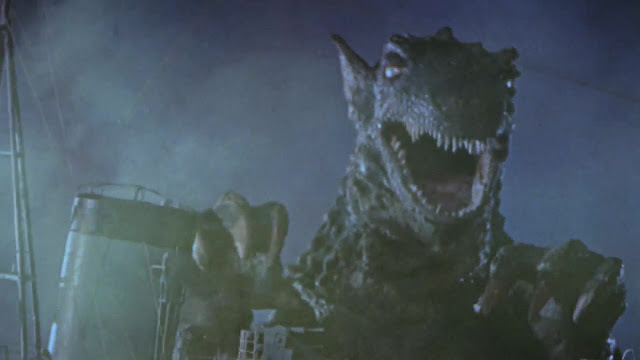 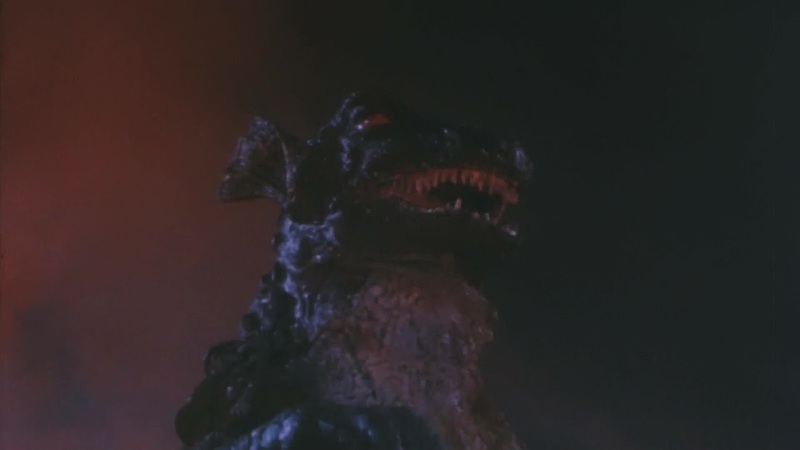 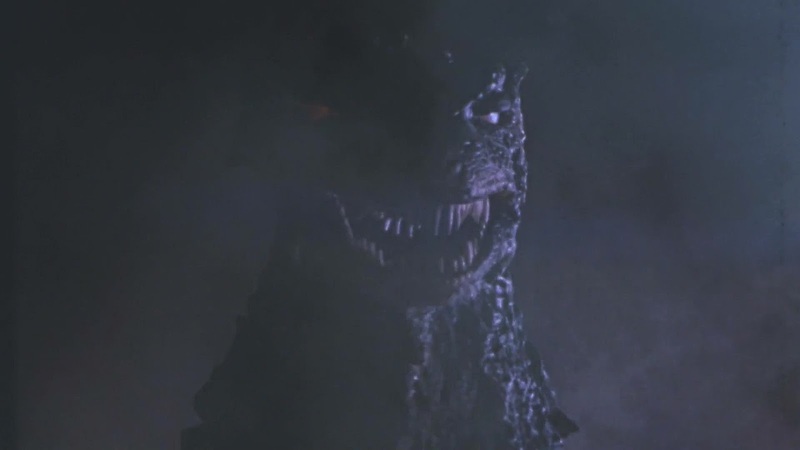 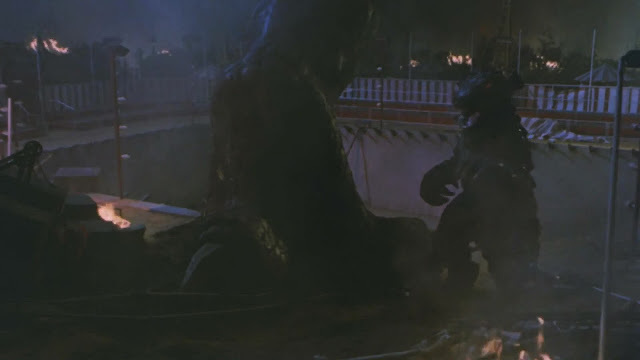 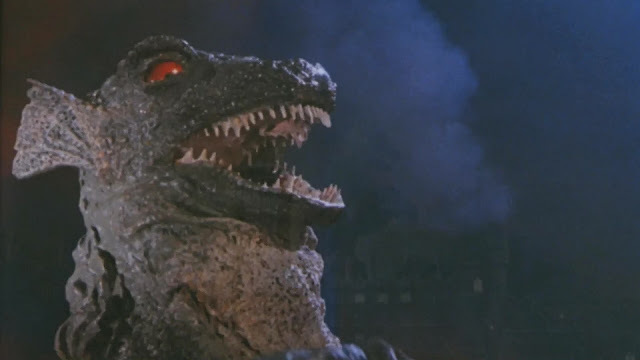 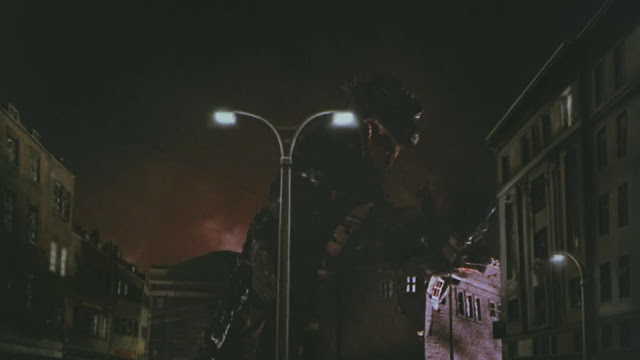 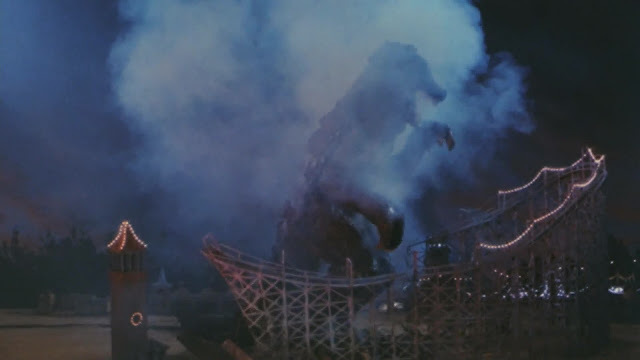 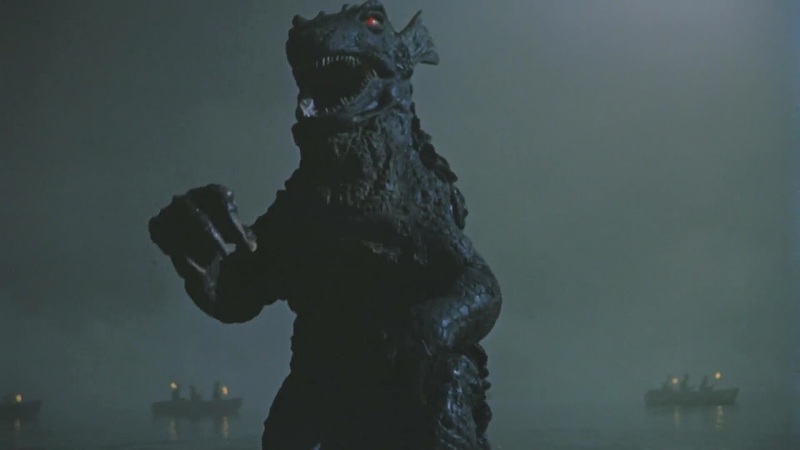 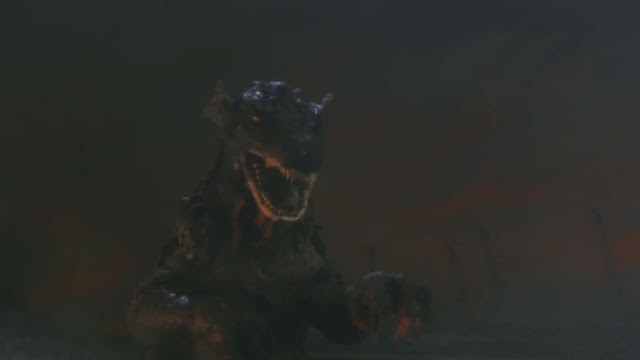 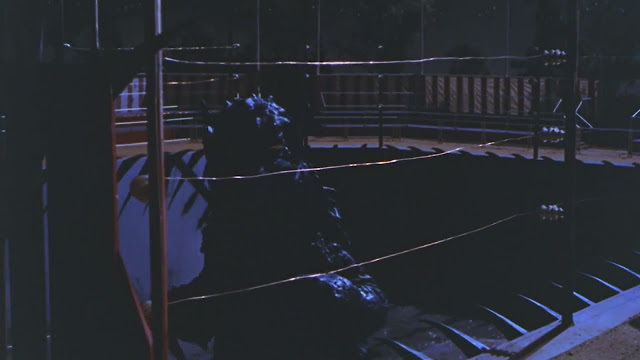 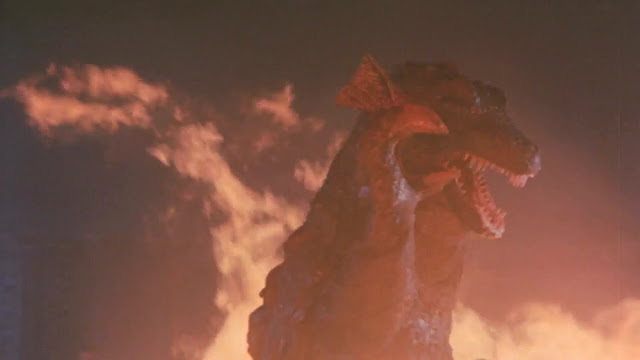 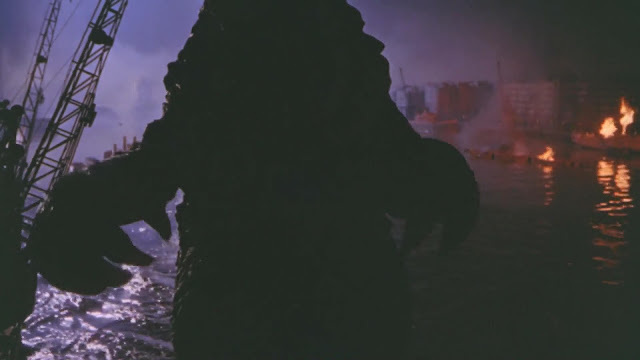 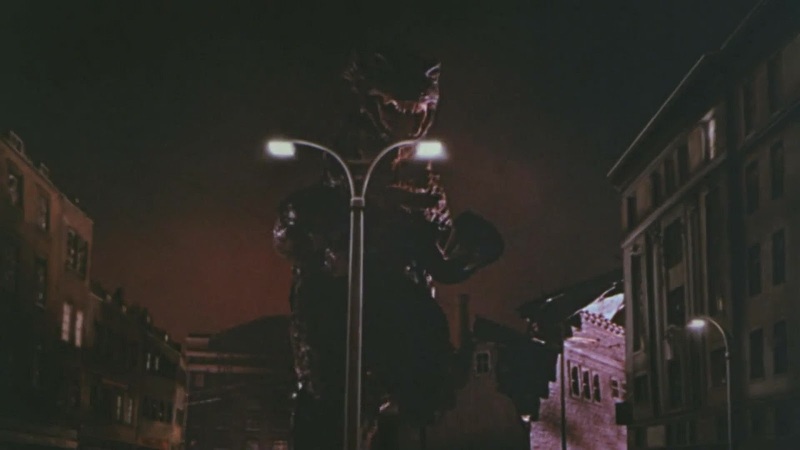 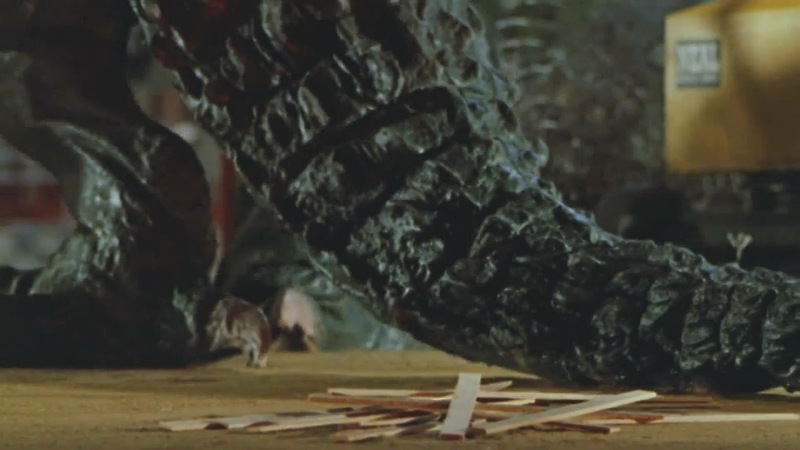 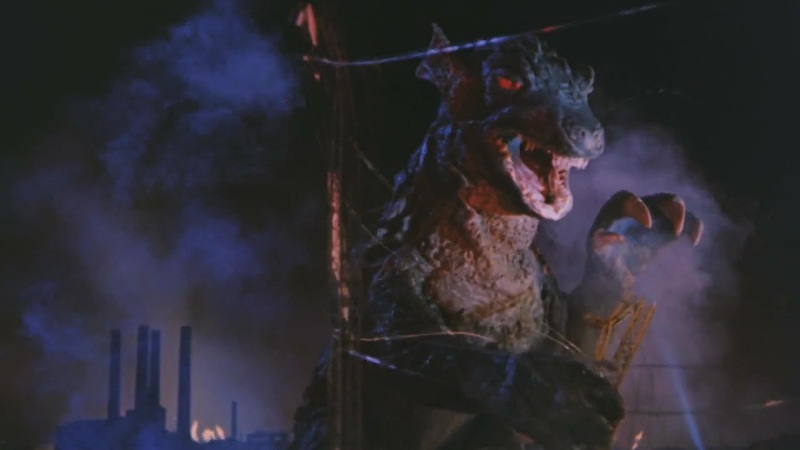 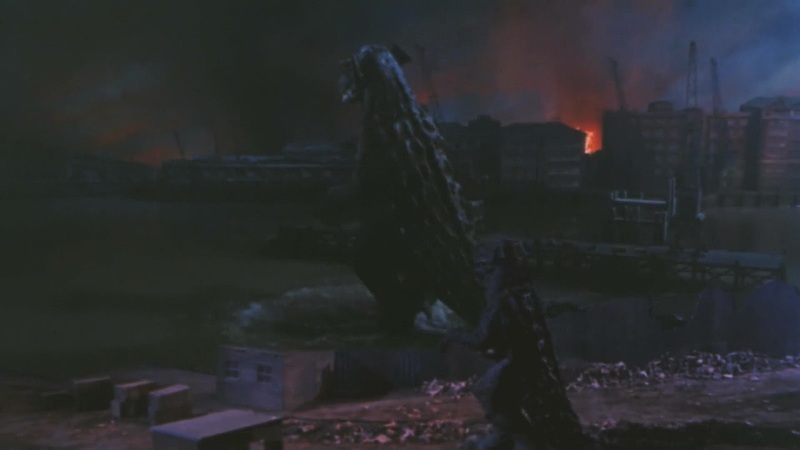 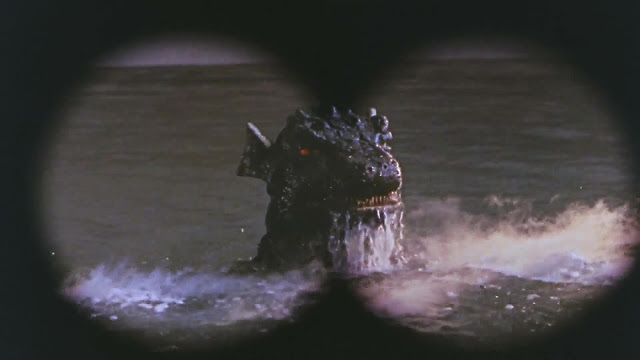 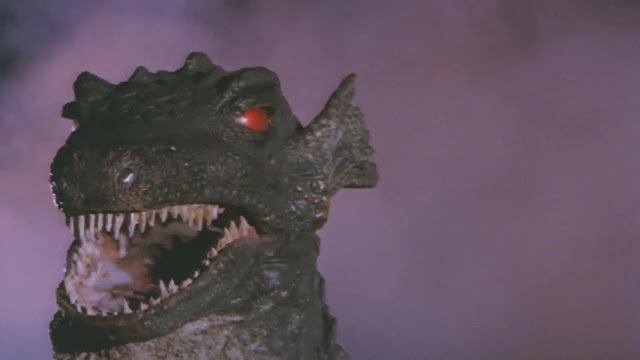 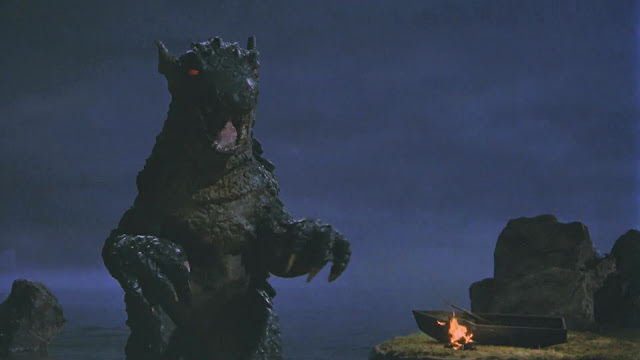 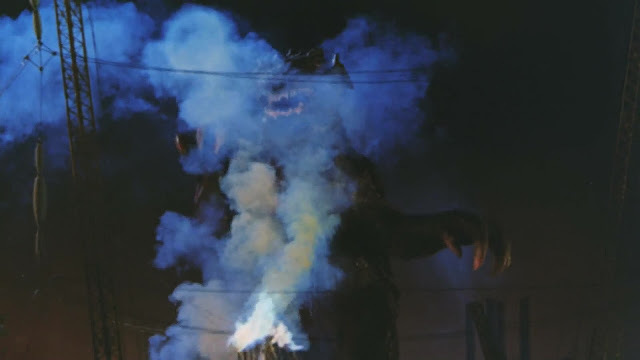 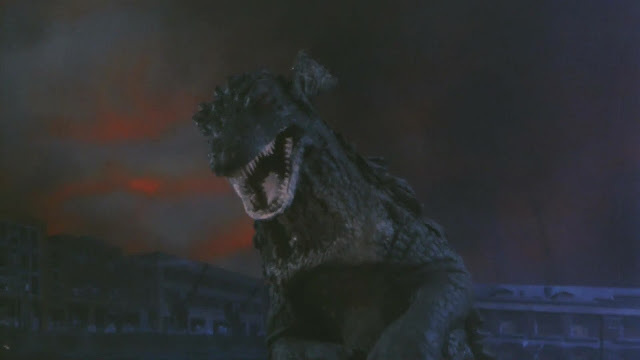 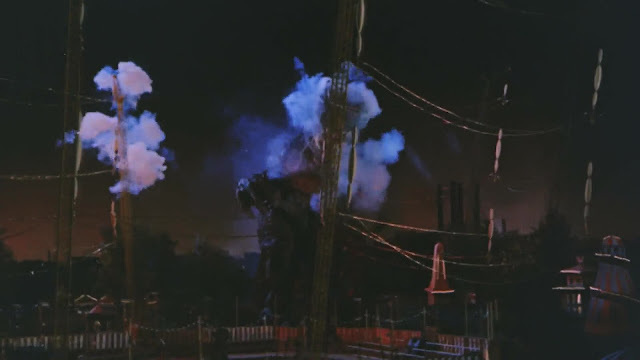 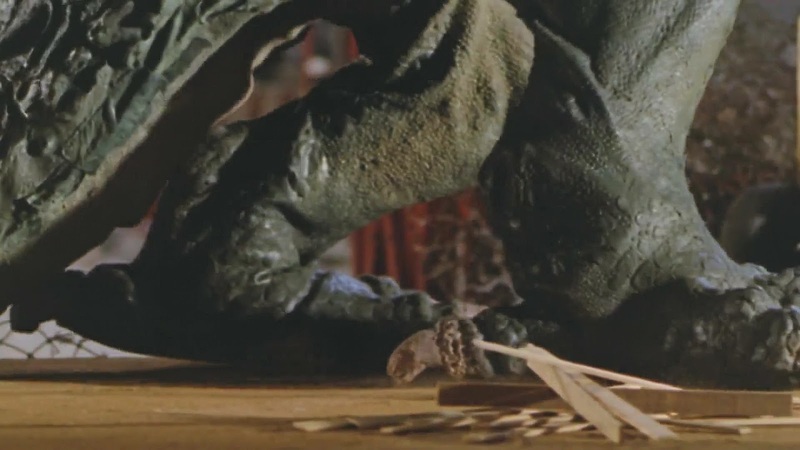 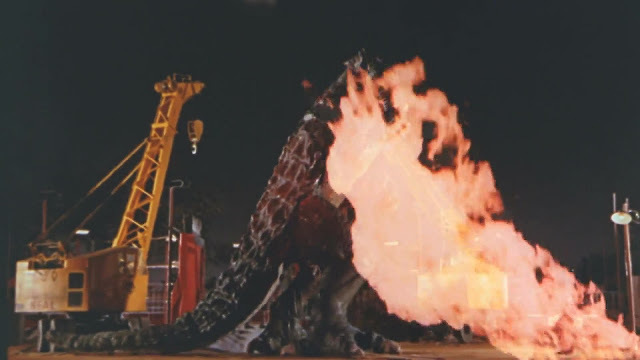 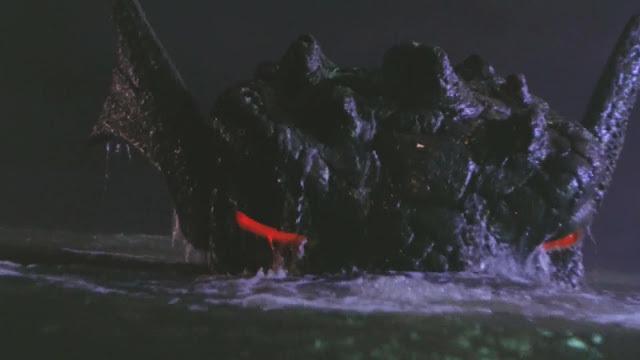 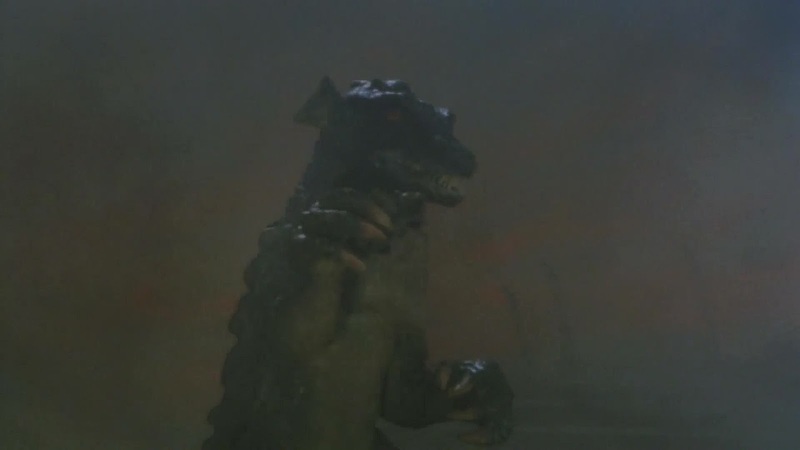 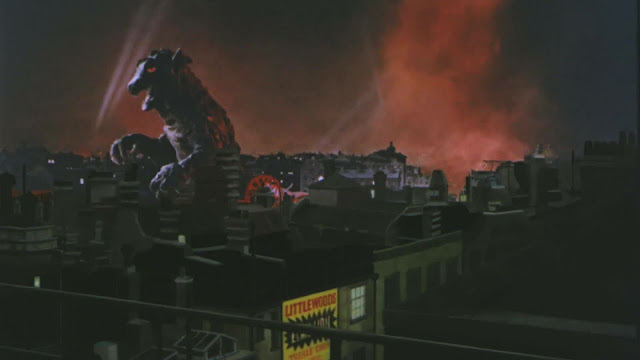 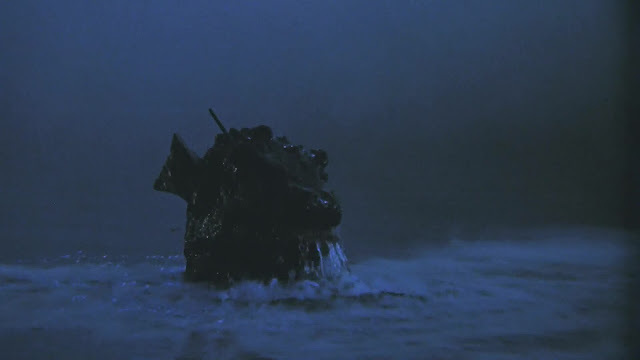 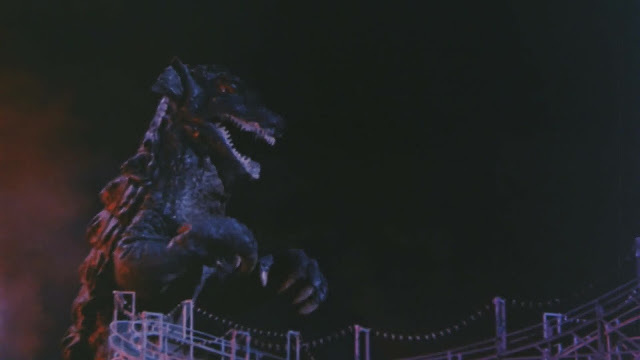 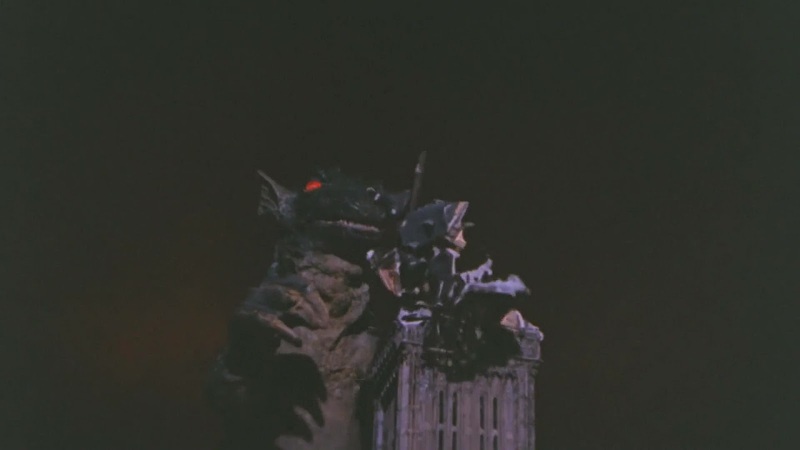 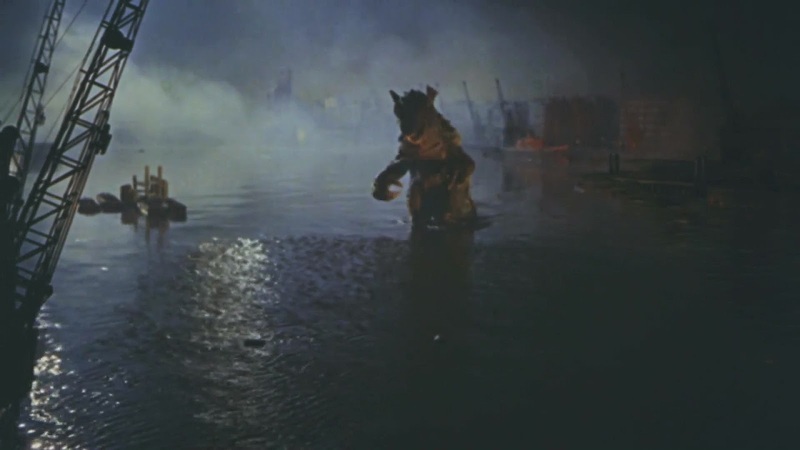 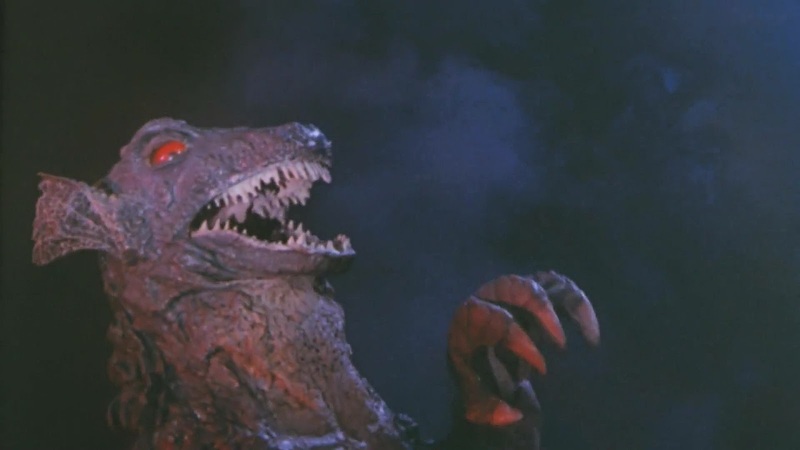 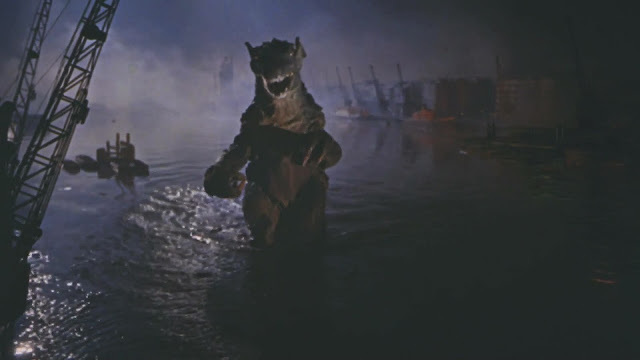 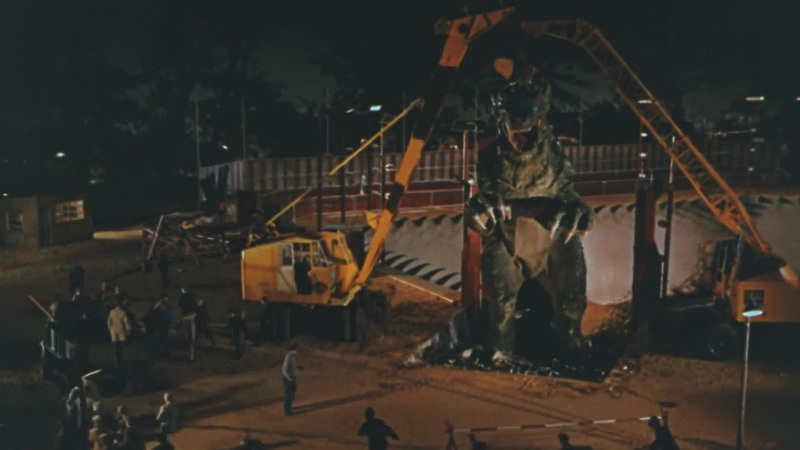 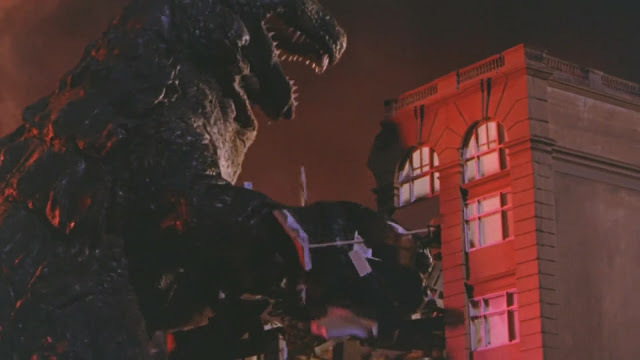 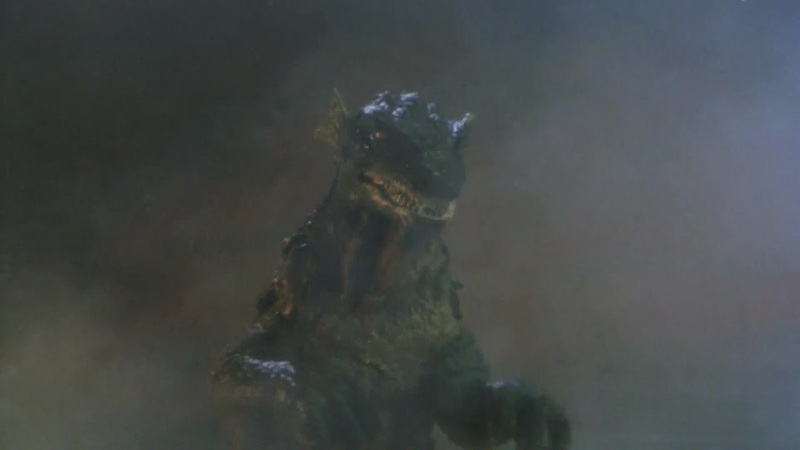 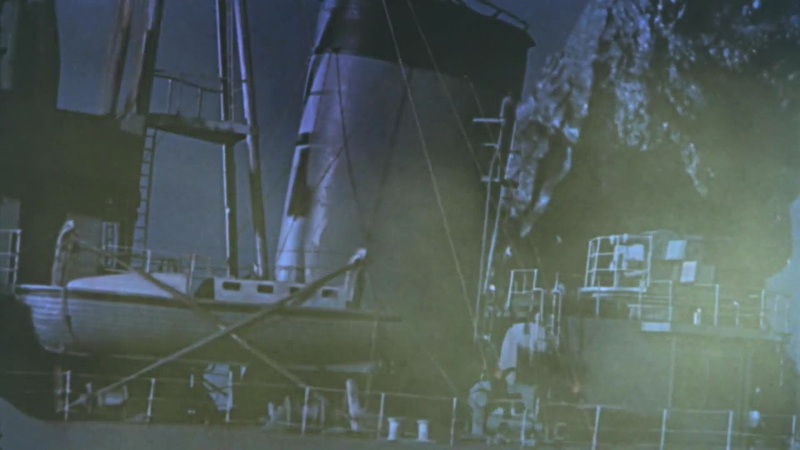 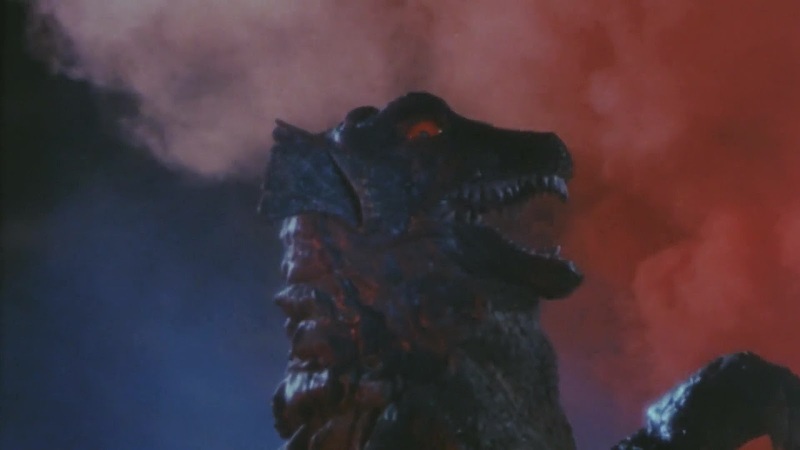 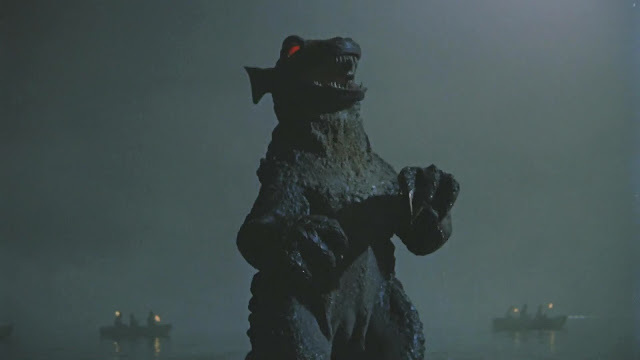 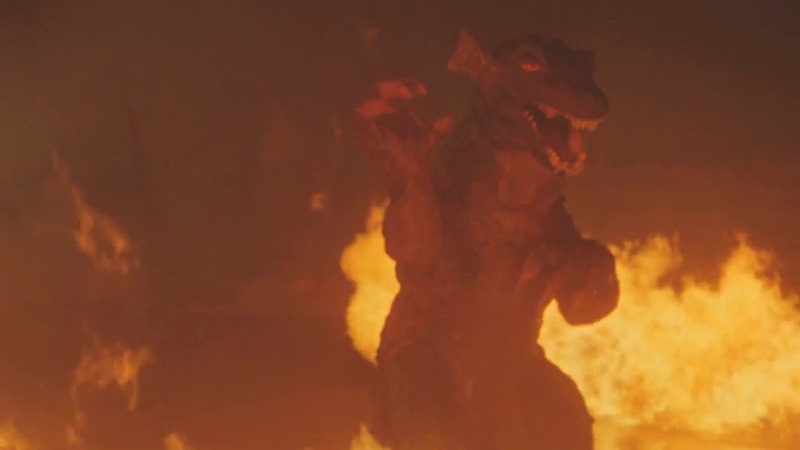 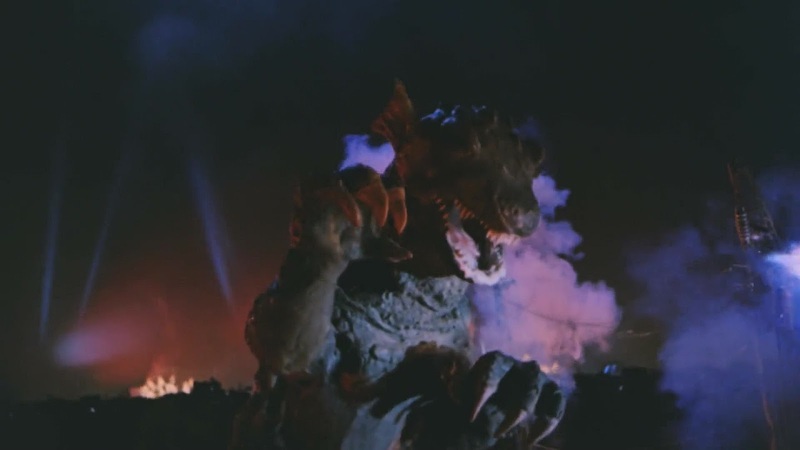 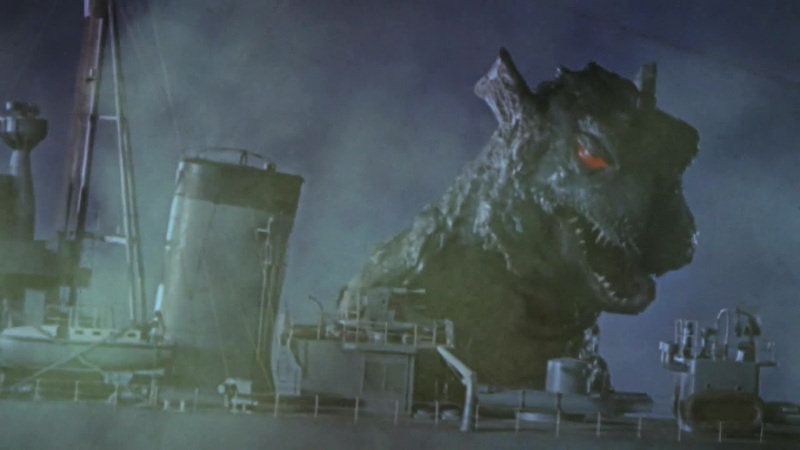 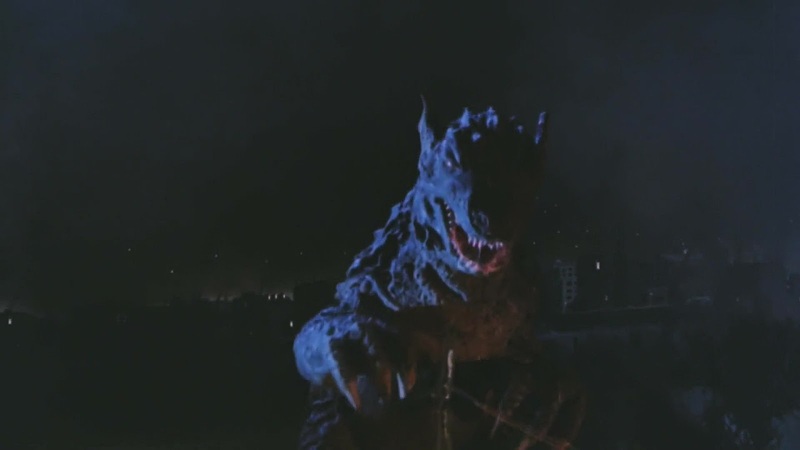 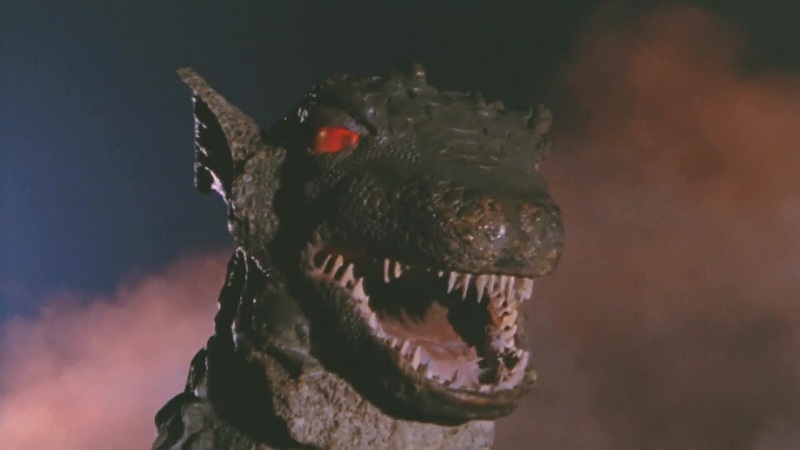 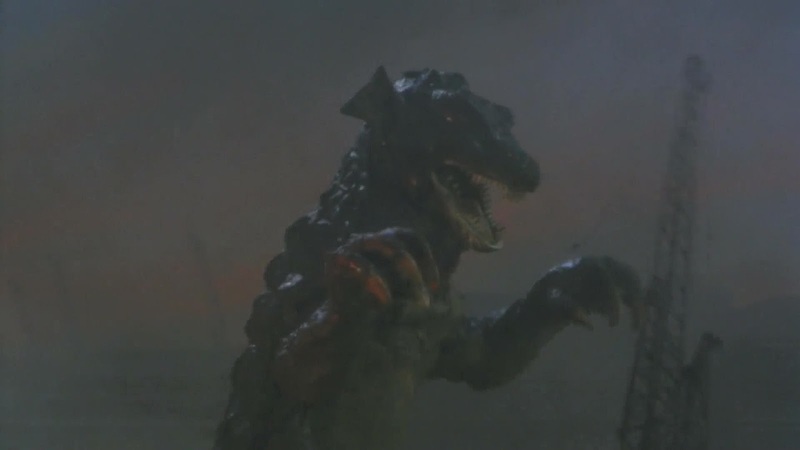 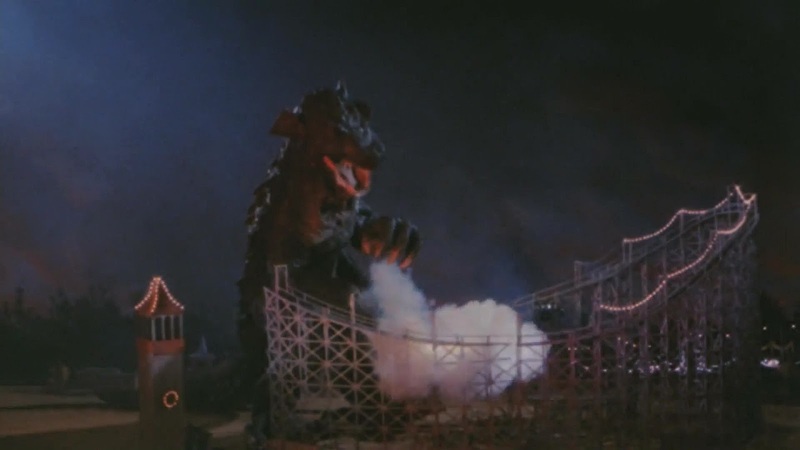 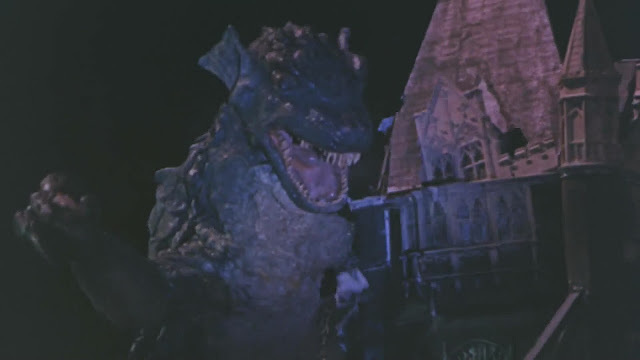 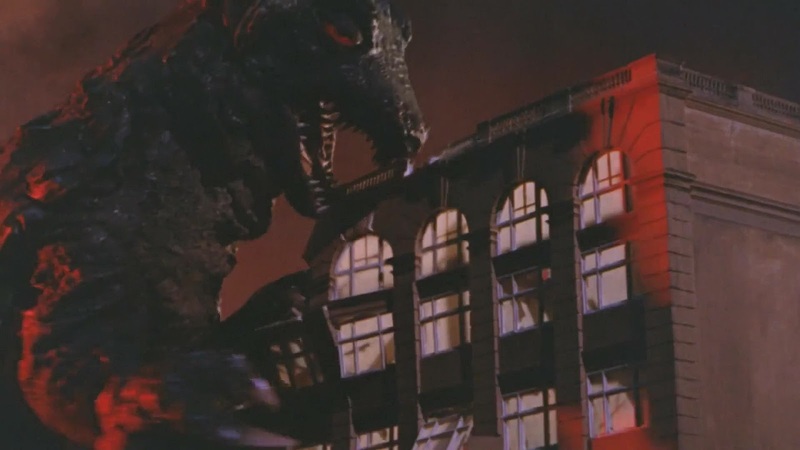 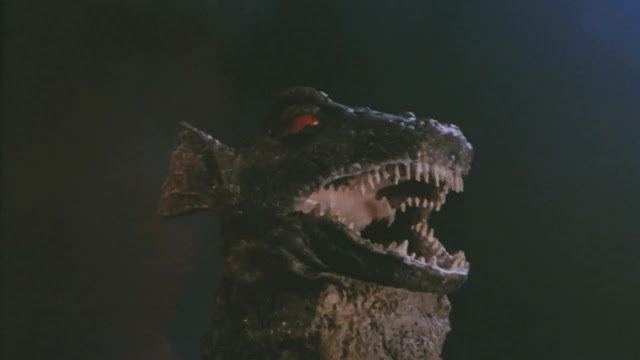 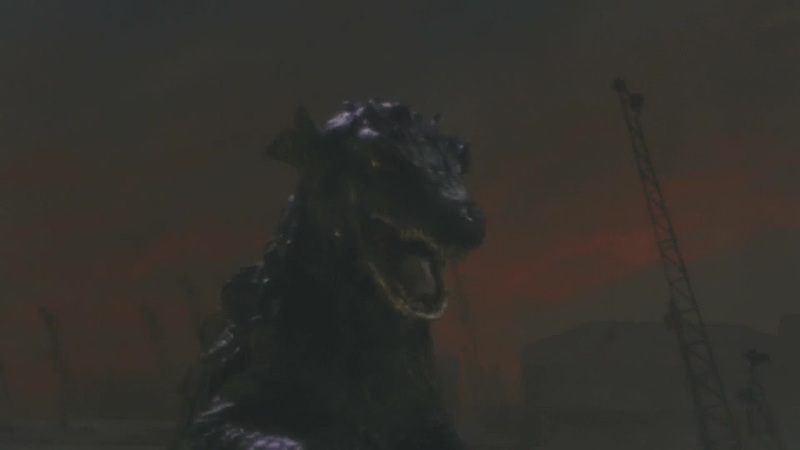 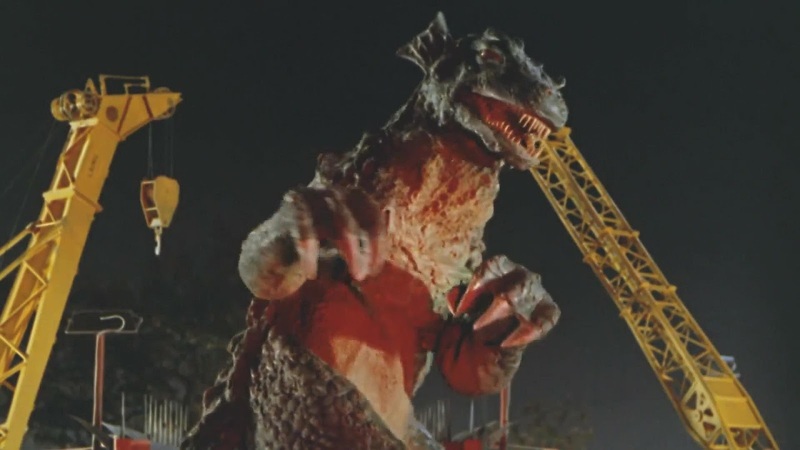 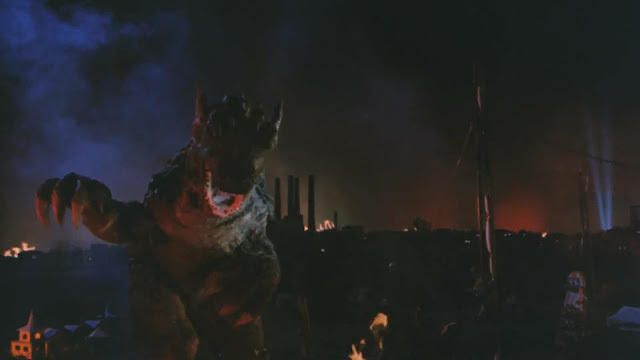 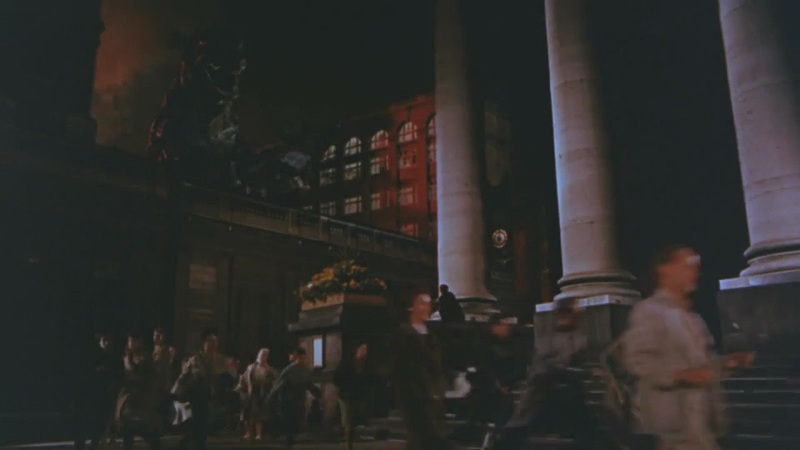 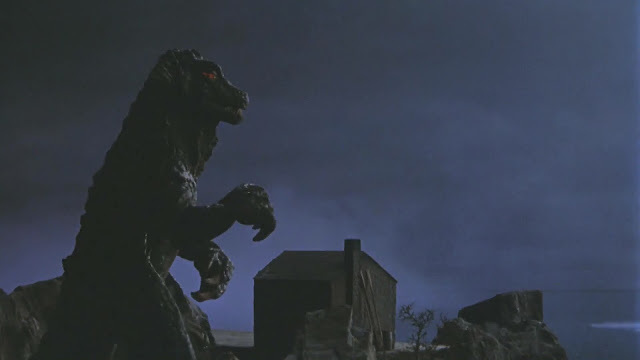 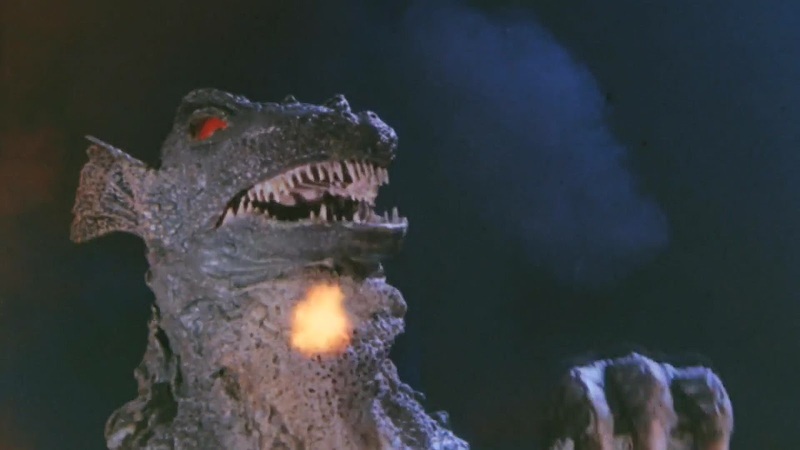 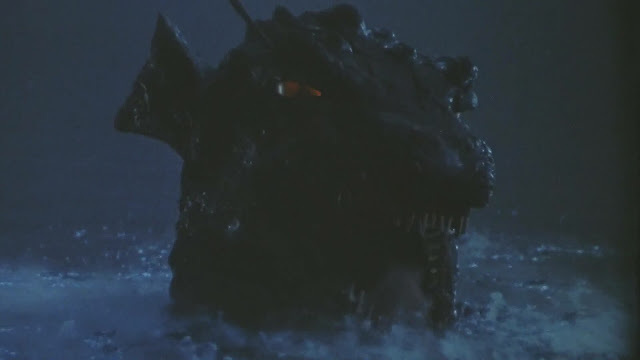 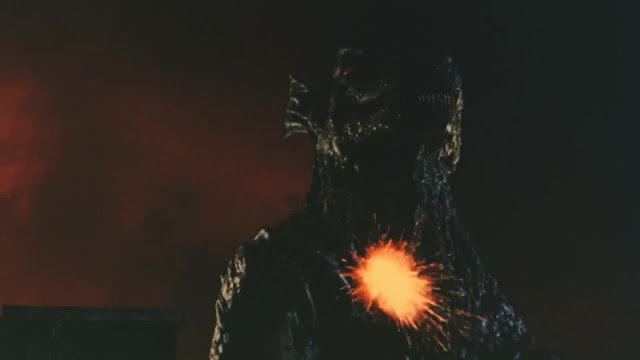 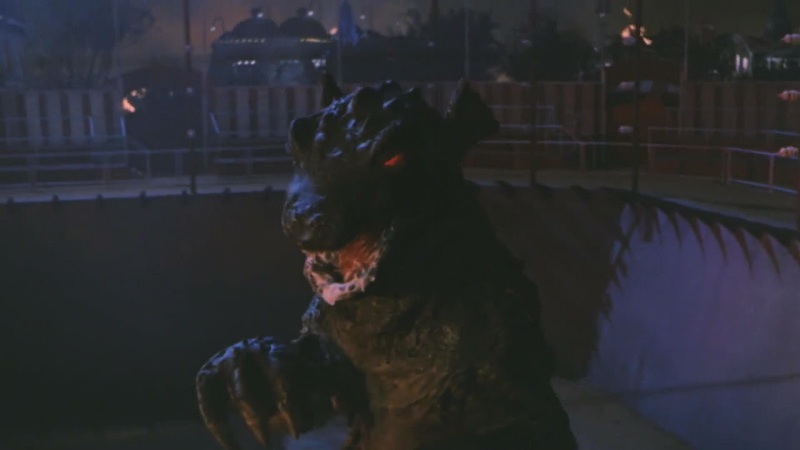 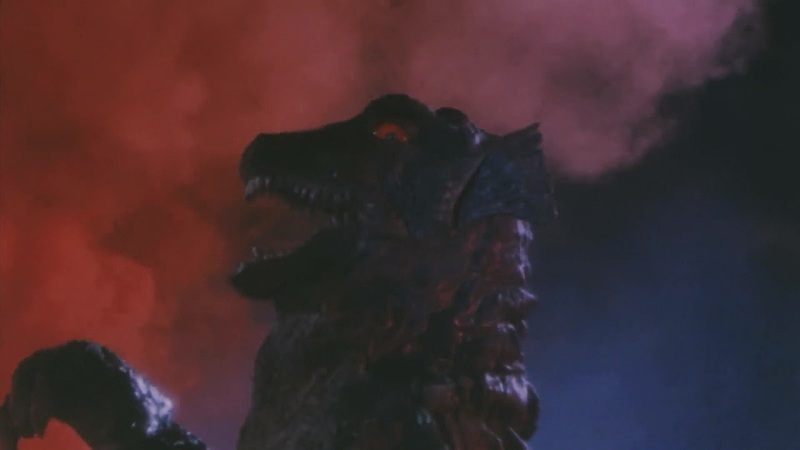 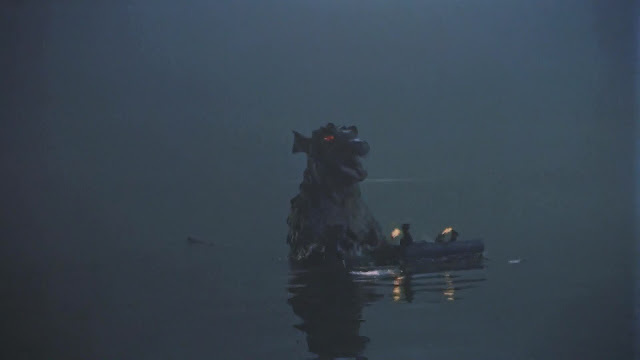 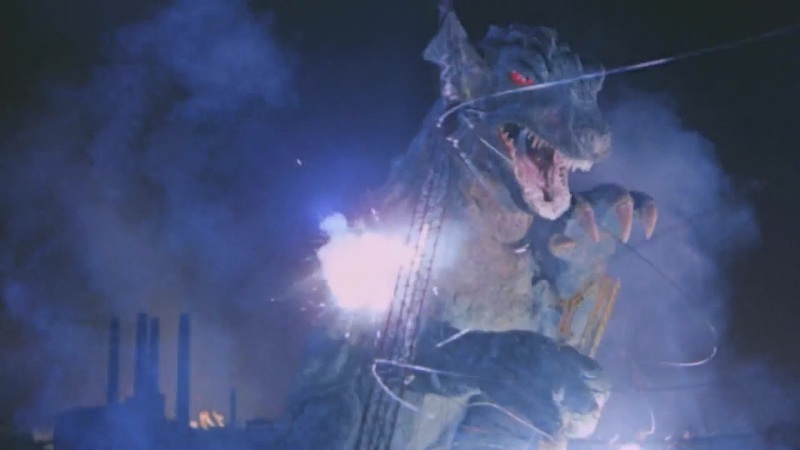 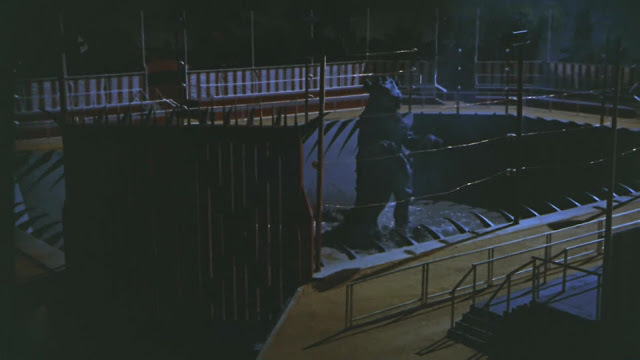 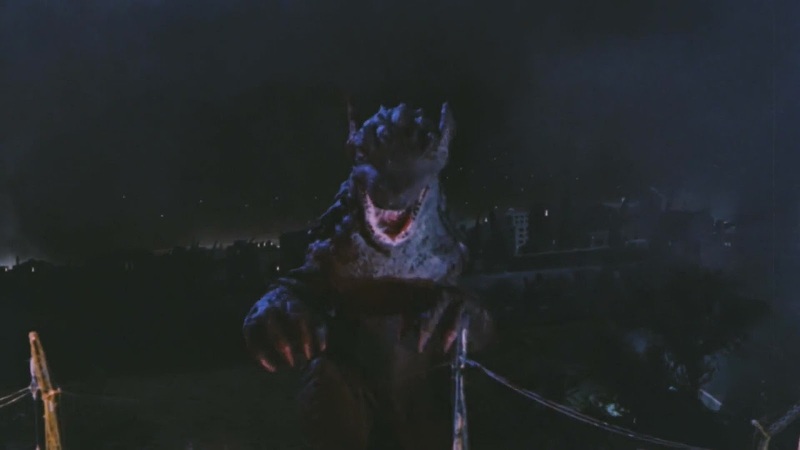 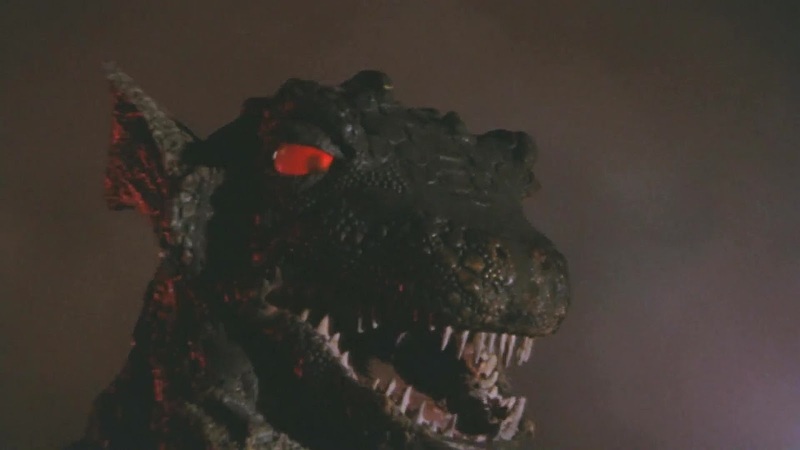 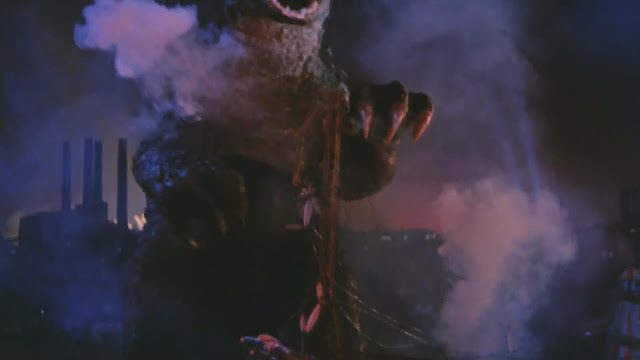 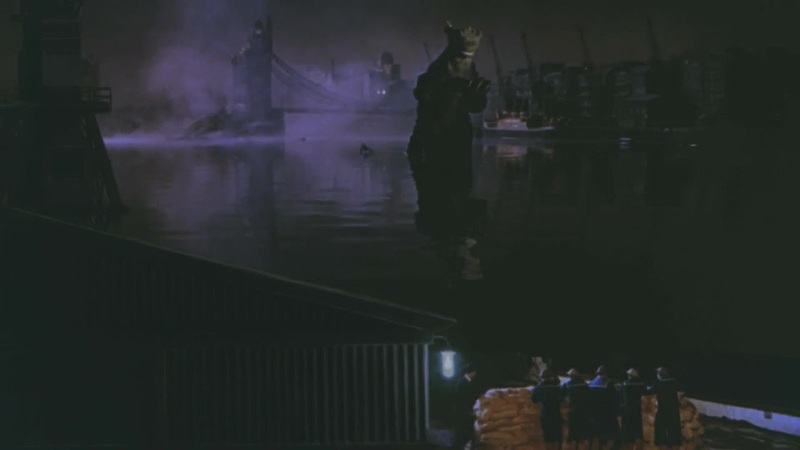 The preceding films "The Beast from 20000 Fathoms" 1953 and " The Giant Behemoth" 1959 both used stop motion animation to bring the creatures to life, in this case it was the man in a suit approach. 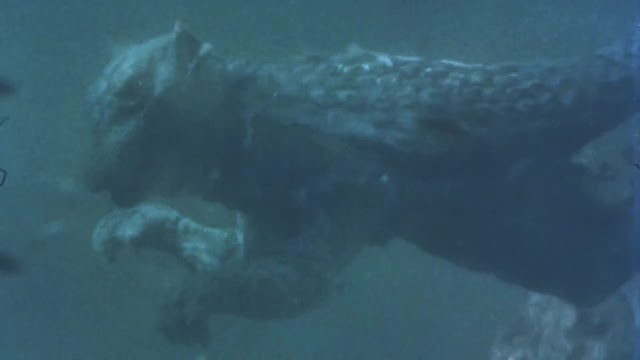 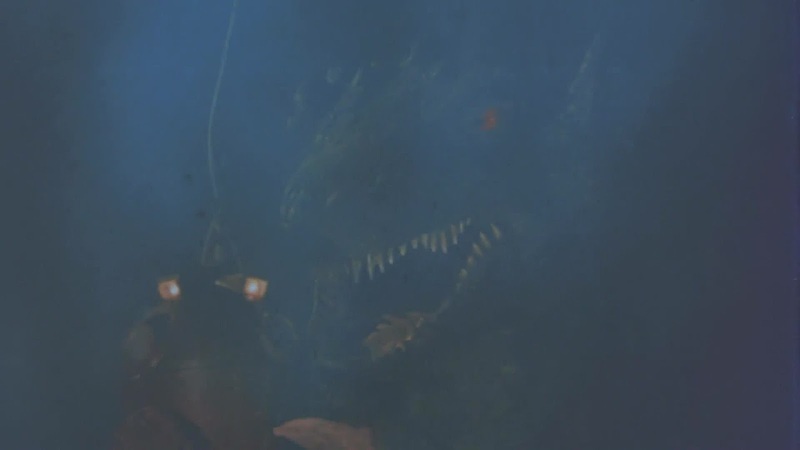 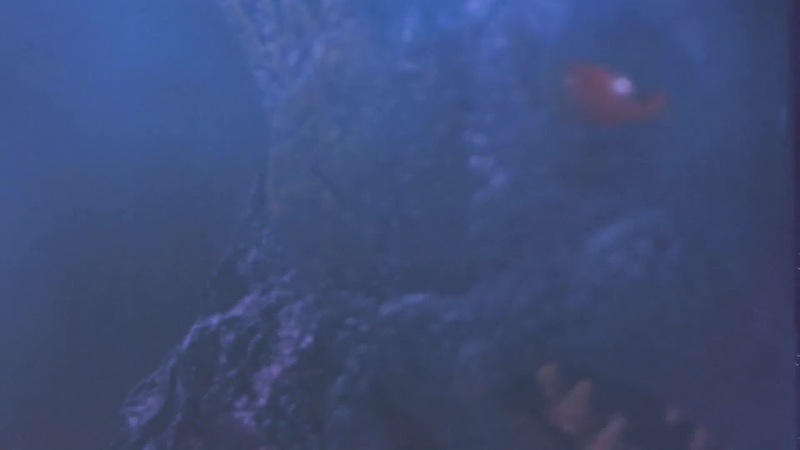 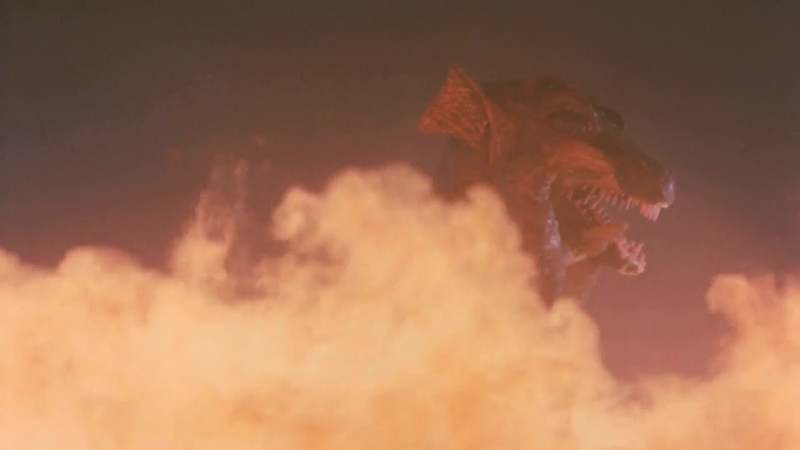 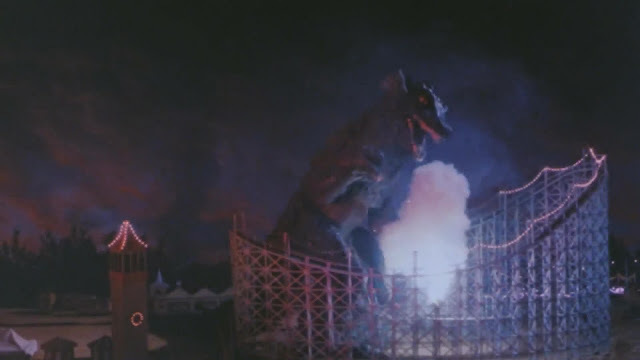 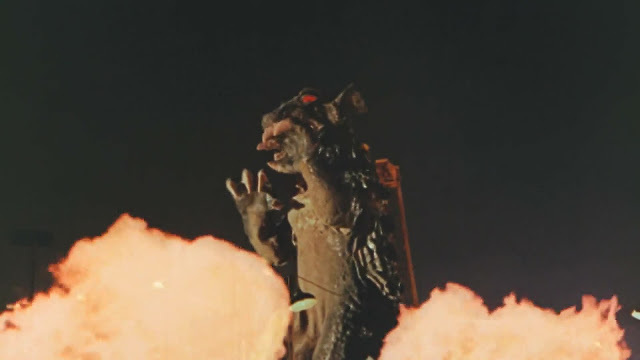 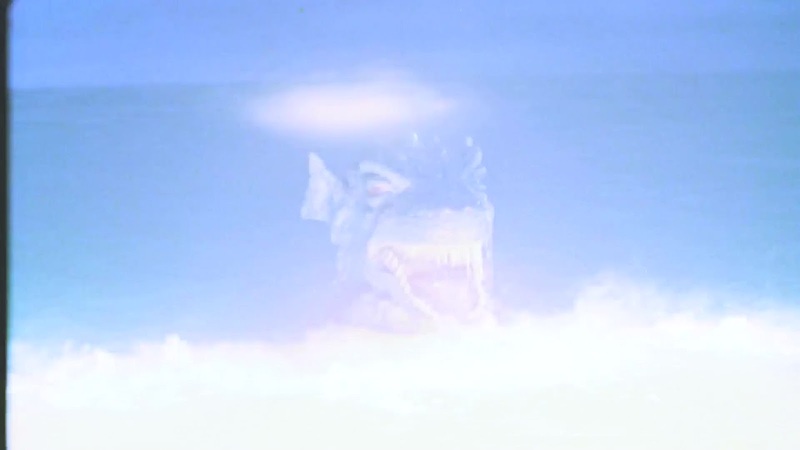 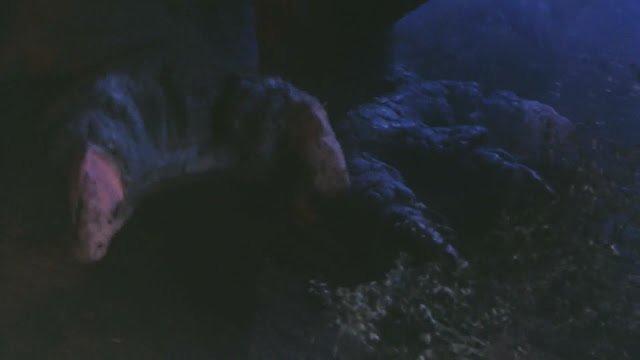 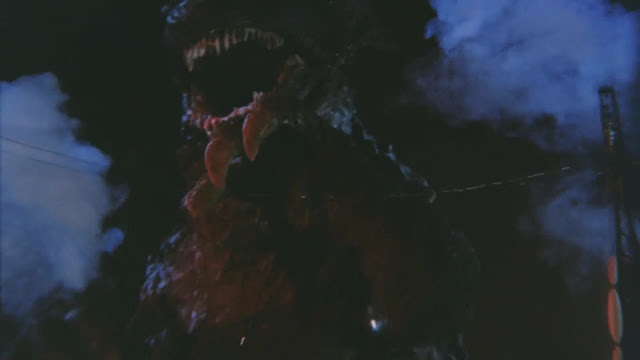 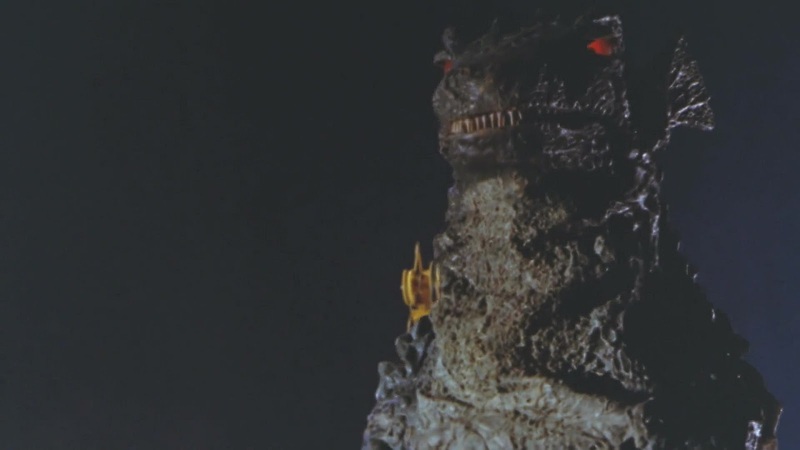 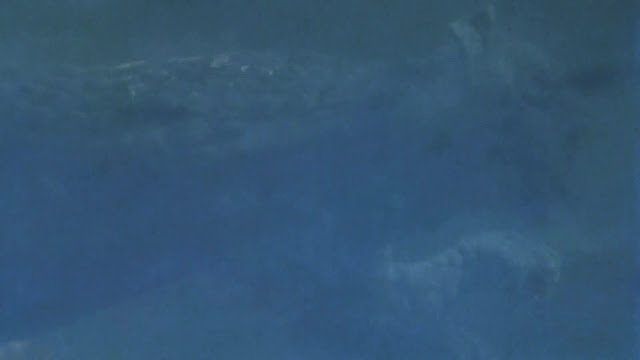 There is a baby creature and its bigger mother depicted with both using the exact same rubber costume. 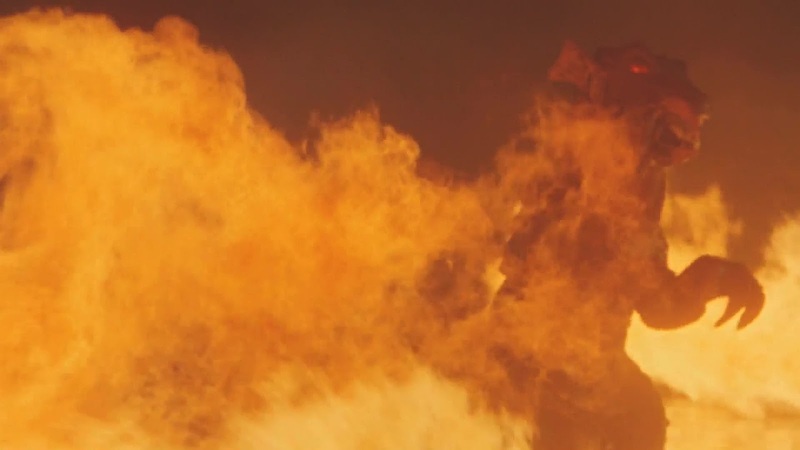 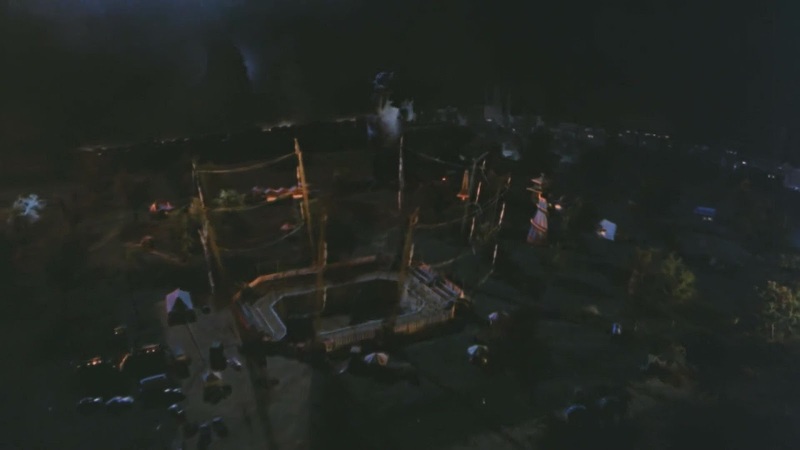 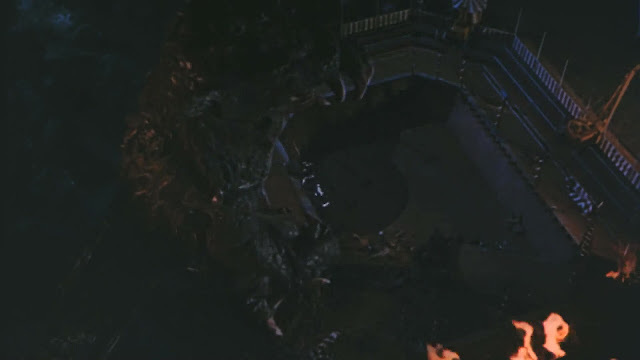 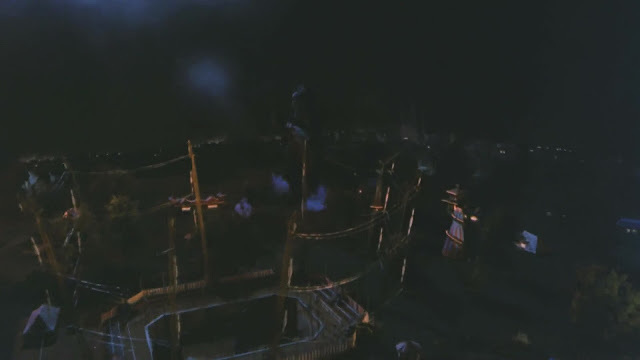 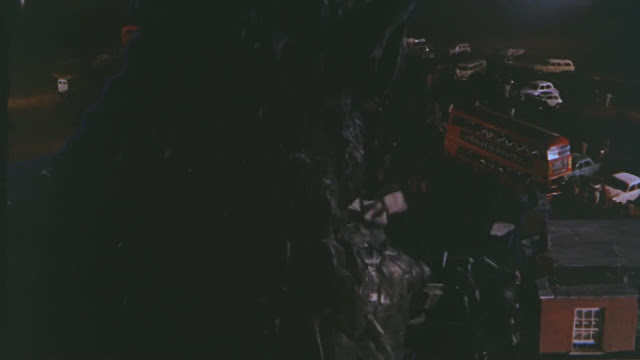 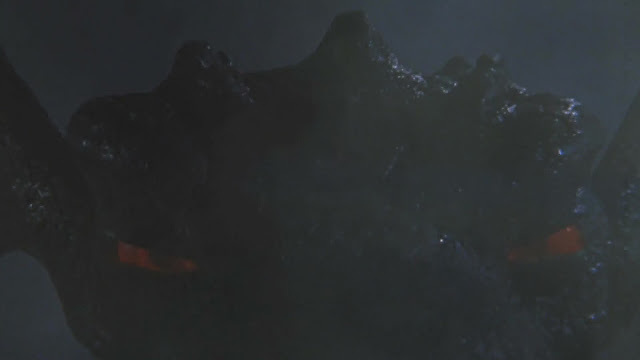 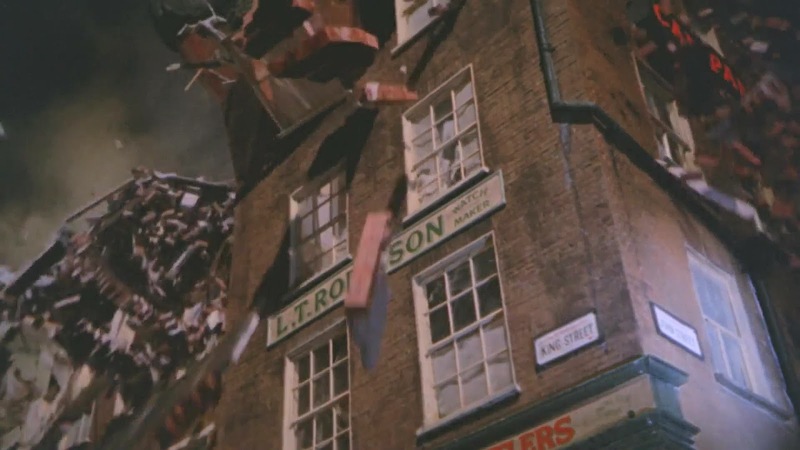 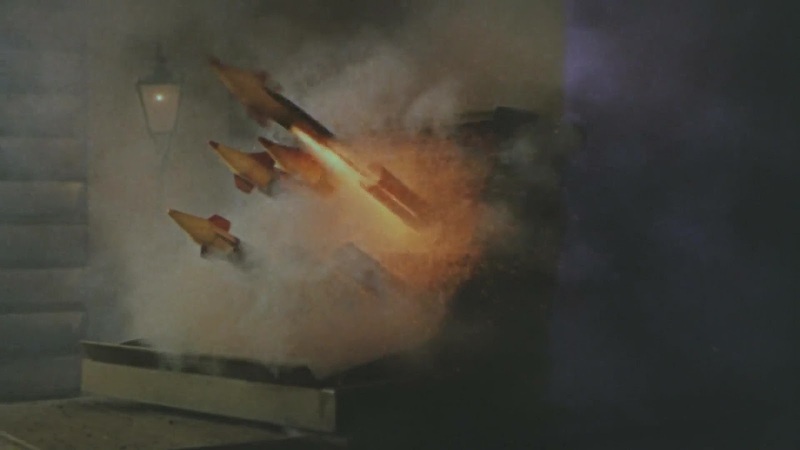 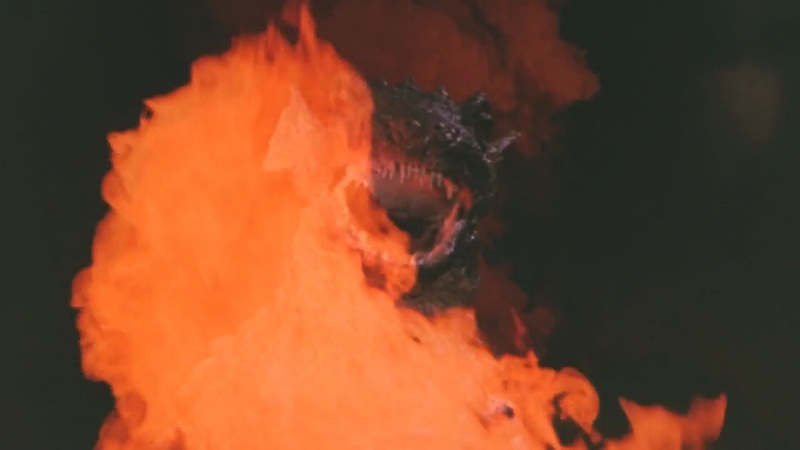 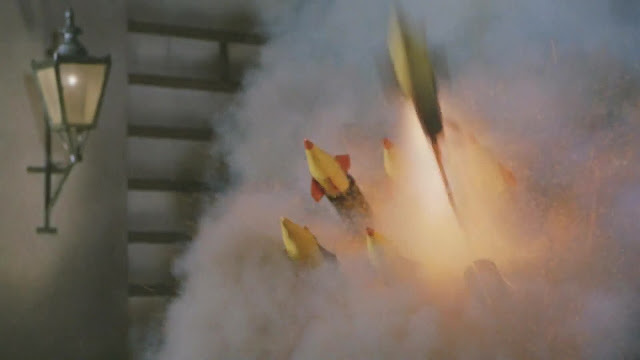 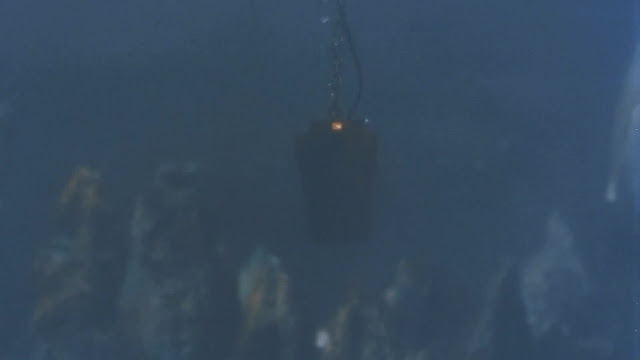 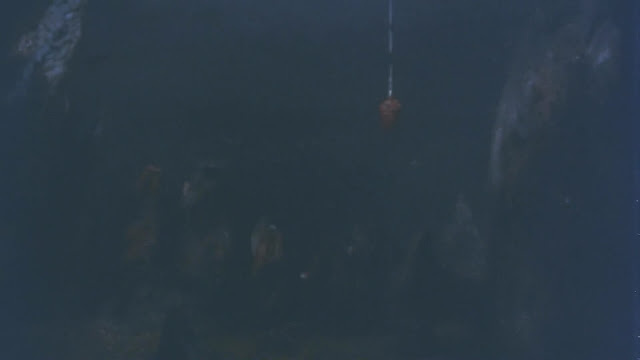 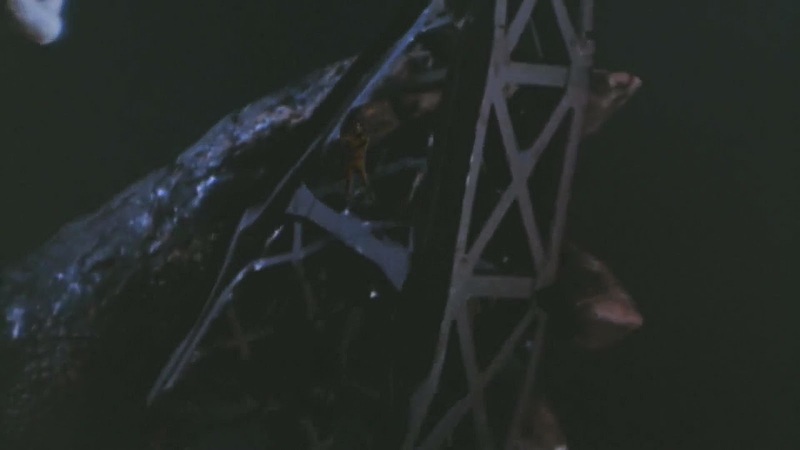 This meant that the scale of the miniatures had to vary depending who was supposed to be in the scene. 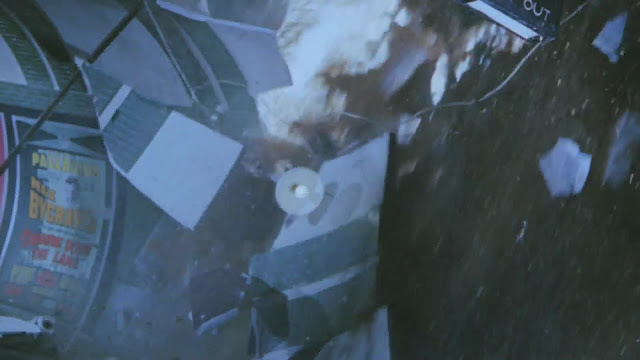 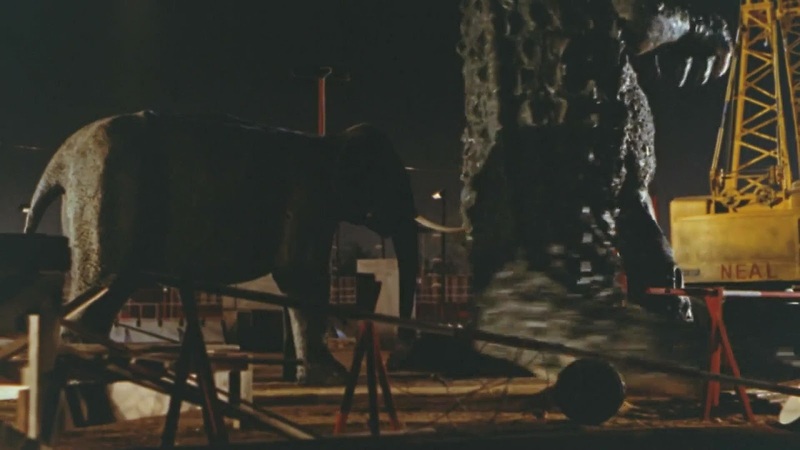 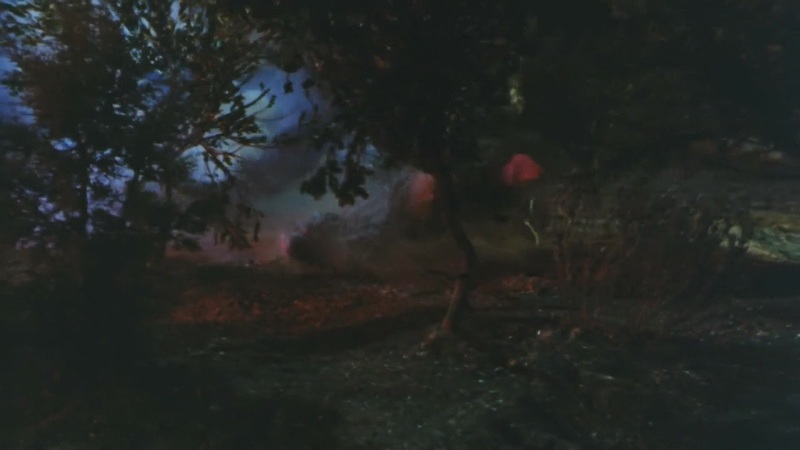 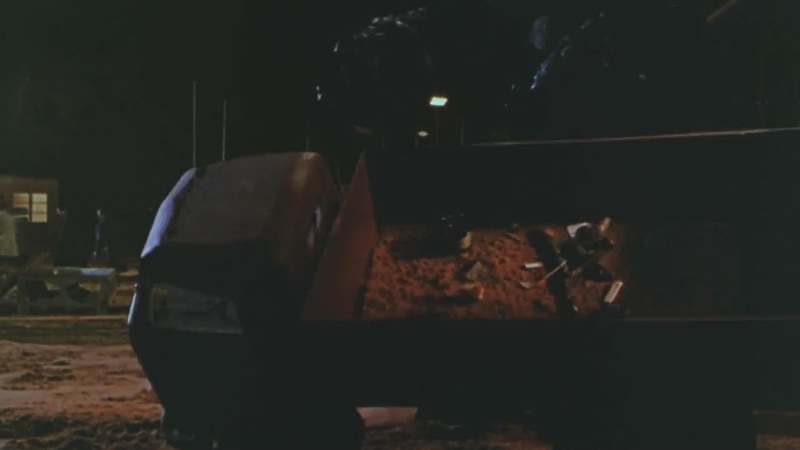 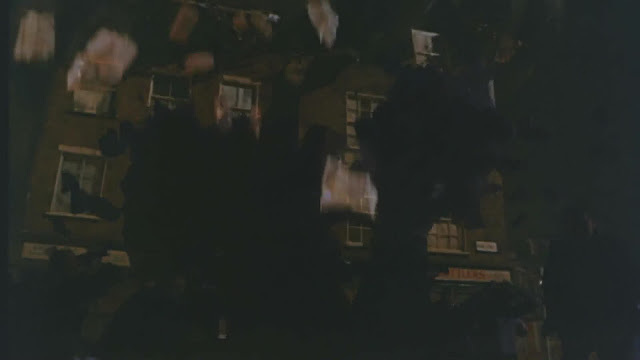 At the end when both are seen together the baby was shot separately and matted into the scene with a traveling matte. 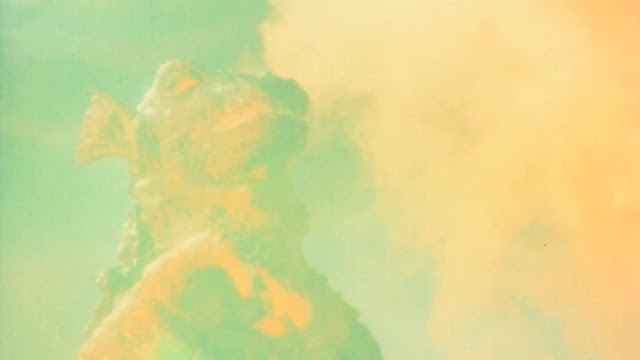 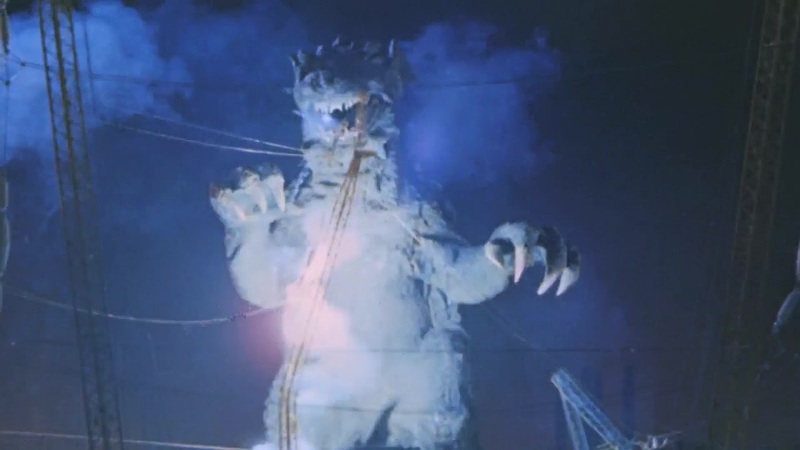 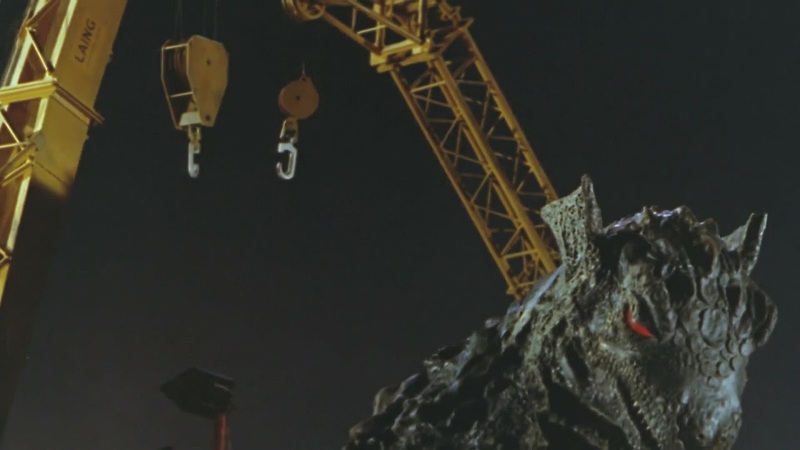 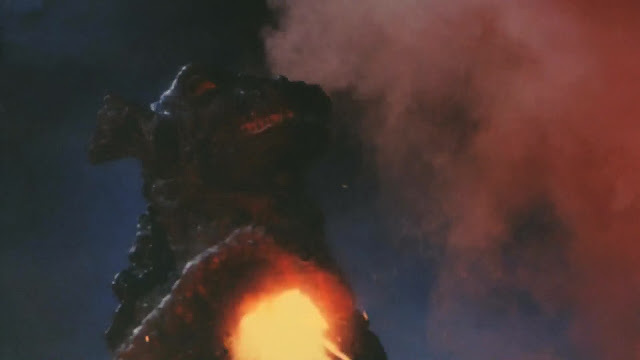 The baby creature was supposed to be about 30 ft (14.2m) high which makes it about 1/5 scale. 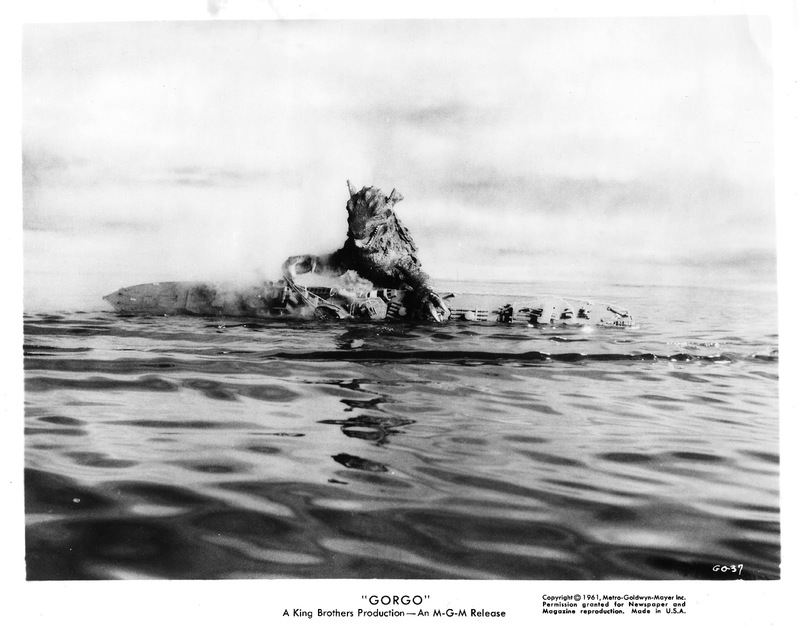 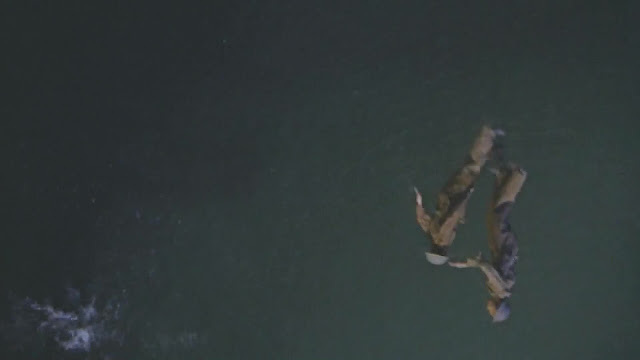 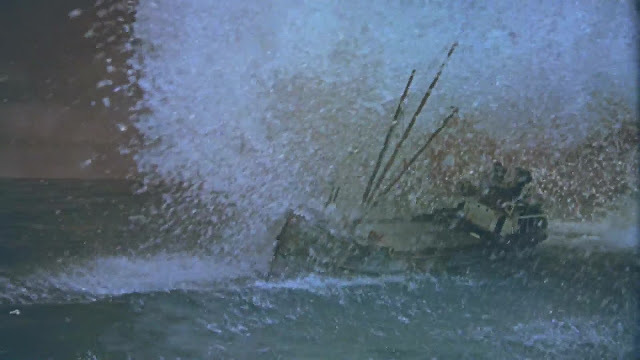 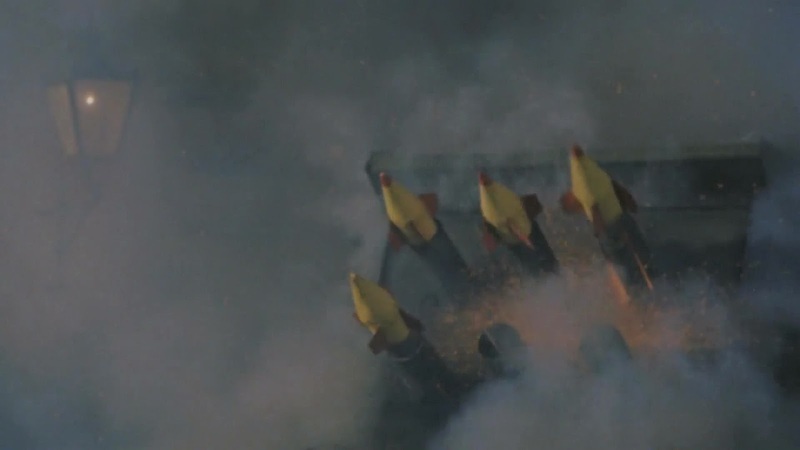 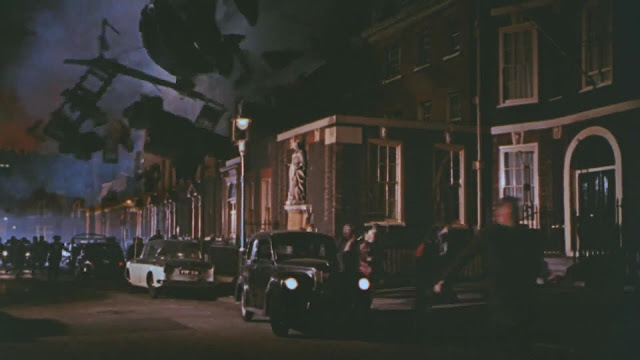 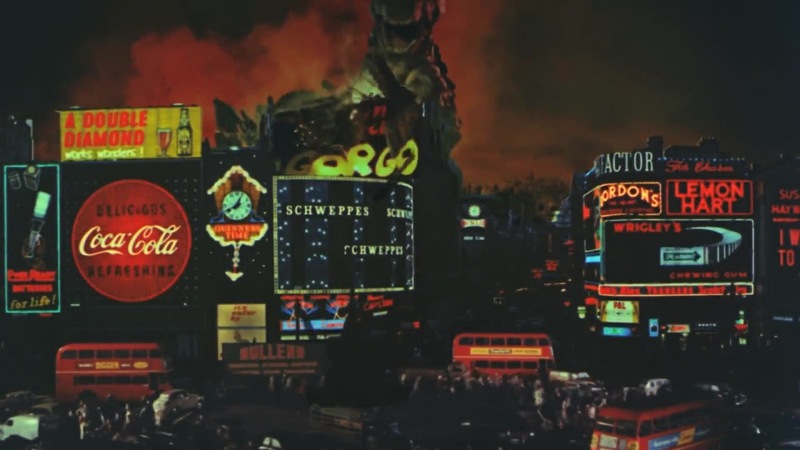 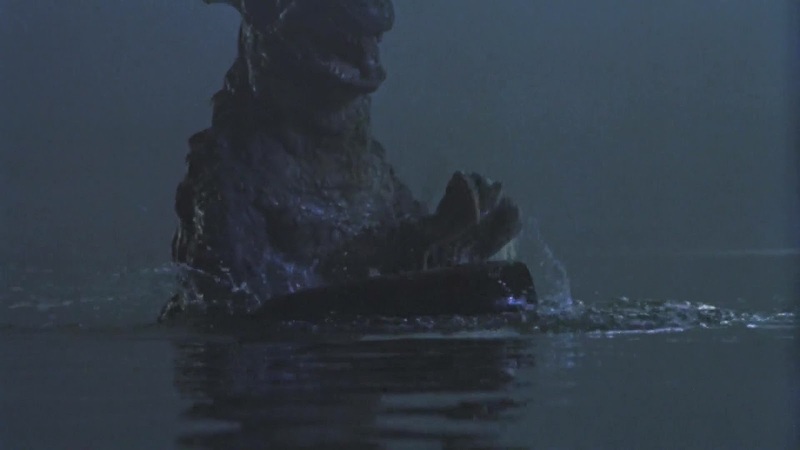 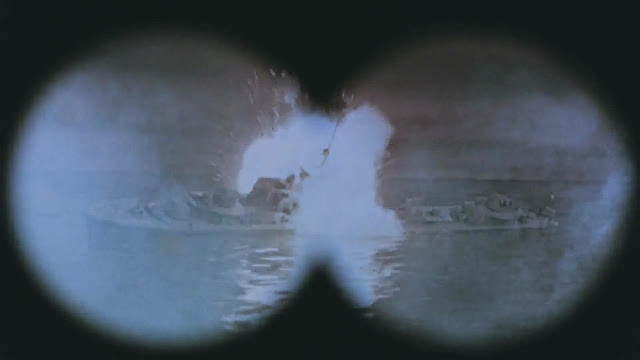 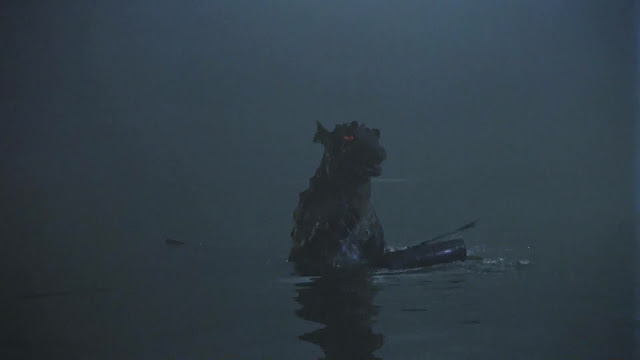 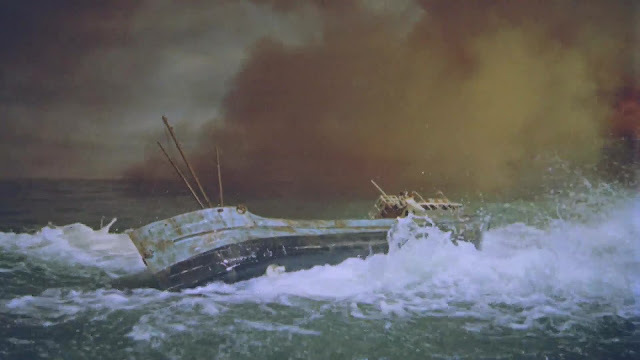 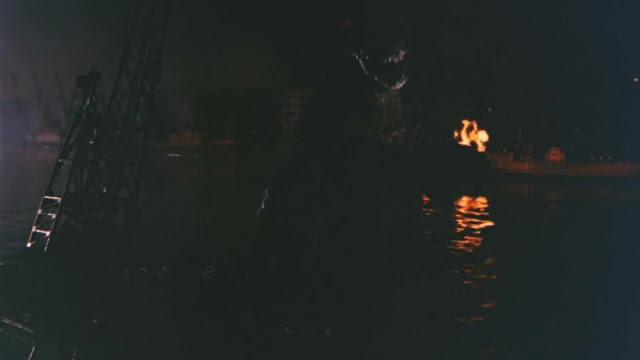 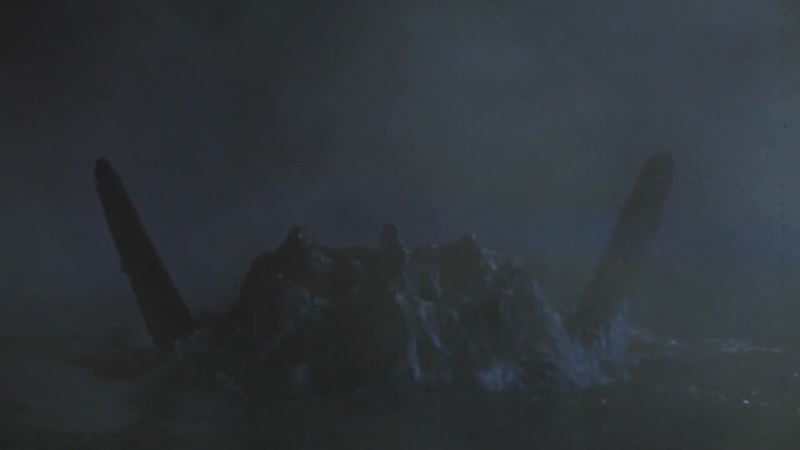 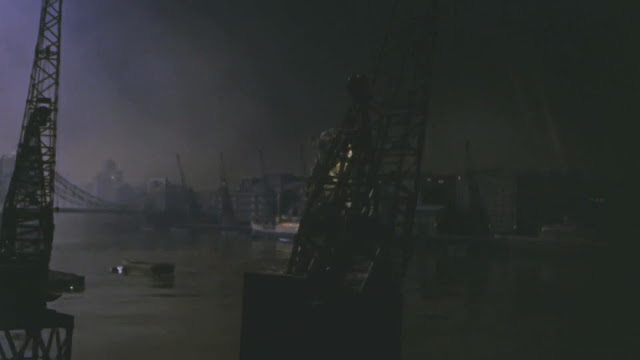 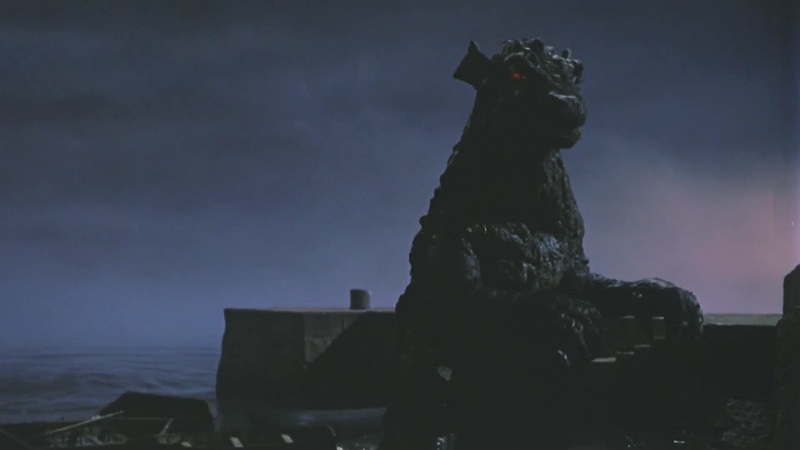 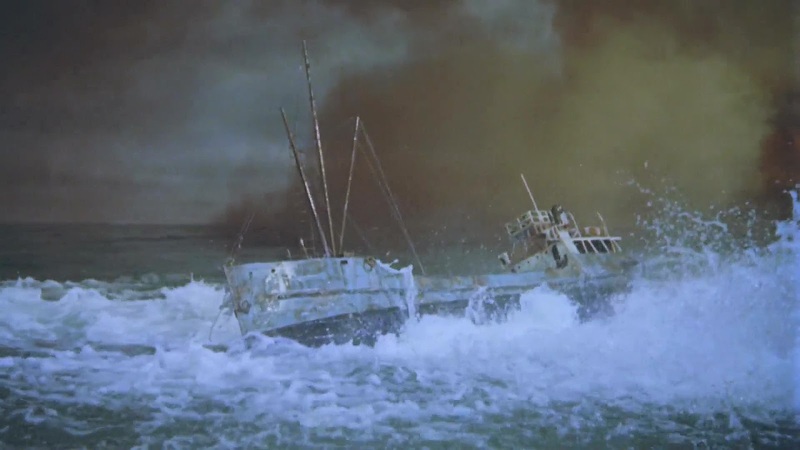 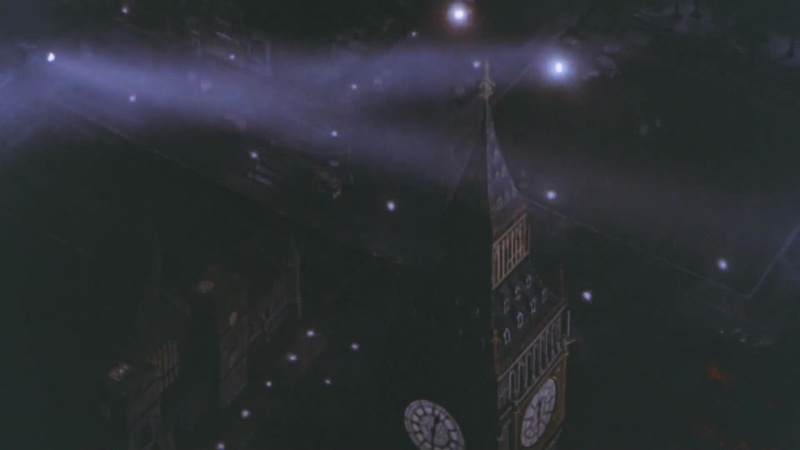 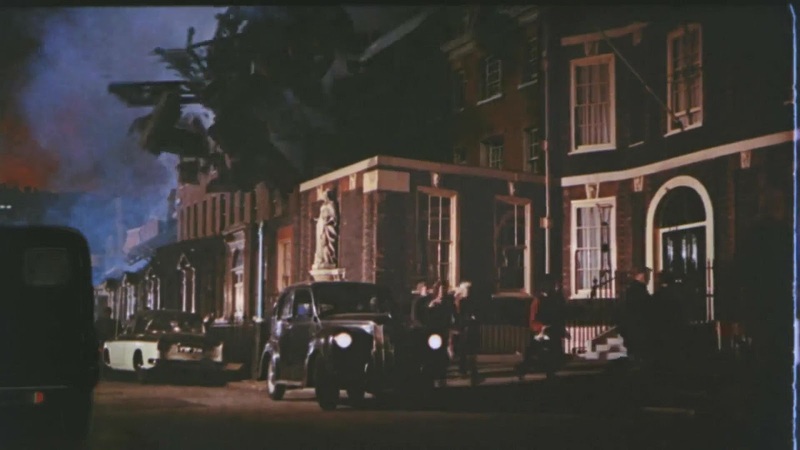 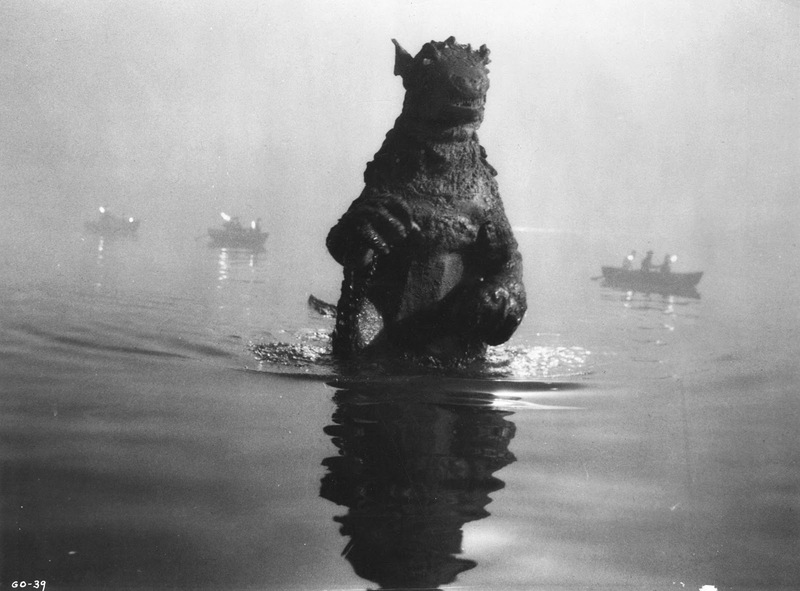 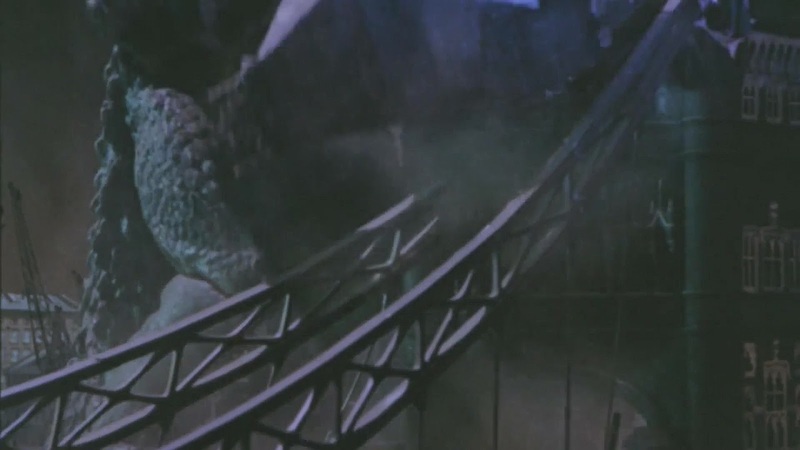 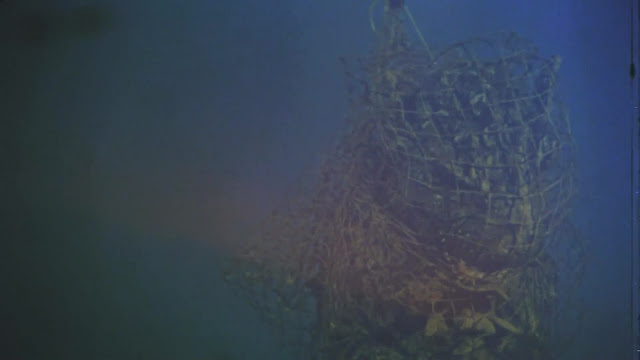 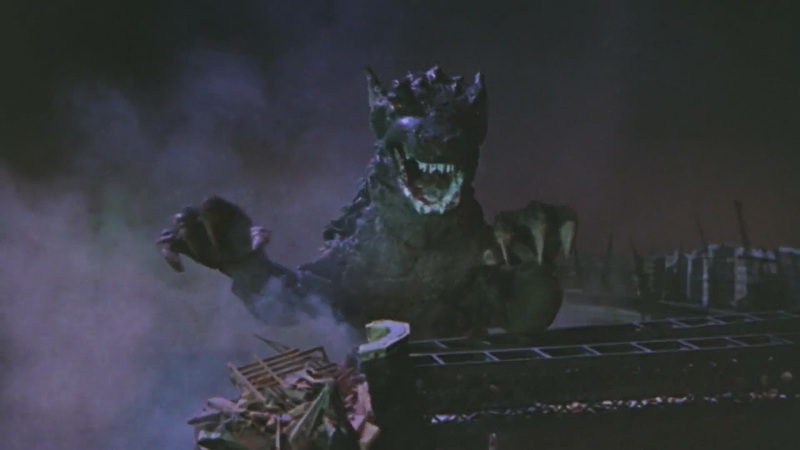 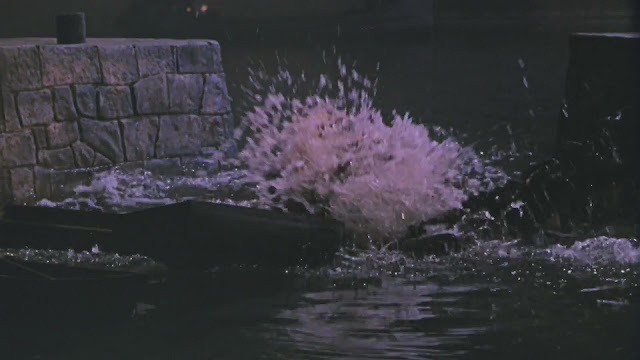 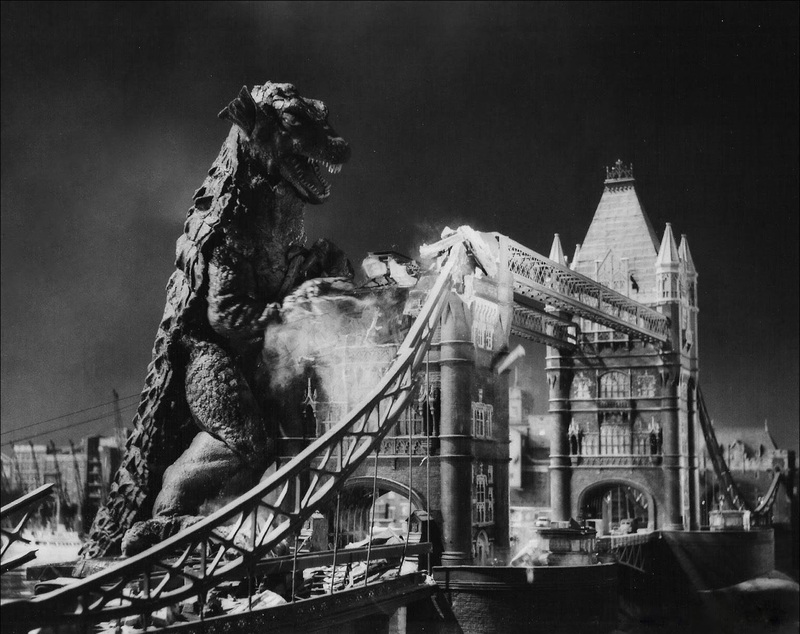 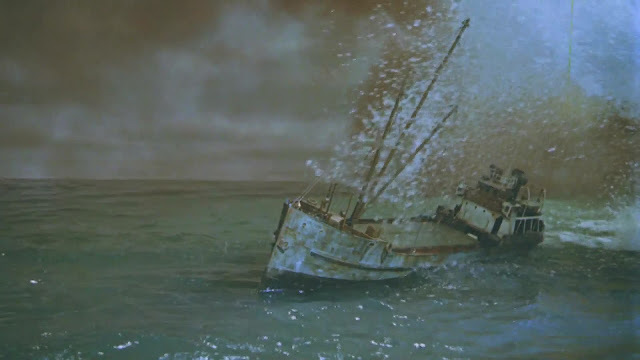 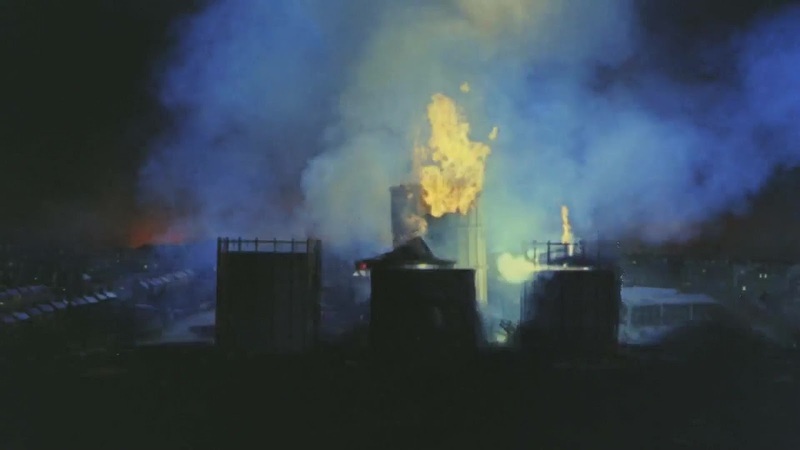 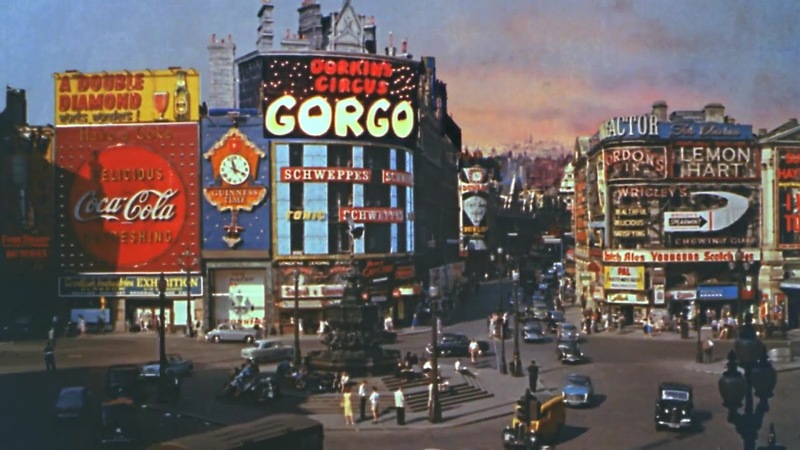 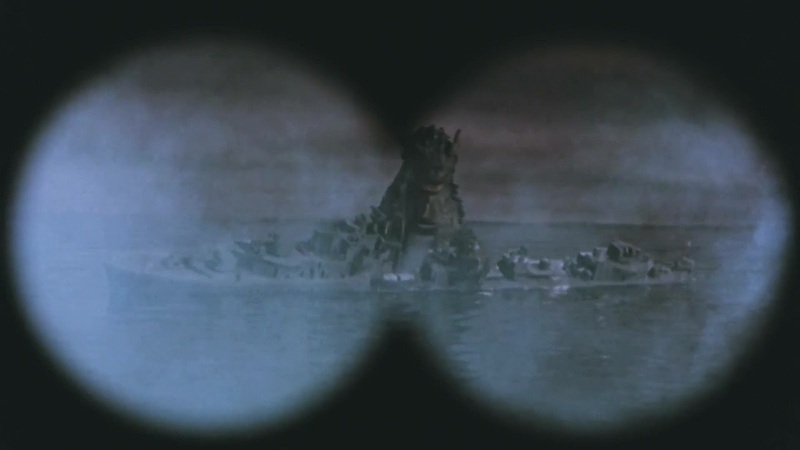 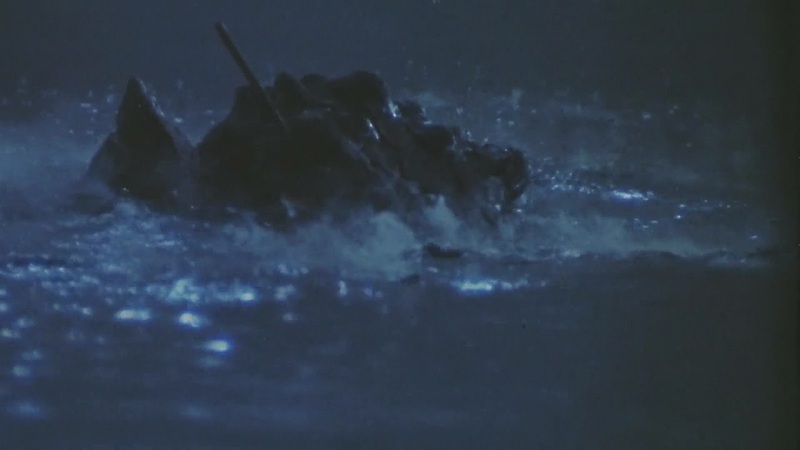 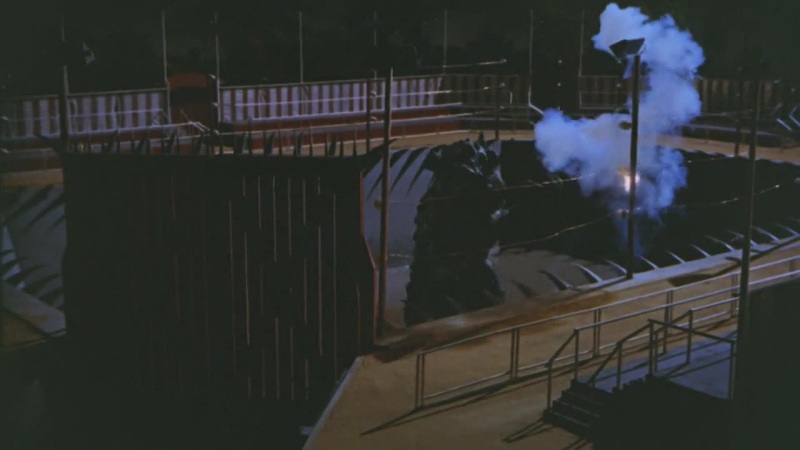 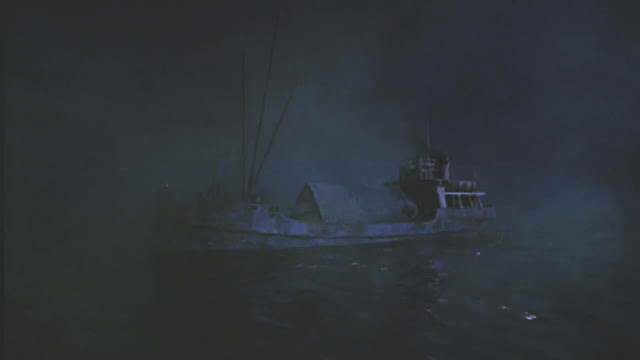 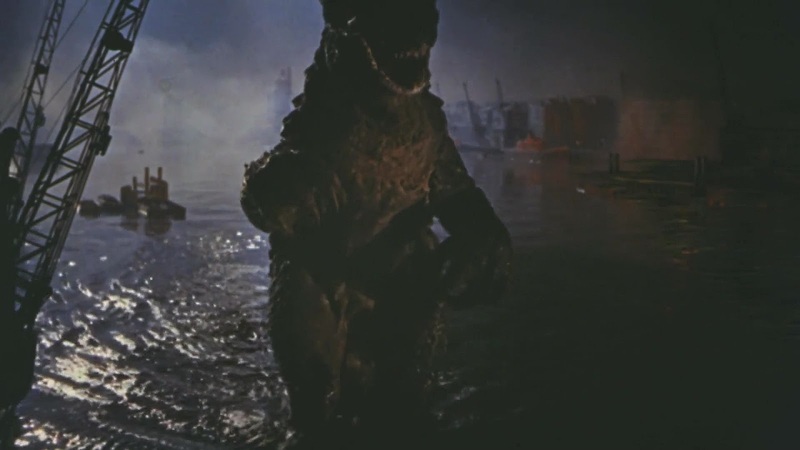 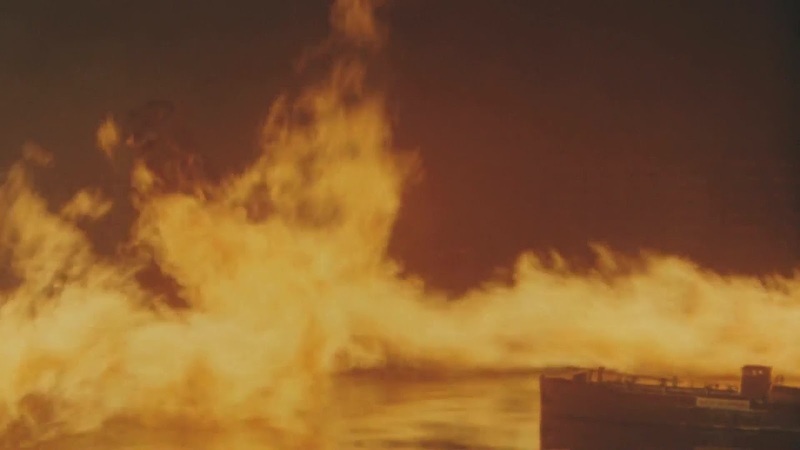 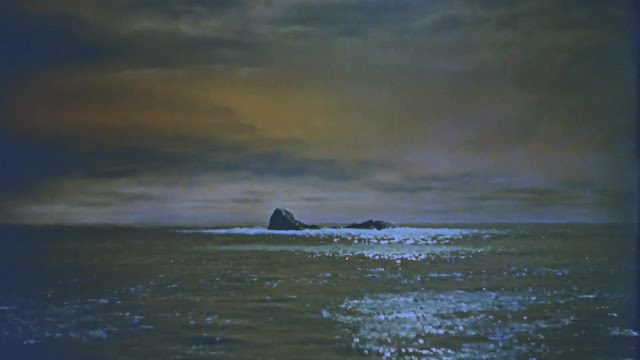 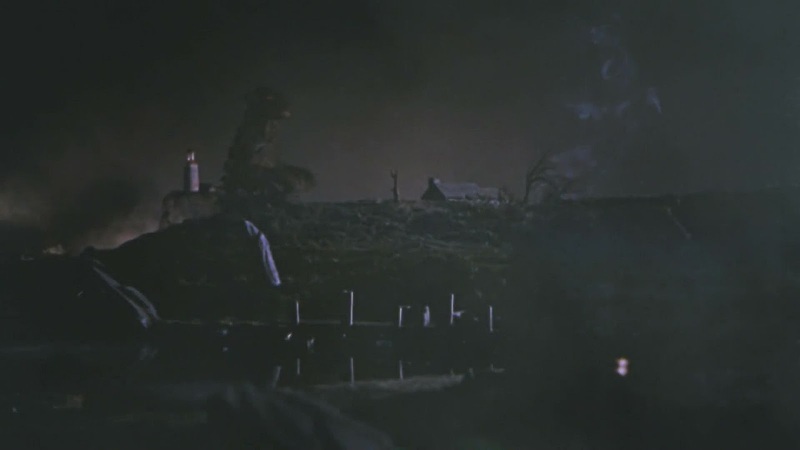 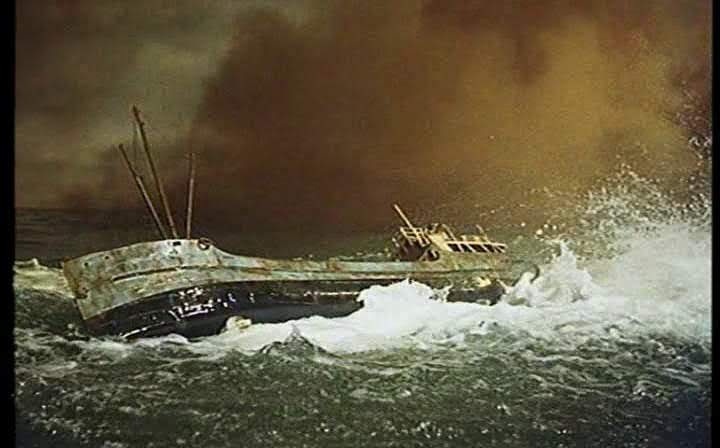 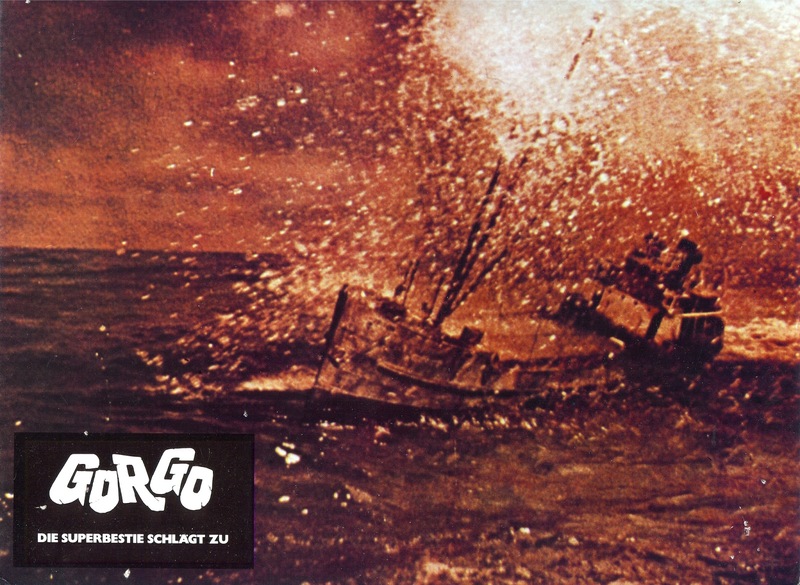 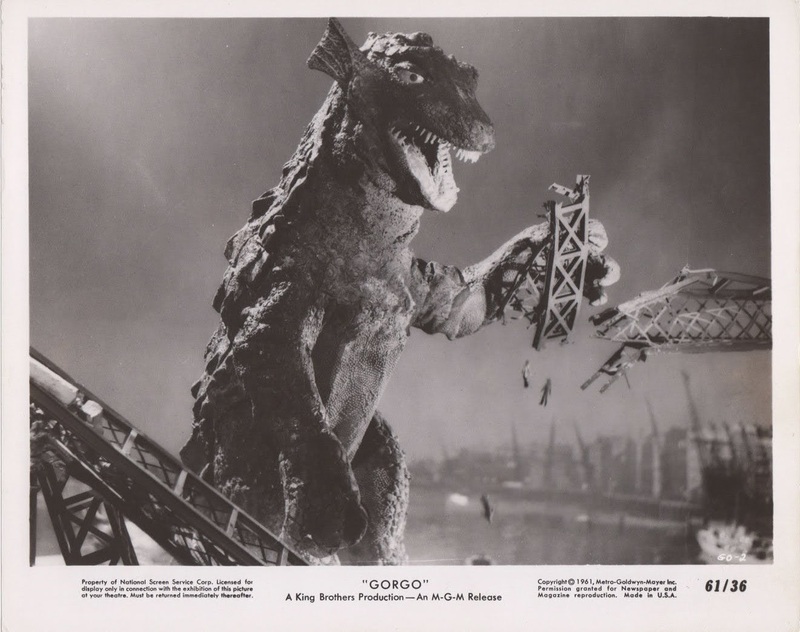 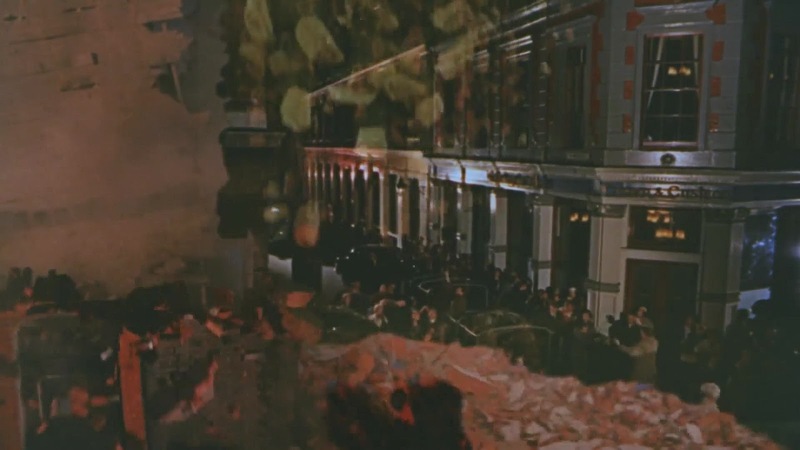 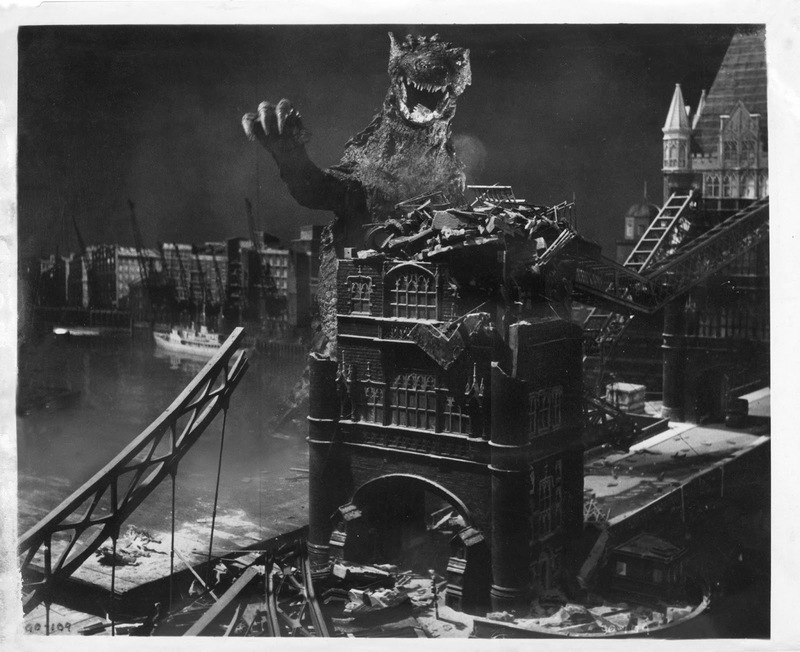 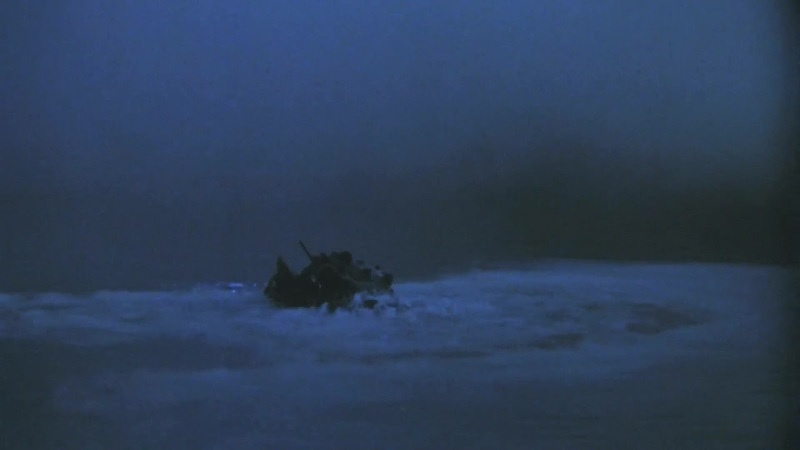 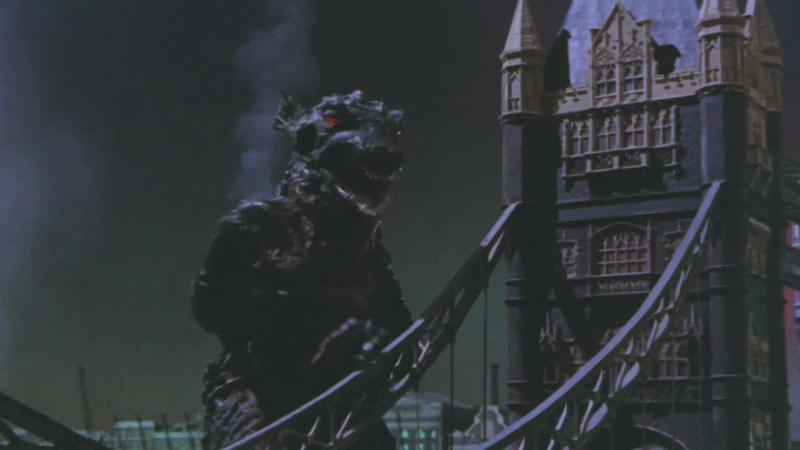 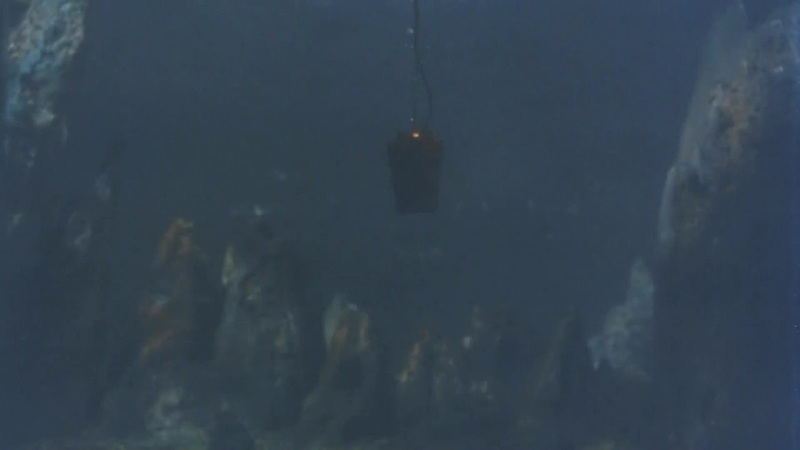 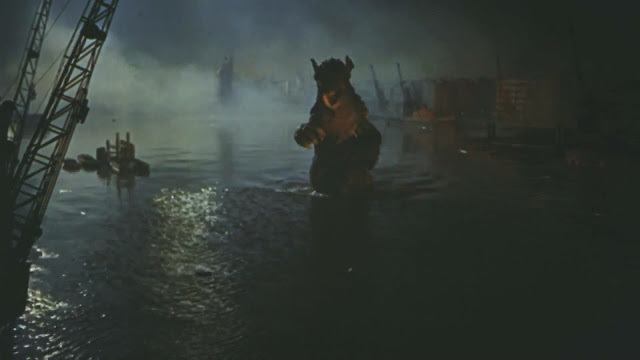 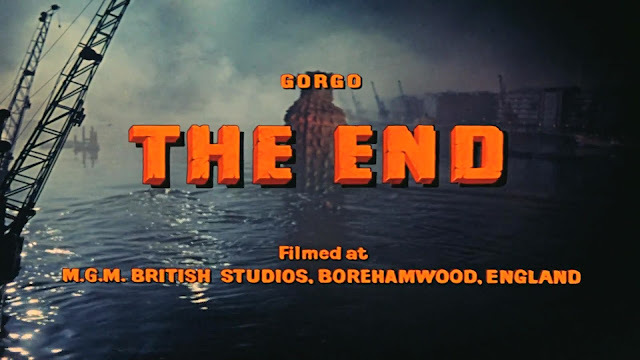 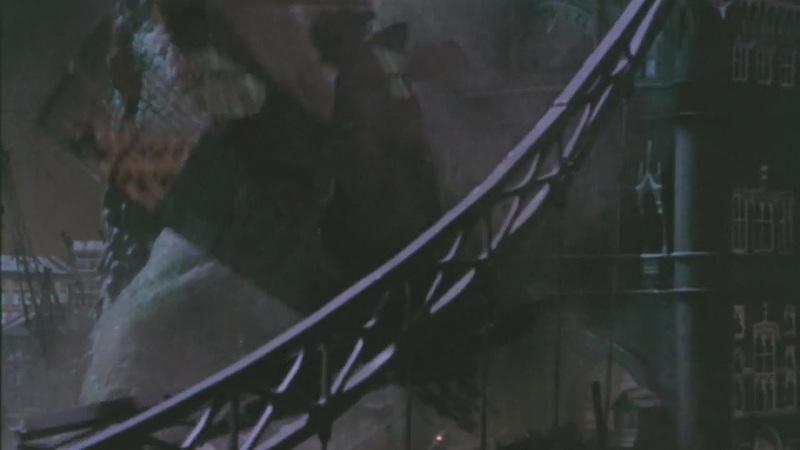 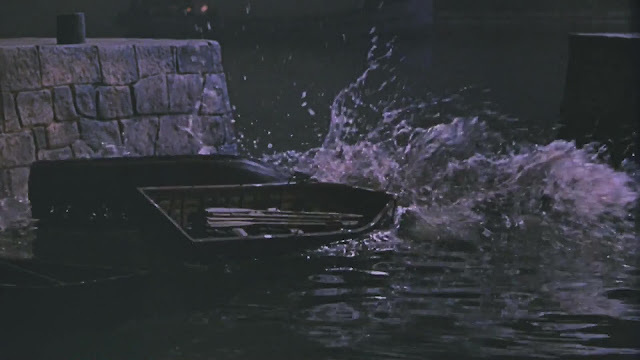 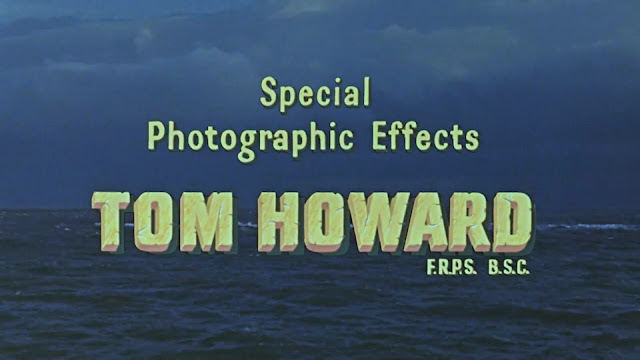 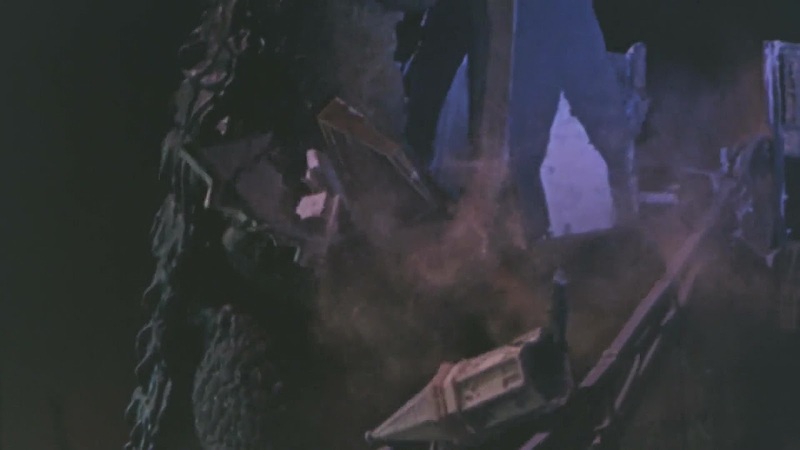 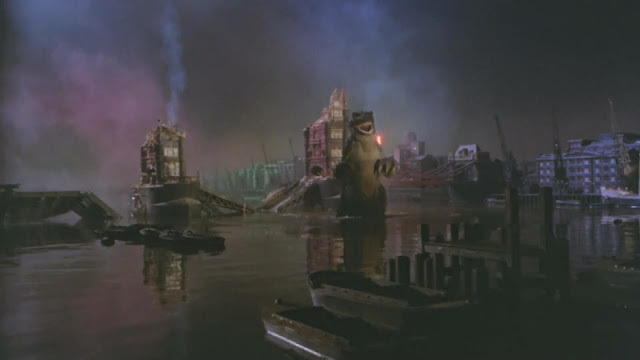 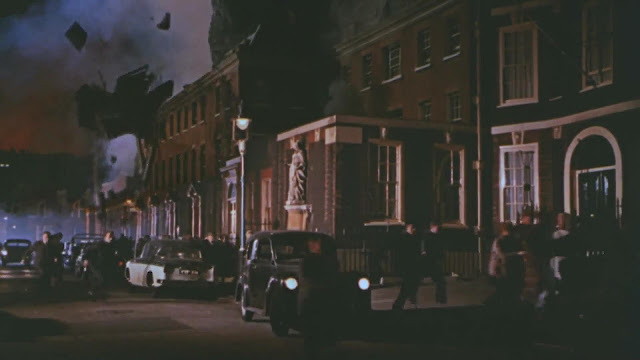 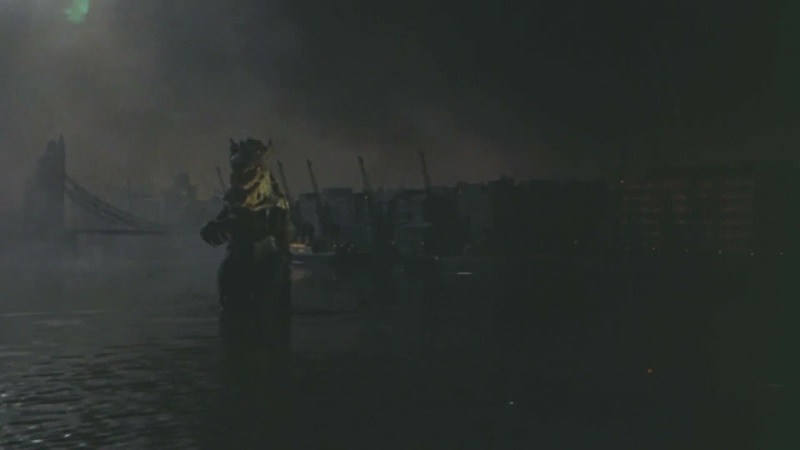 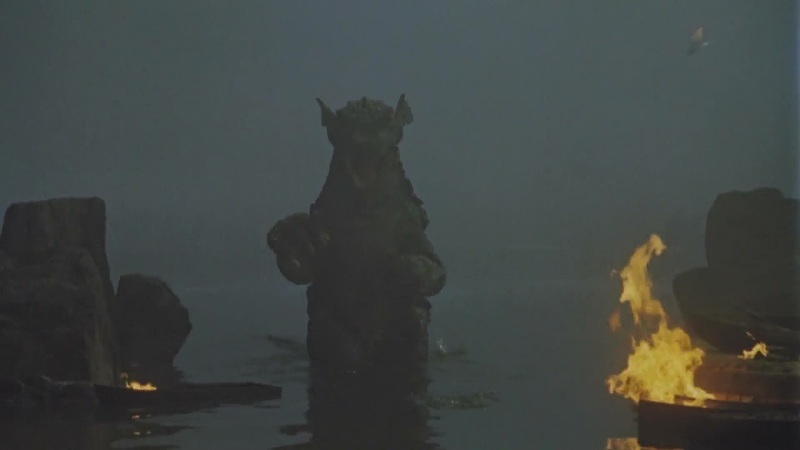 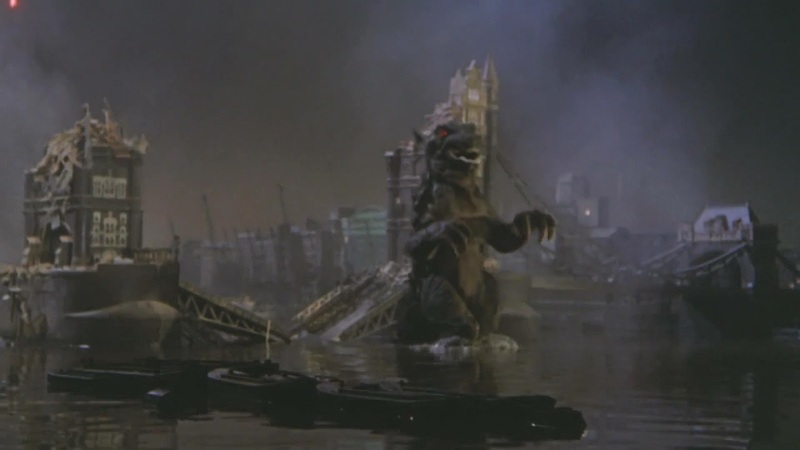 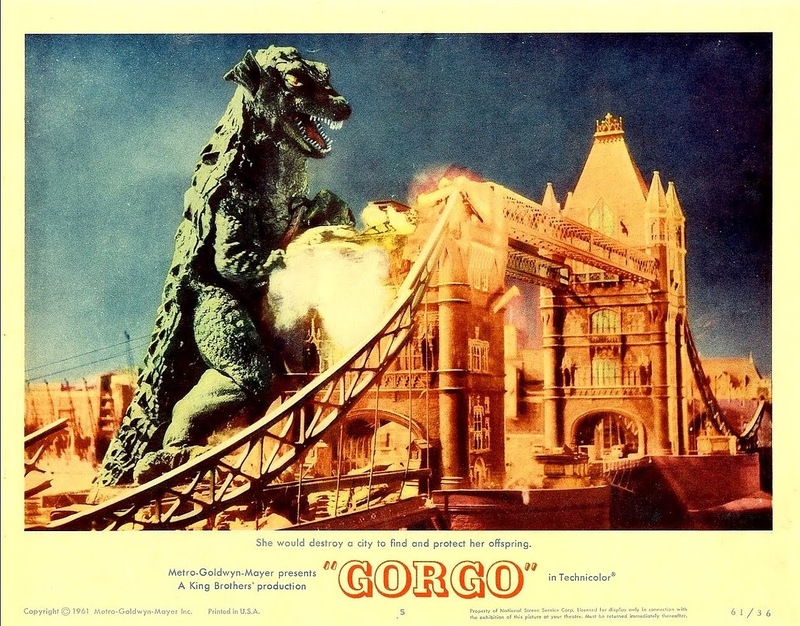 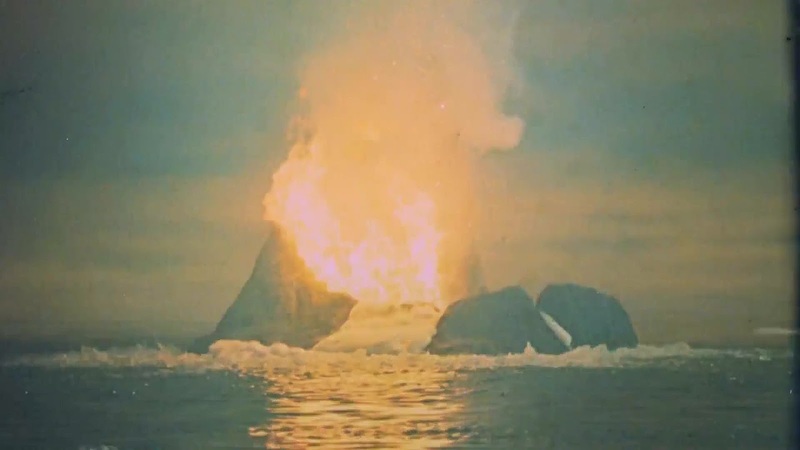 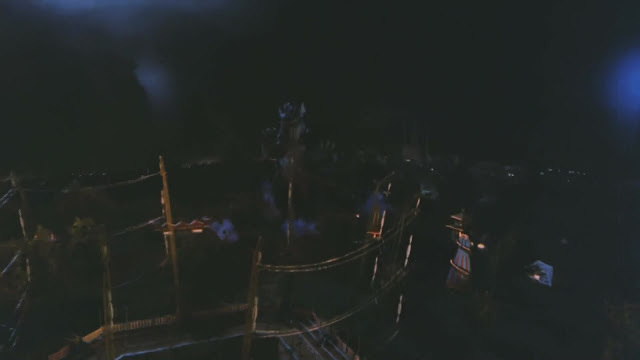 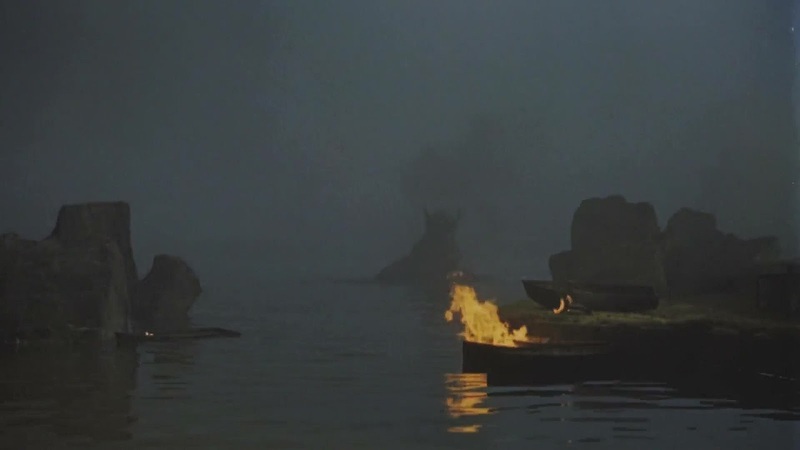 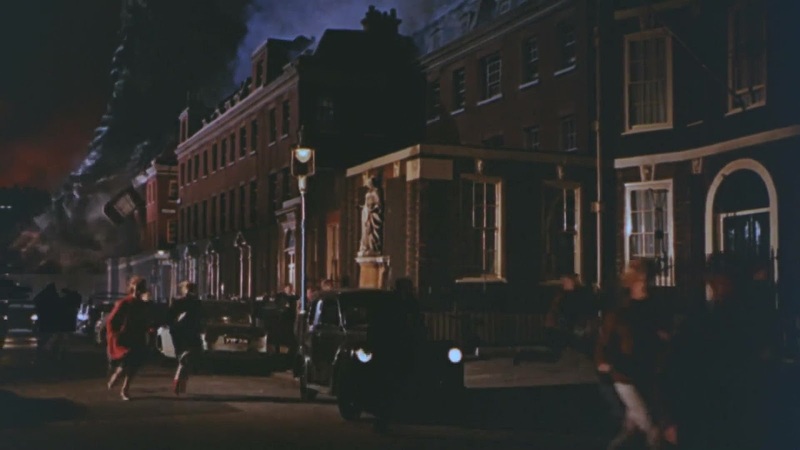 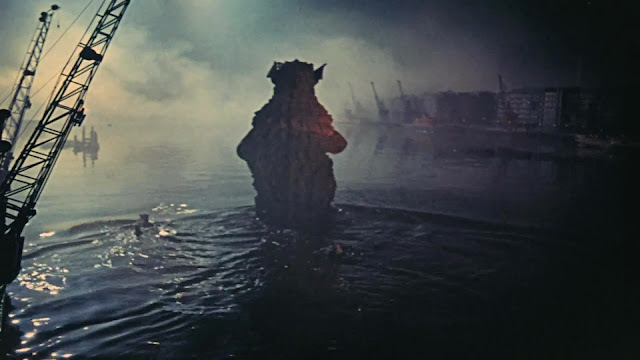 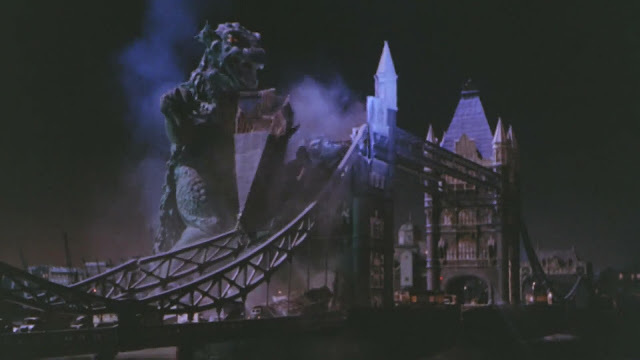 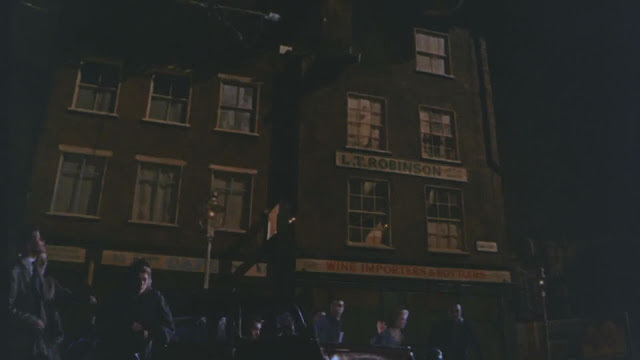 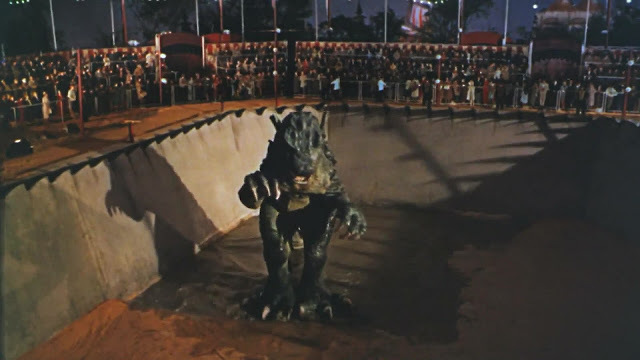 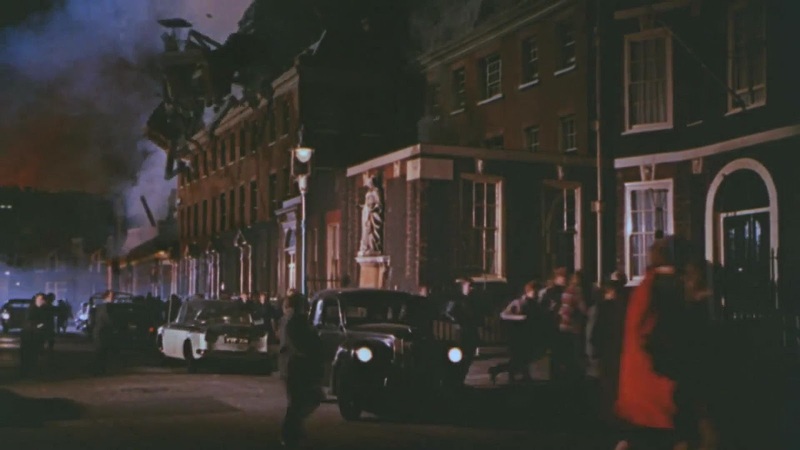 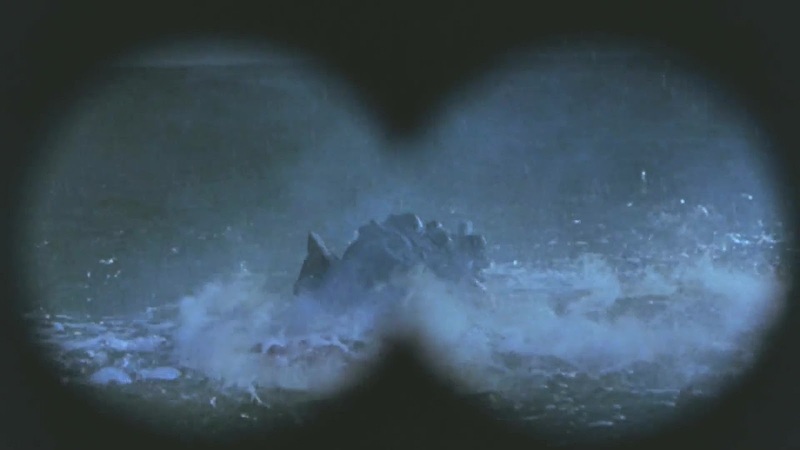 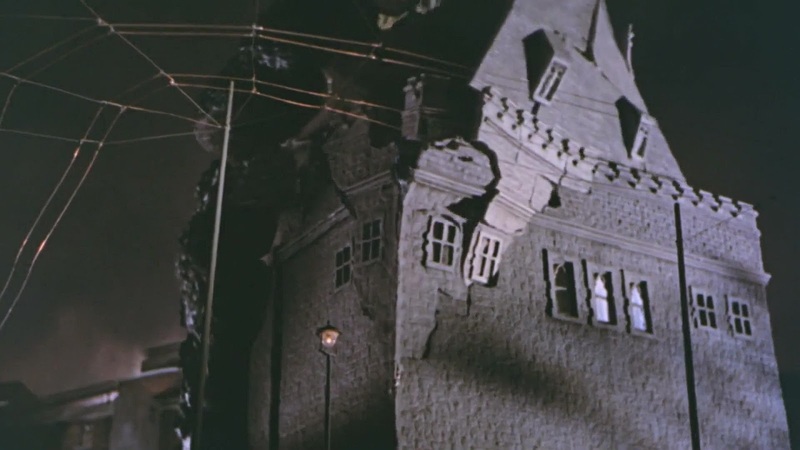 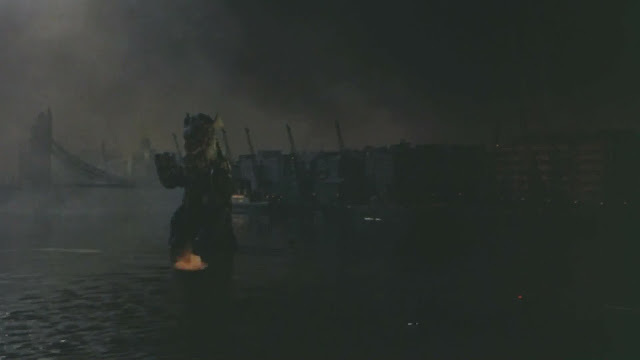 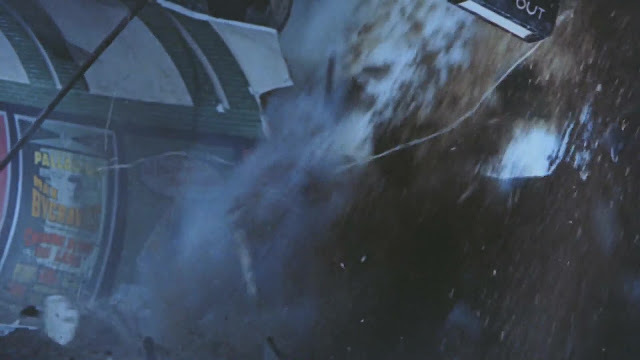 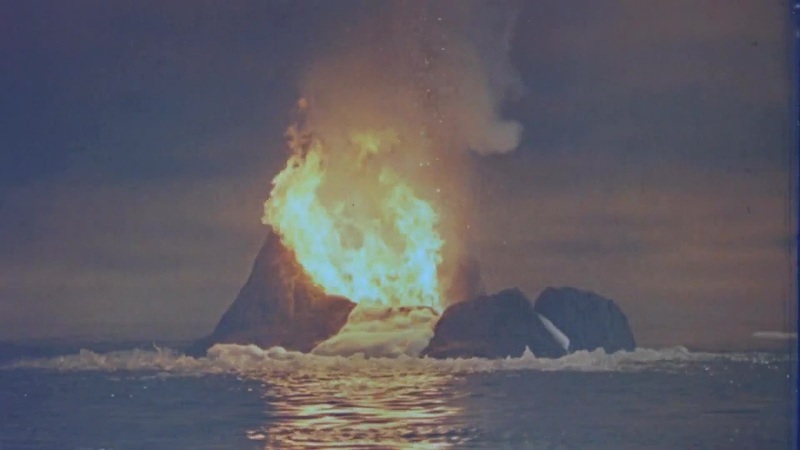 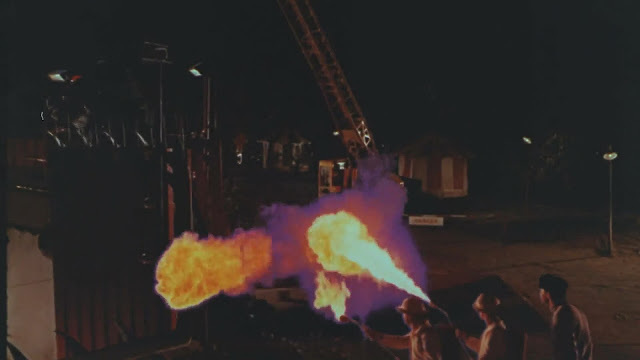 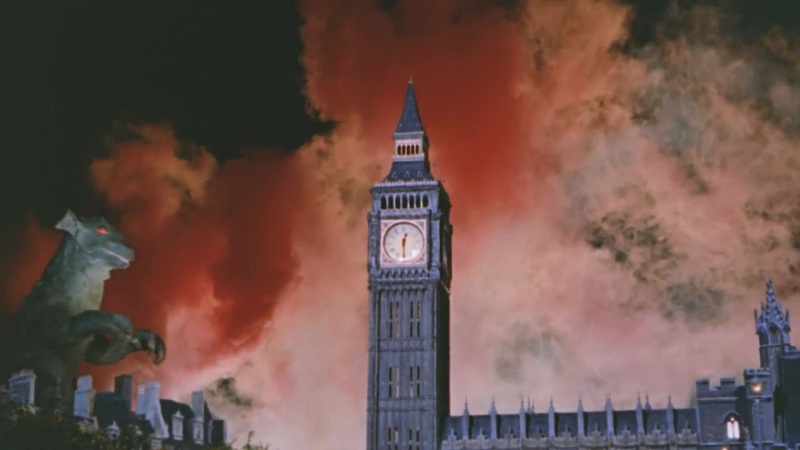 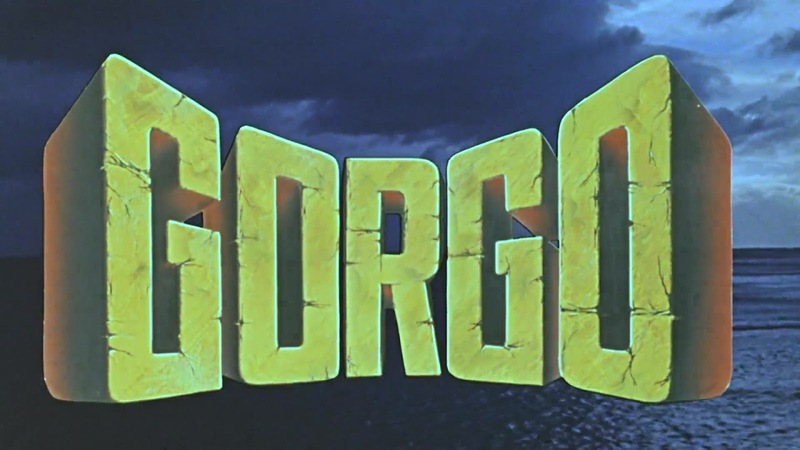 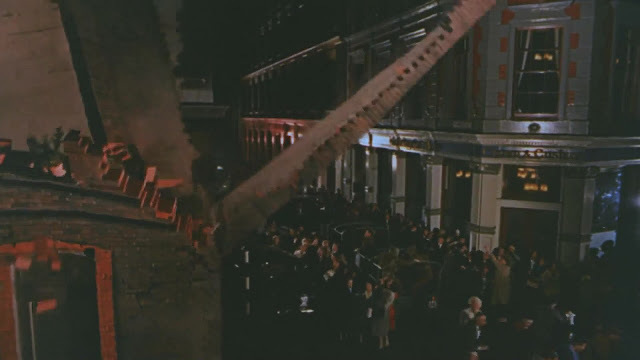 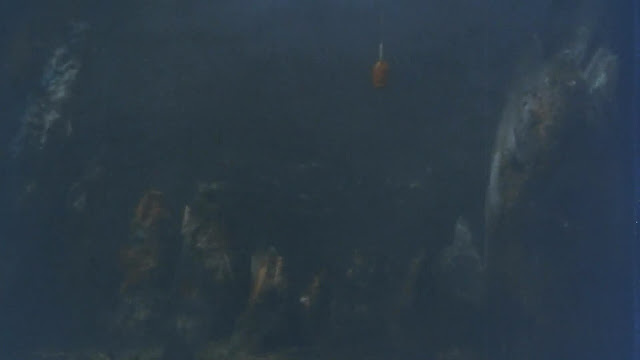 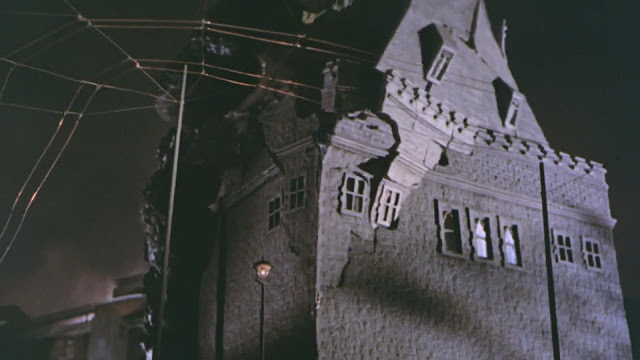 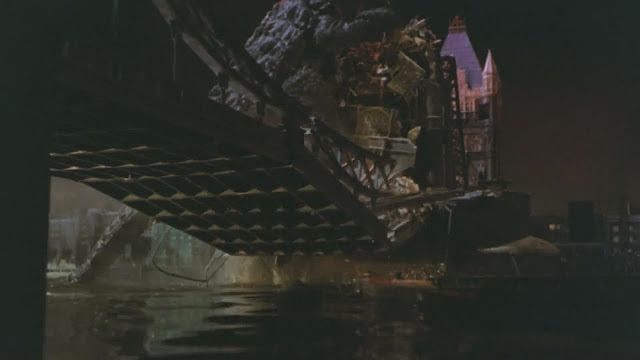 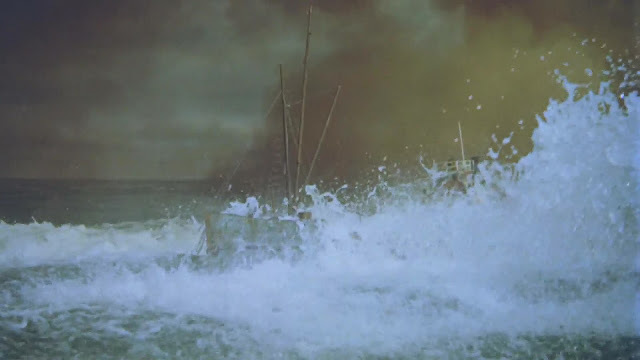 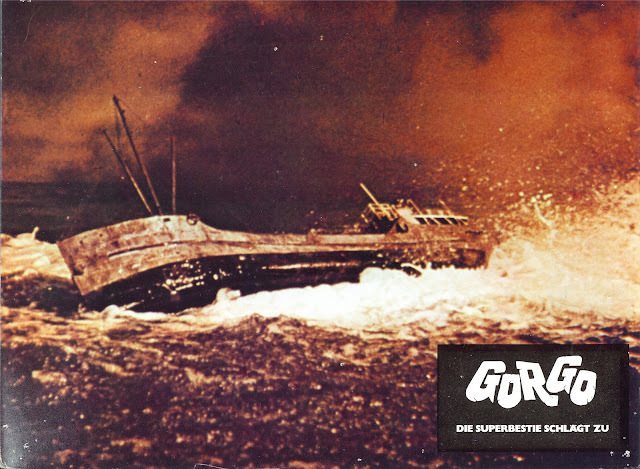 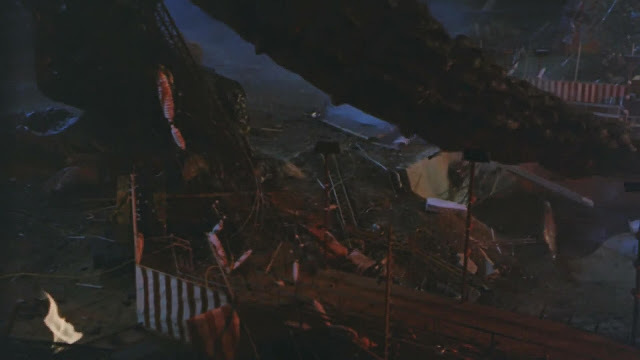 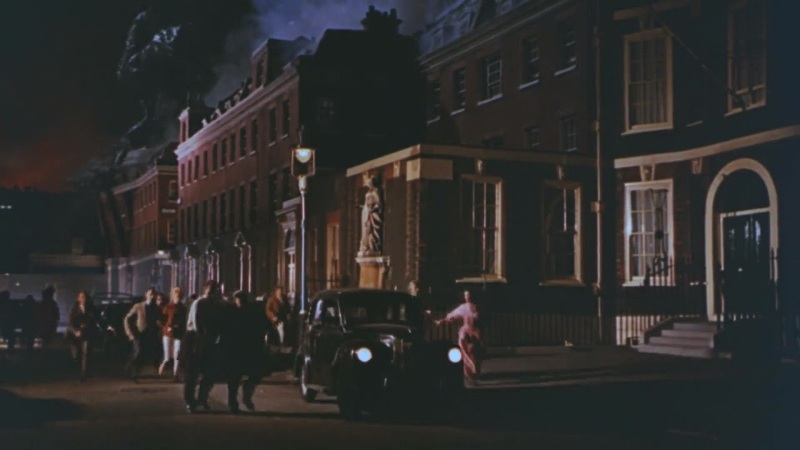 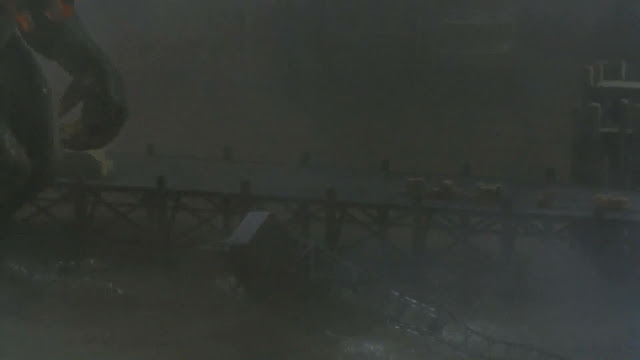 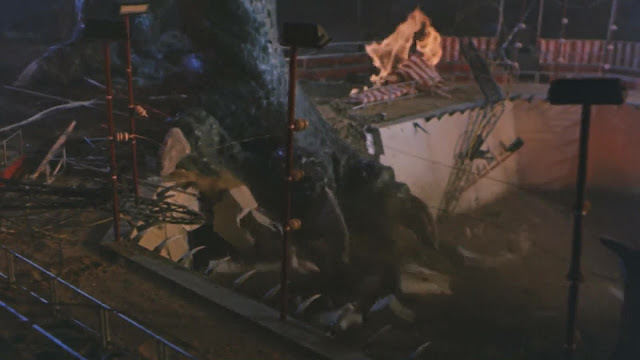 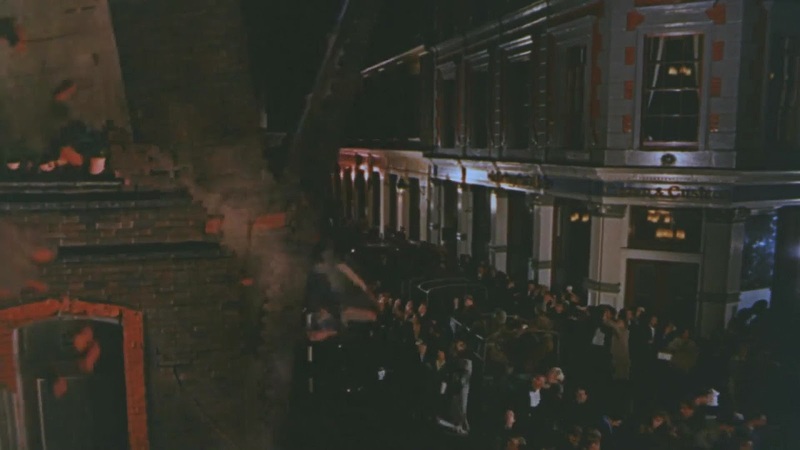 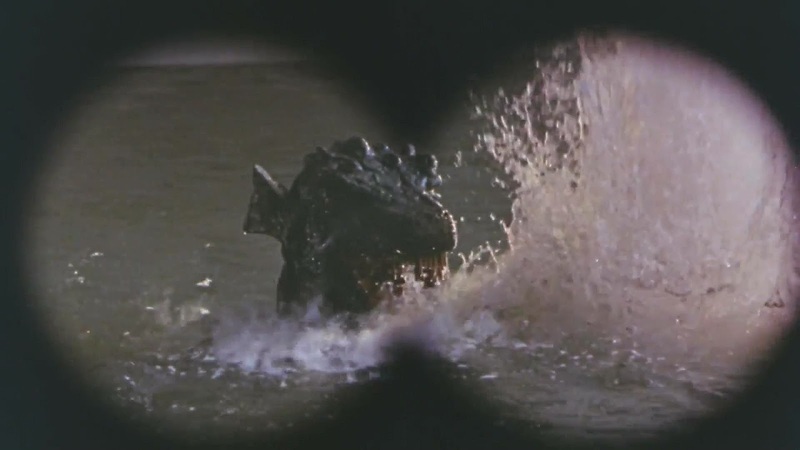 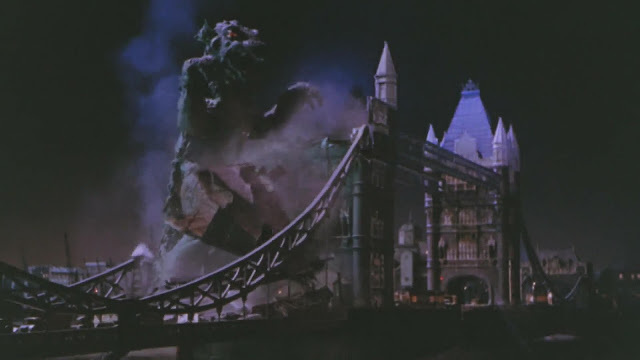 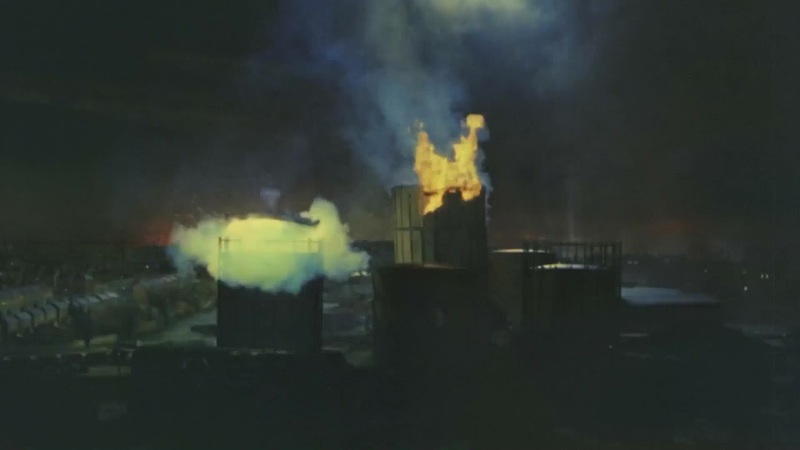 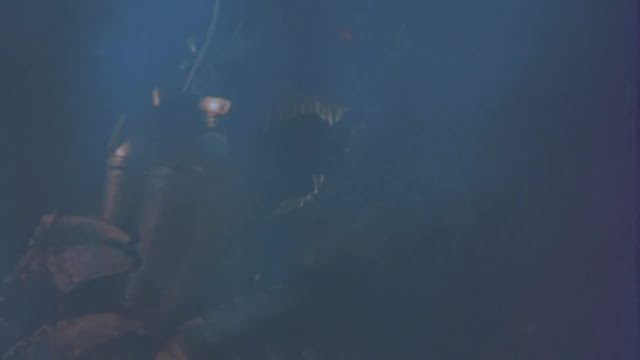 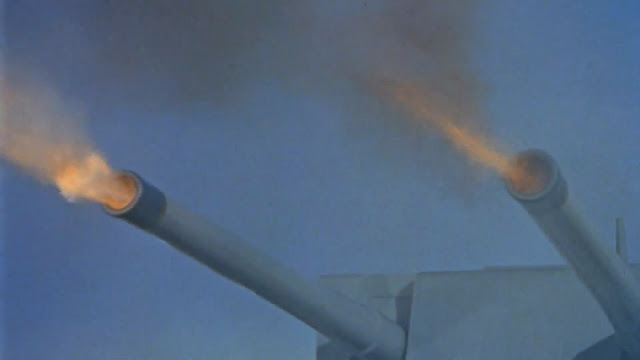 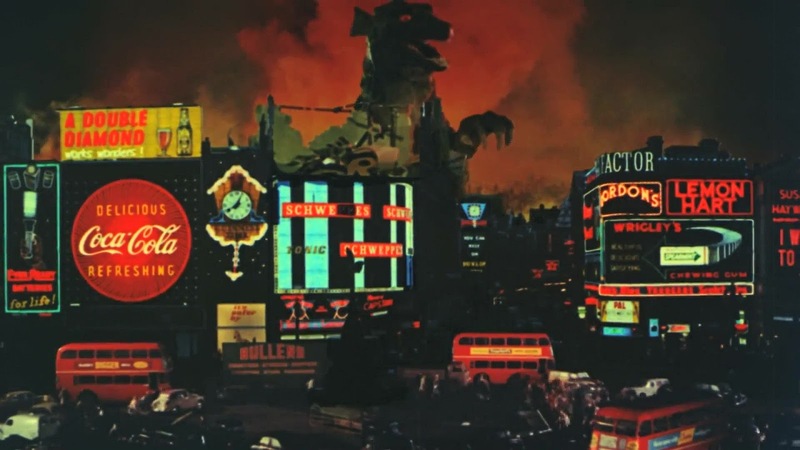 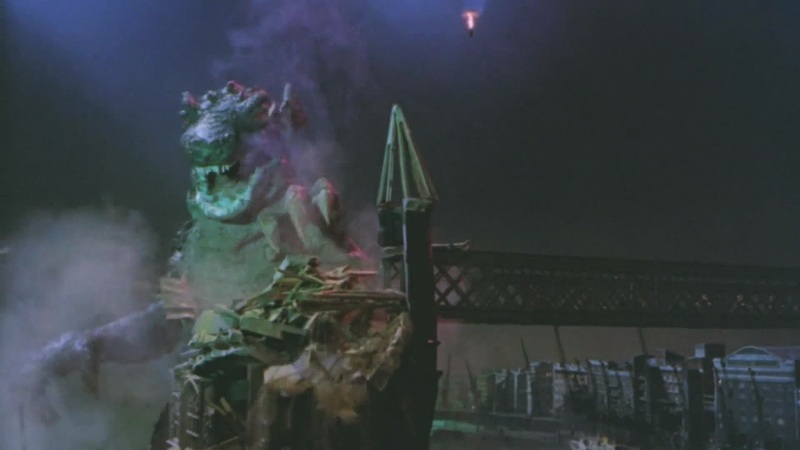 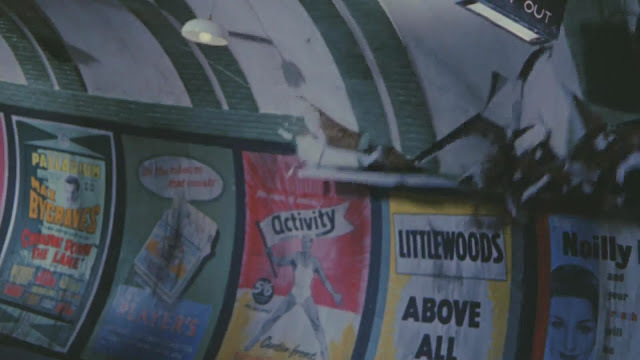 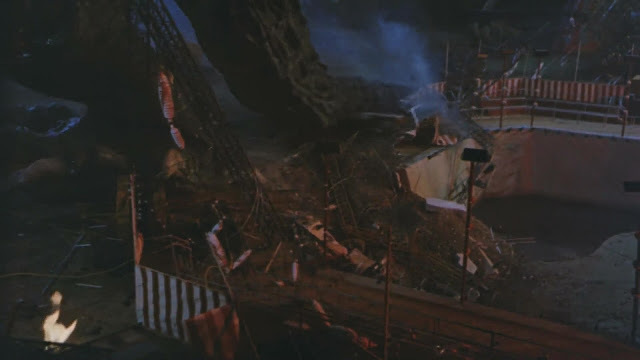 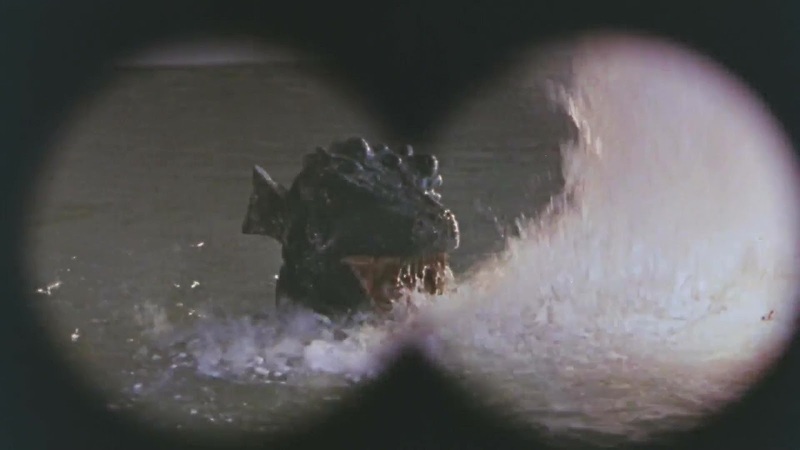 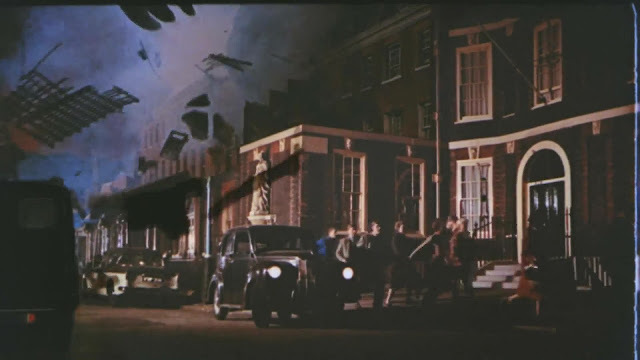 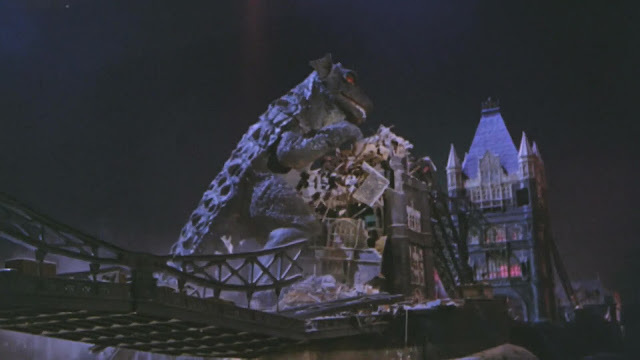 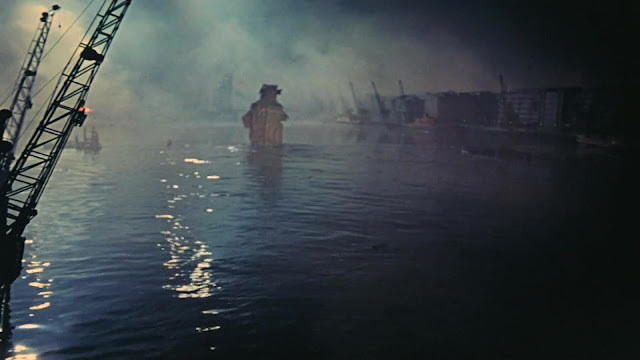 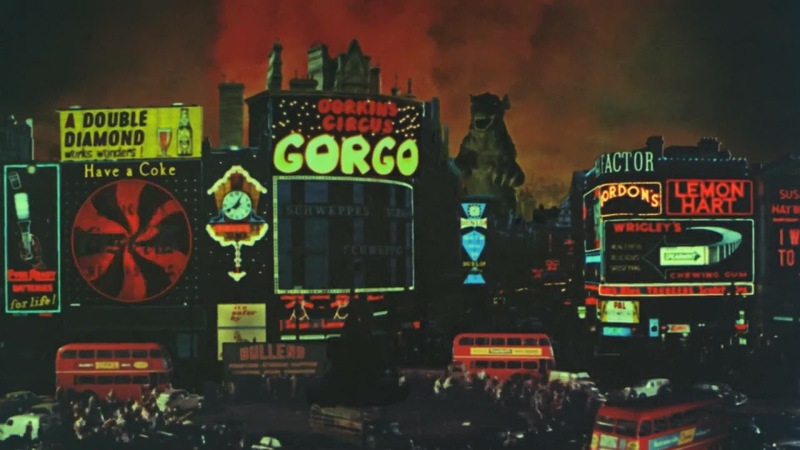 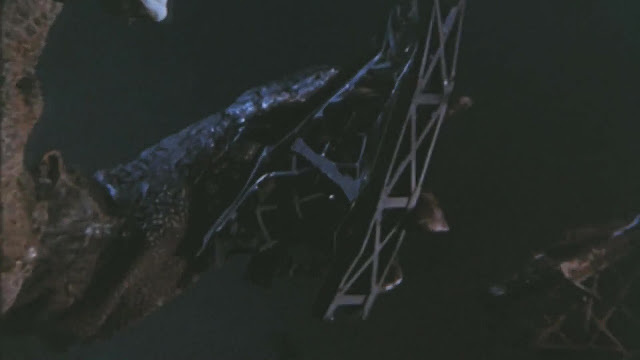 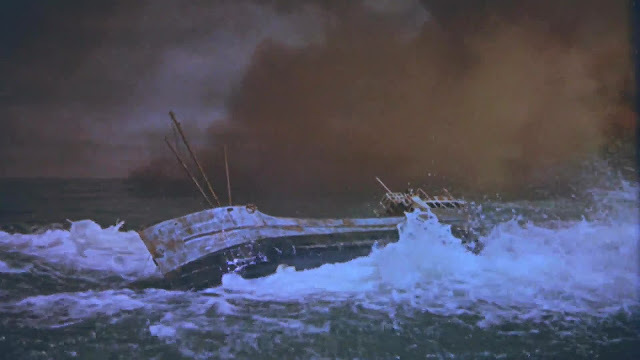 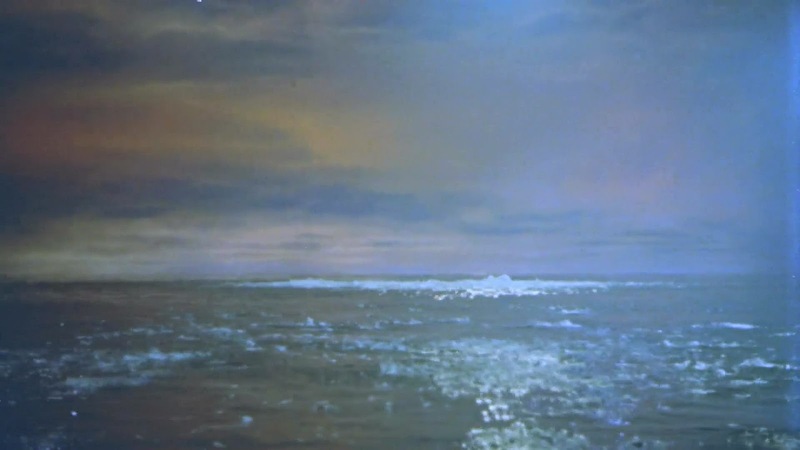 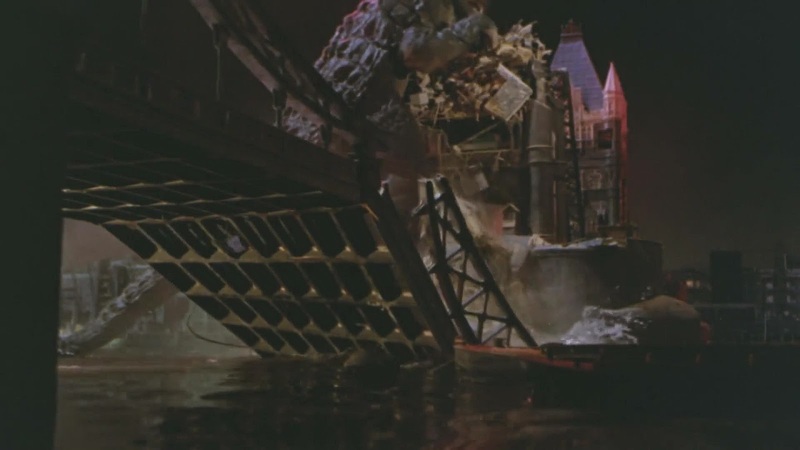 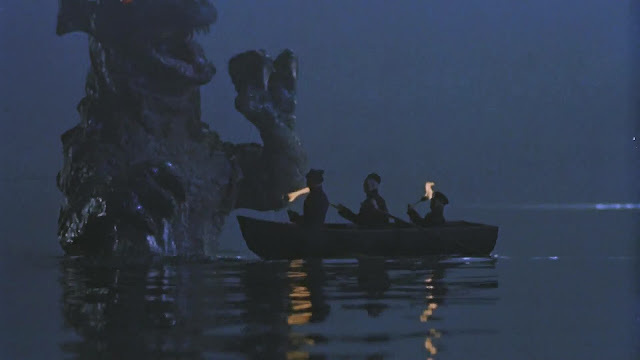 The end sequence had a miniature three foot ( 0.9m) deep Thames river set that encompassed the Tower Bridge that took up an entire sound stage at MGM studios in England. 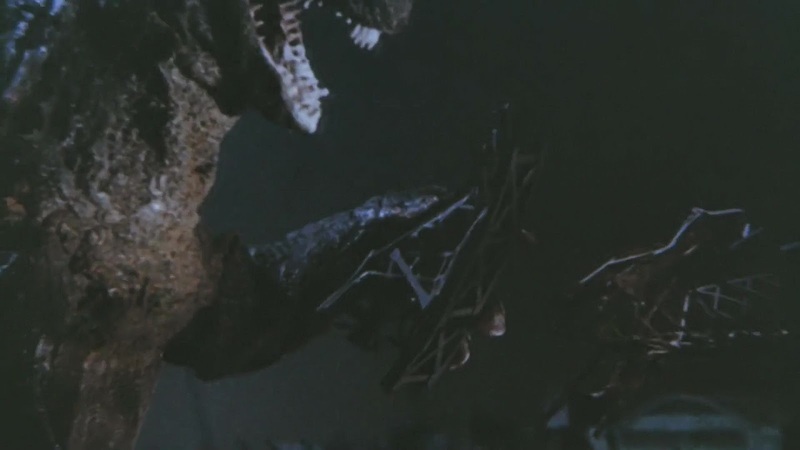 This was for the mother creature who looks to be about twice as tall as the baby thus making the scale around 1/10th. 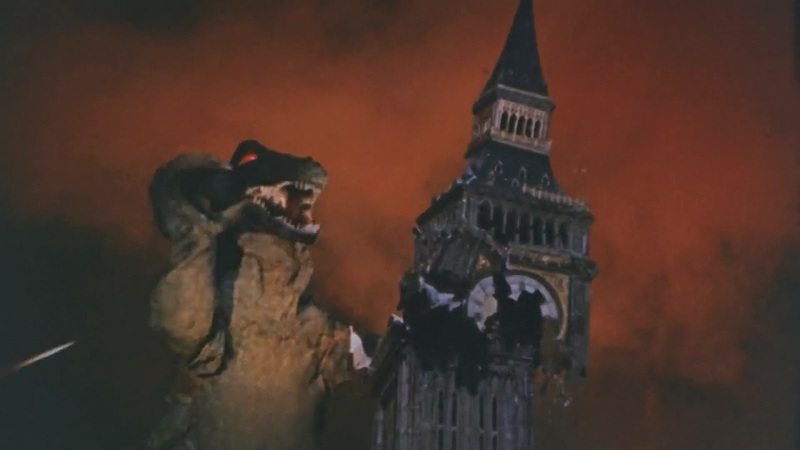 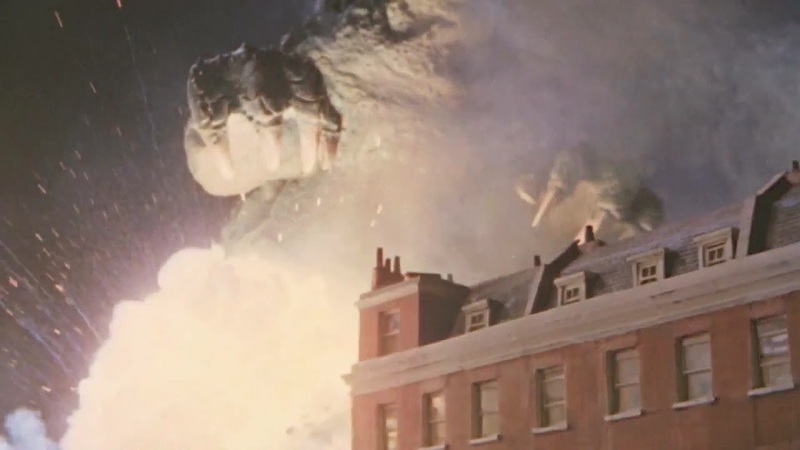 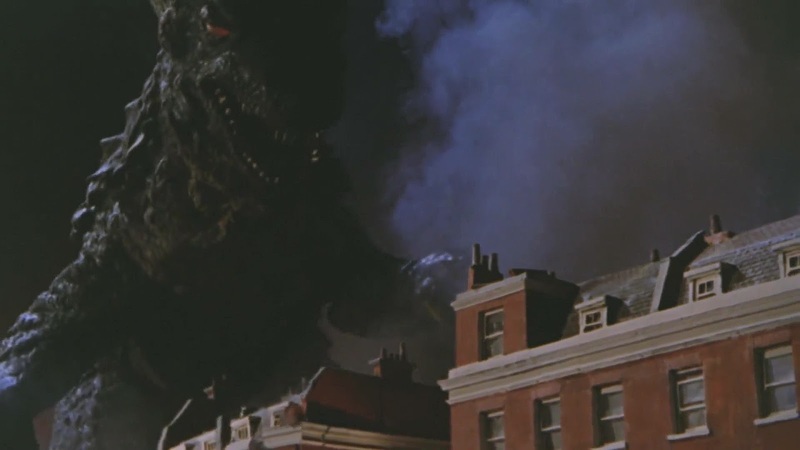 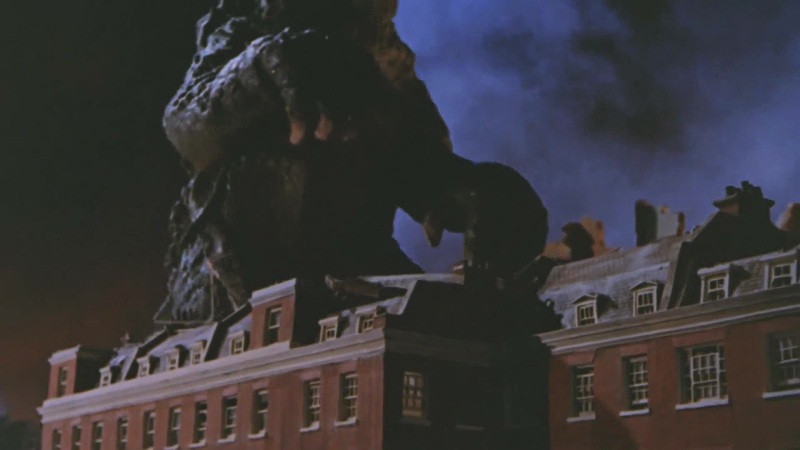 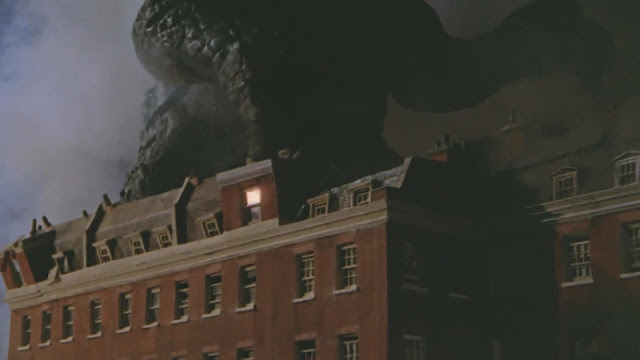 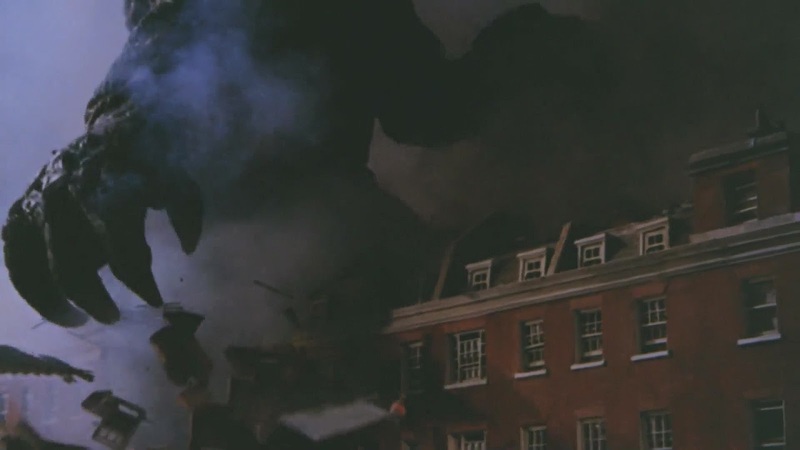 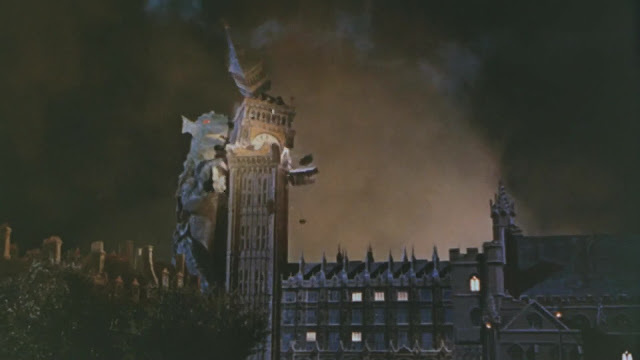 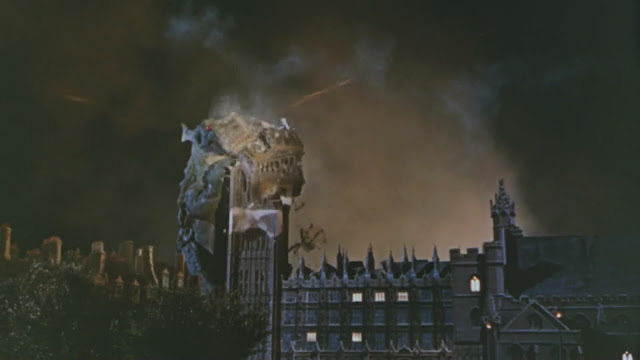 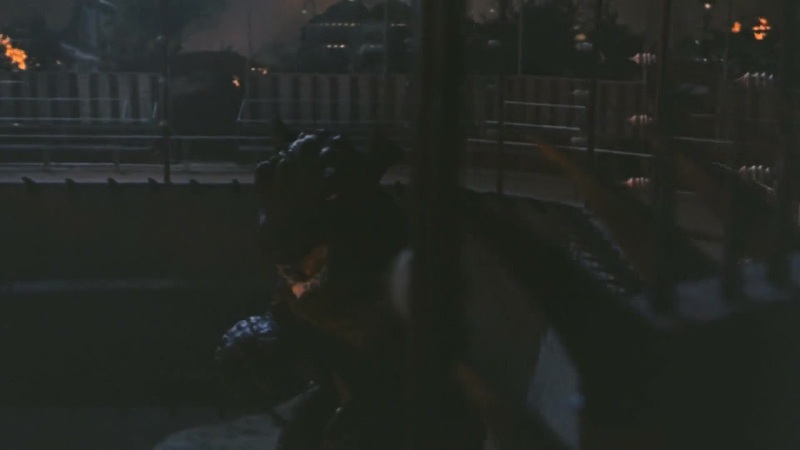 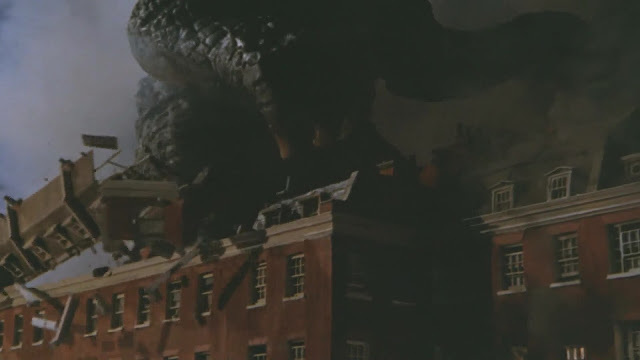 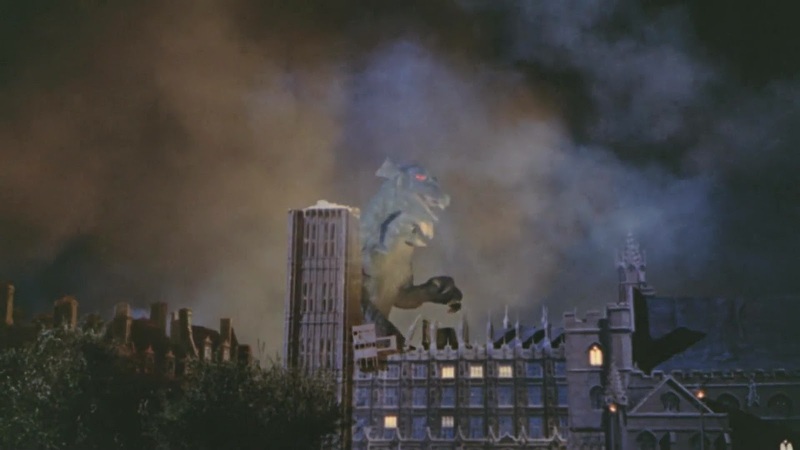 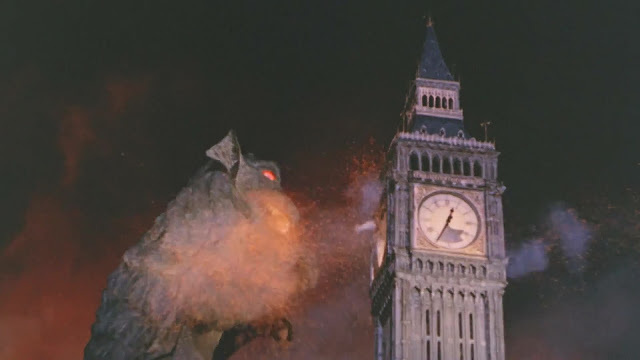 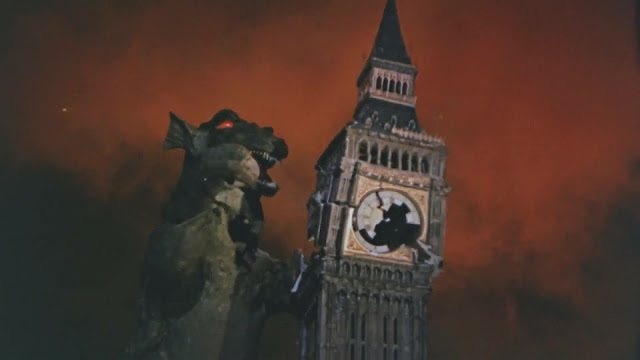 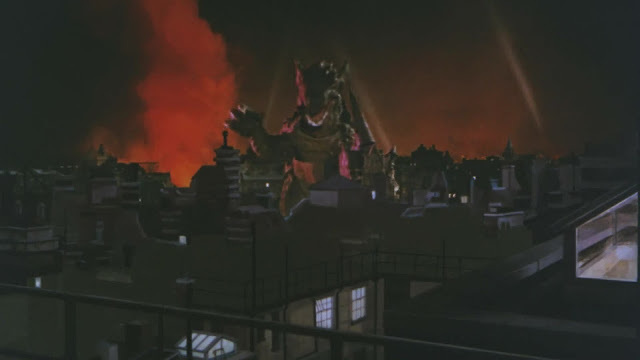 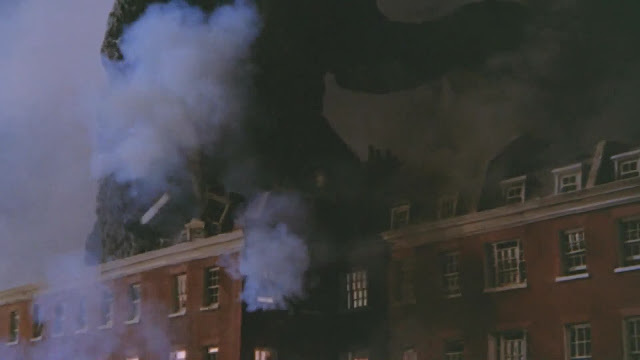 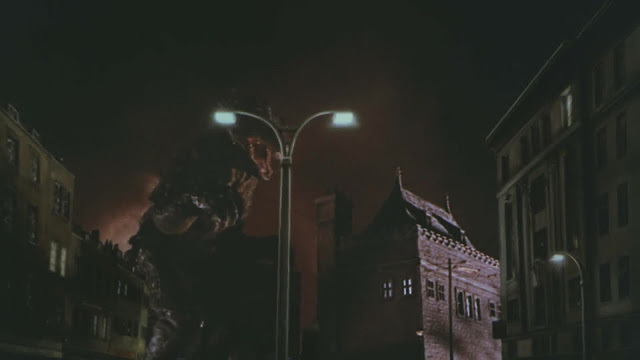 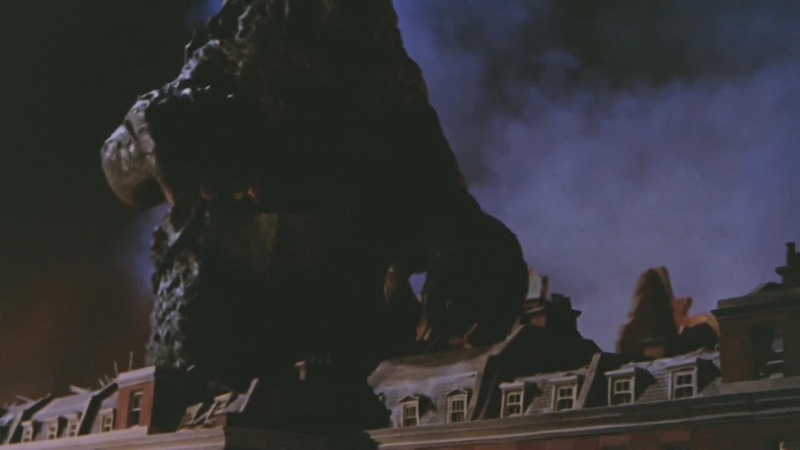 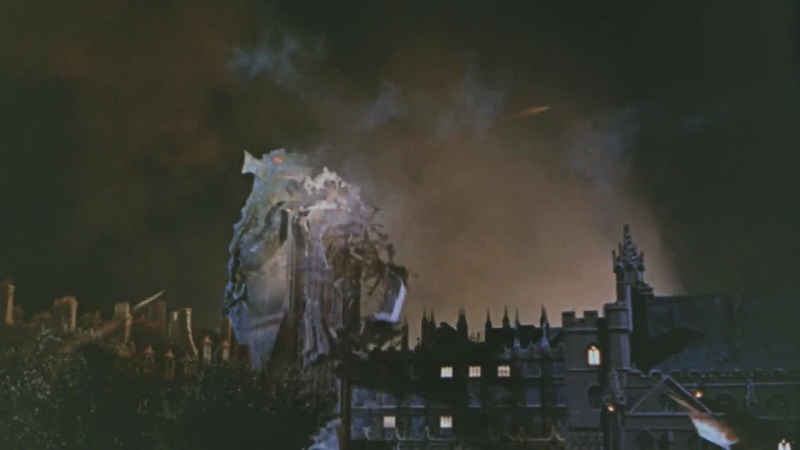 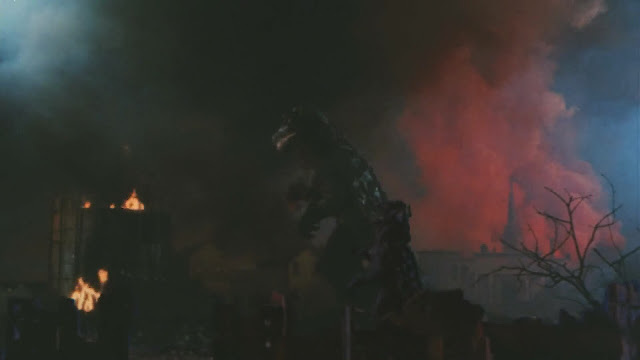 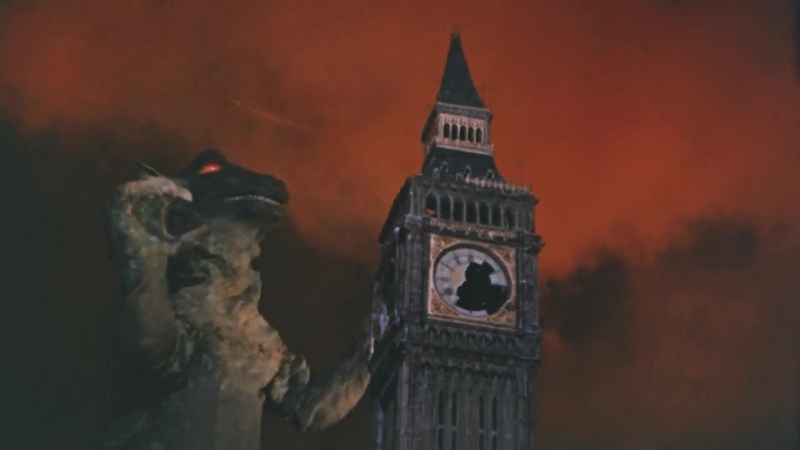 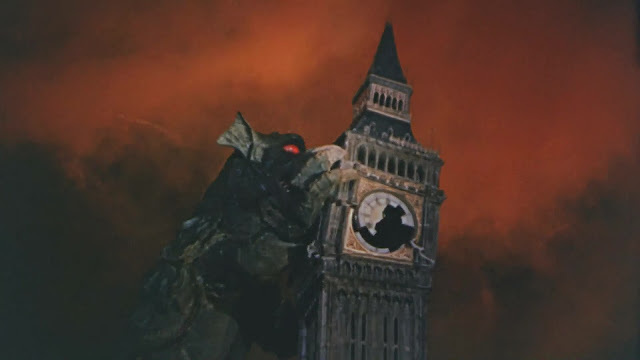 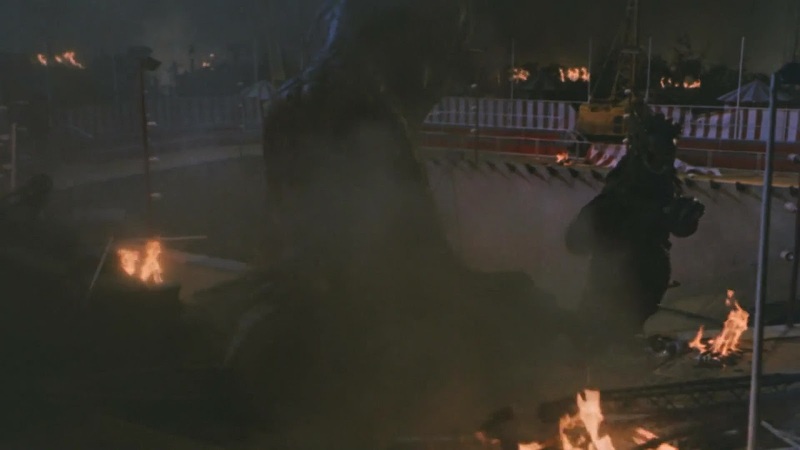 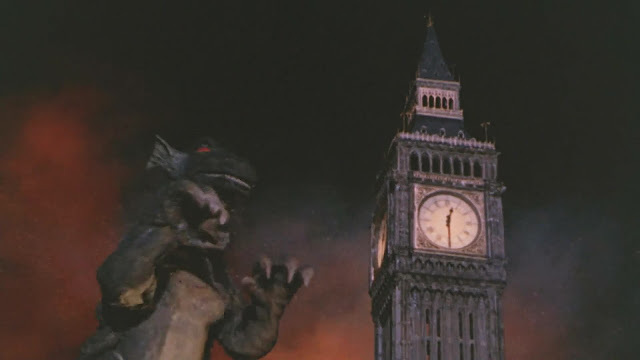 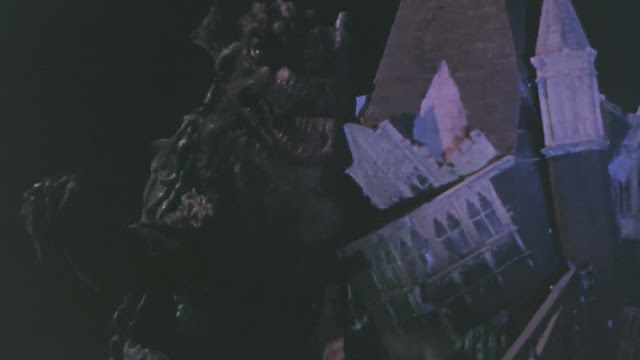 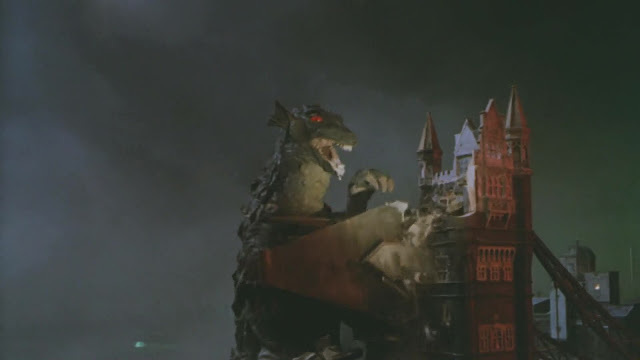 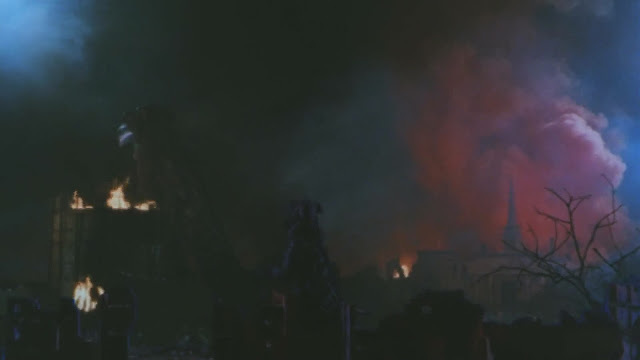 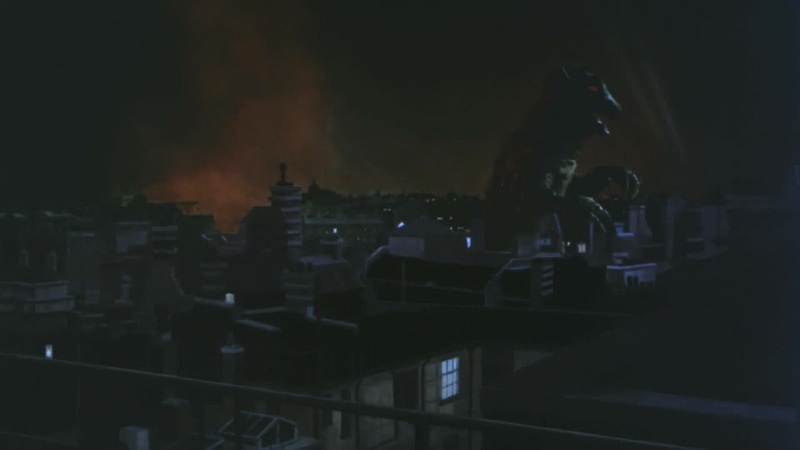 Other breakaway miniatures include Big Ben and various other buildings which are knocked to rubble by the mother creature. 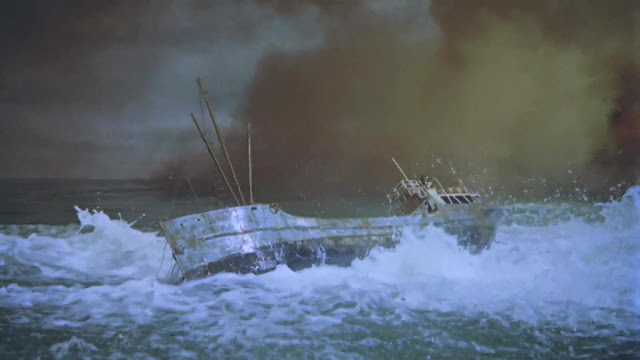 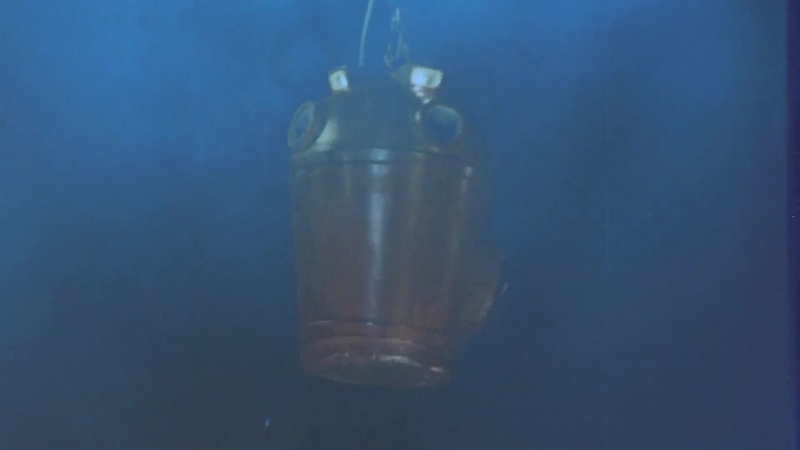 There are a number of model ships featured, a fishing trawler, small row boats, a destroyer and miscellaneous boats on the Thames as well as a diving bell. Source : My Work In Fims, Eugene Lourie, Harcourt Brace Jovanovich 1985.